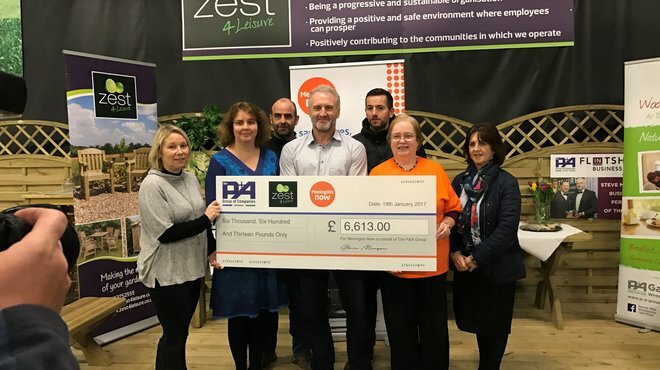 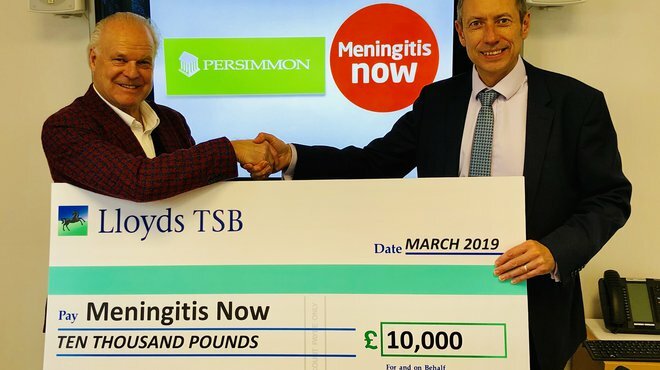 Thank you very much to Persimmon Homes Anglia, who selected Meningitis Now as their charity of the year for 2018 and raised a fantastic £10,000! 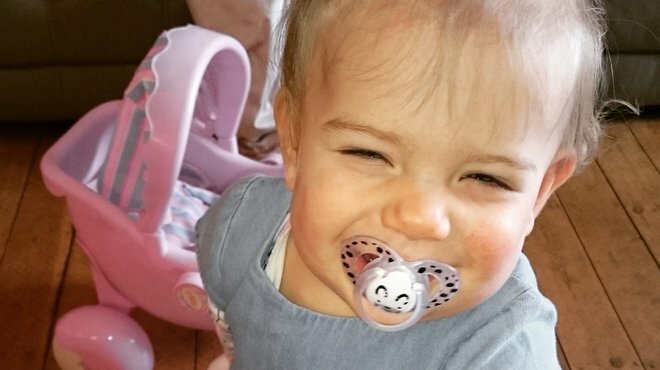 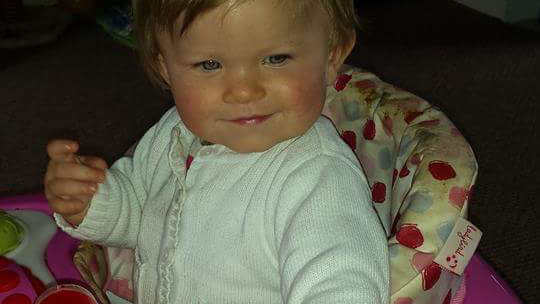 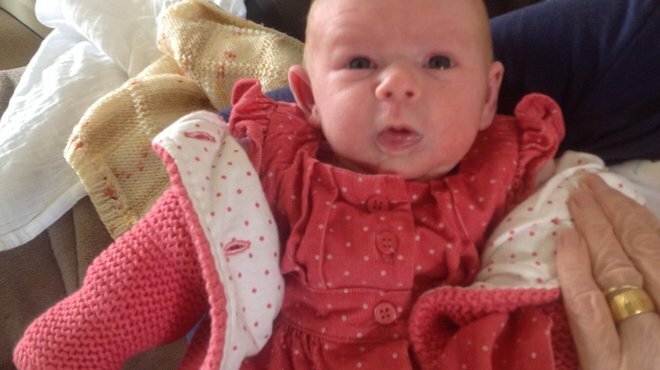 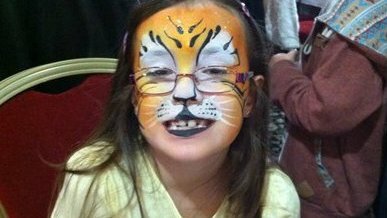 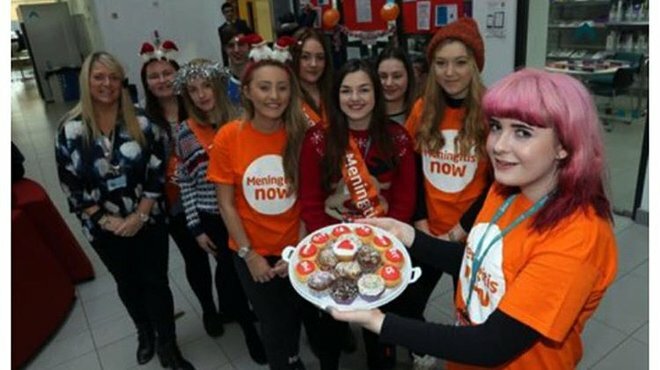 Family and friends continue to fundraise in memory of Fleur-Rose who tragically lost her life to meningitis. 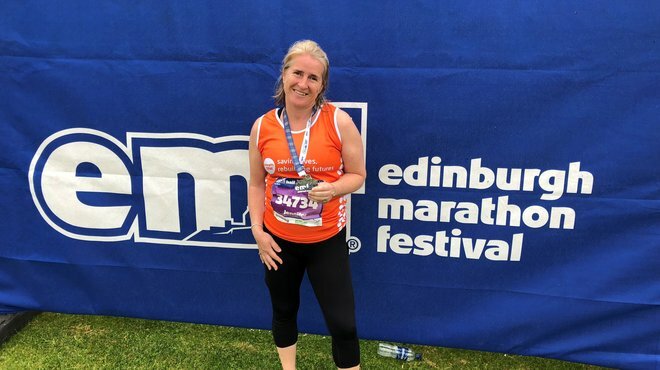 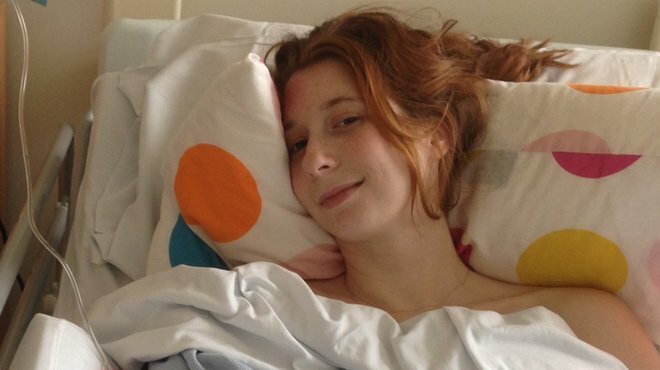 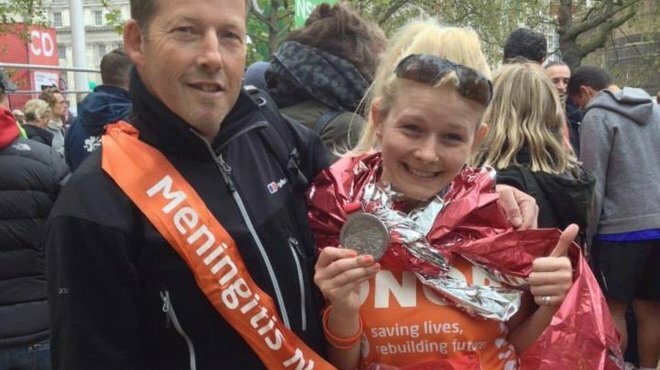 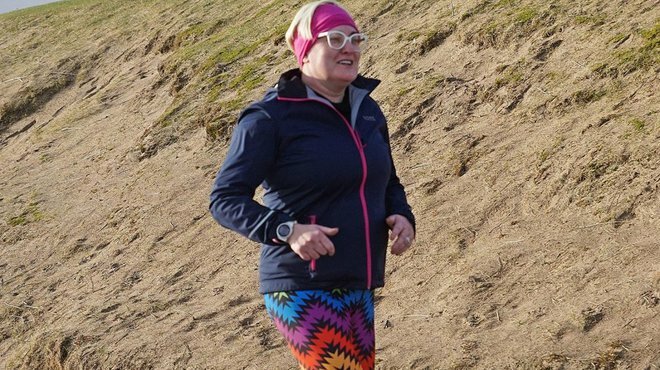 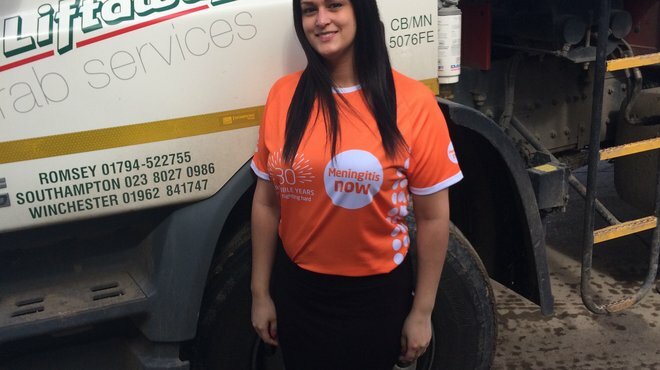 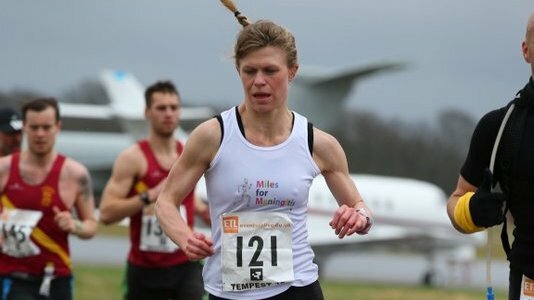 Sophie Bishop is taking on the Right Move Milton Keynes Marathon Weekend in May to raise funds for Meningitis Now. 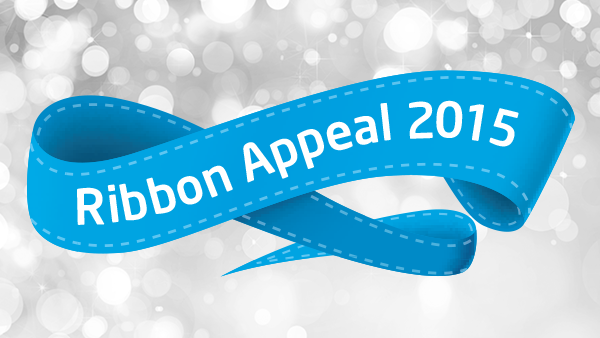 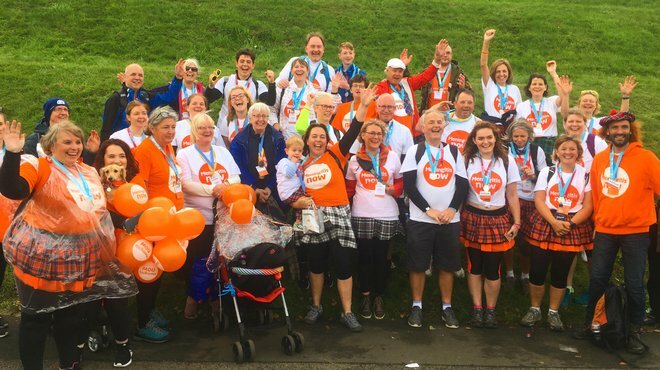 One of Scotland's most iconic fundraising events is just around the corner, and there's still time to kilt up and get involved! 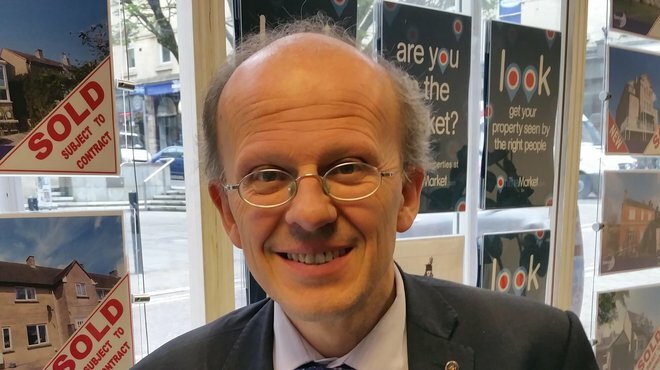 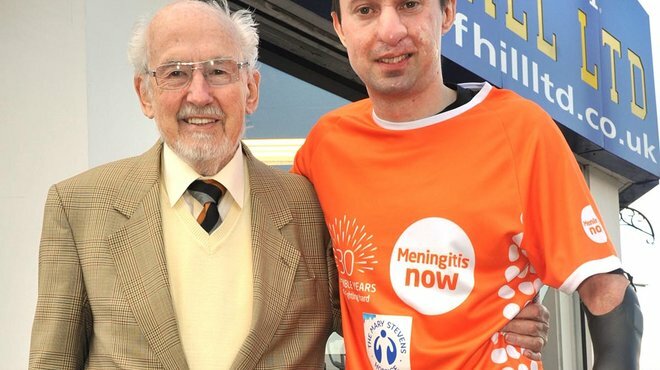 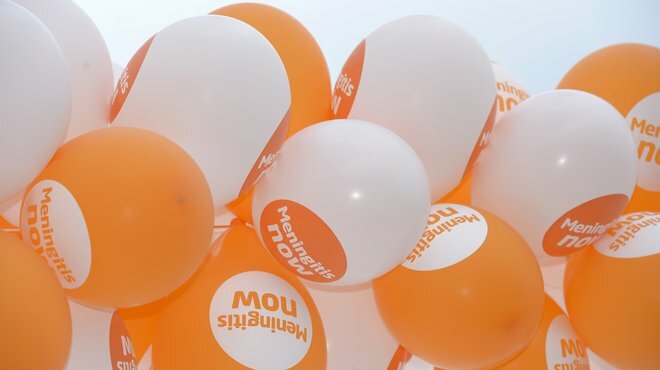 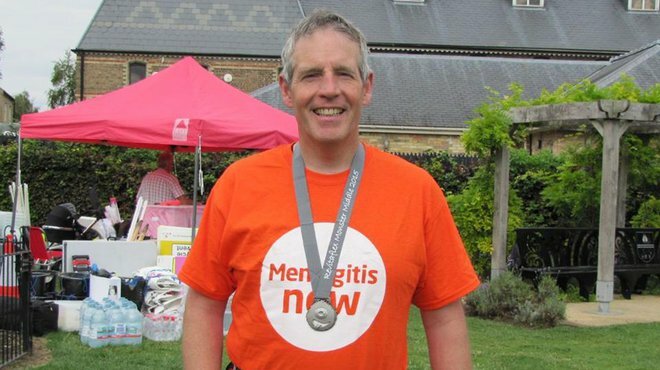 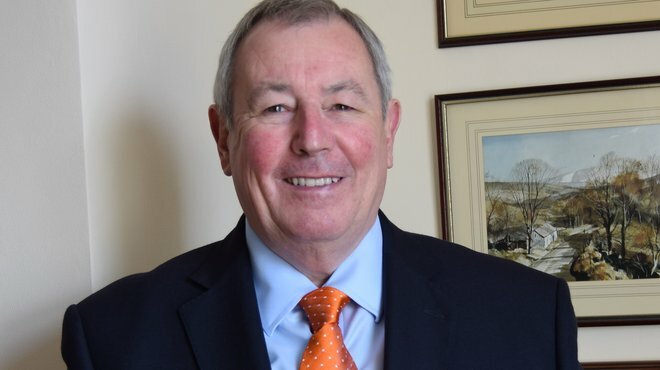 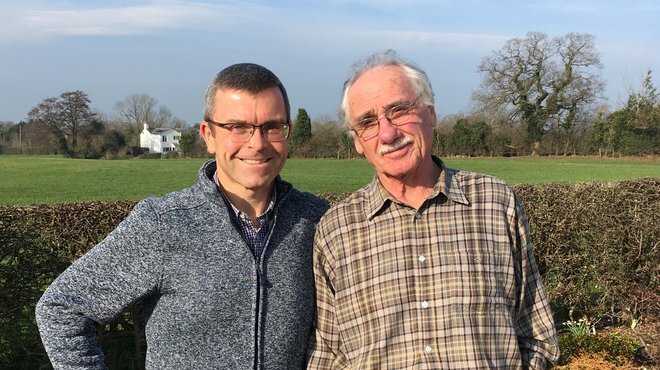 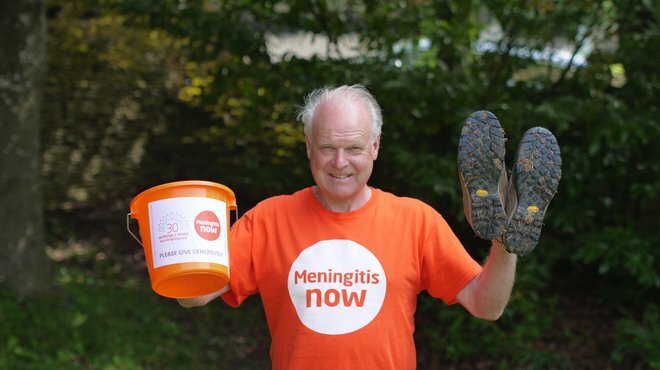 Meningitis Now CEO Dr Tom Nutt will be joining around 100 other Team Tangerine marathon runners on 28 April to help raise funds for the charity by running the London Marathon. 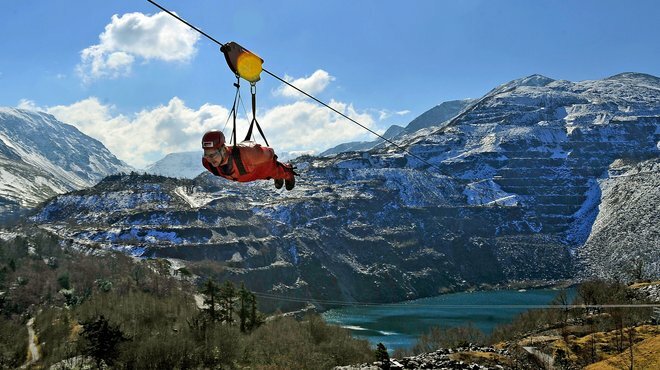 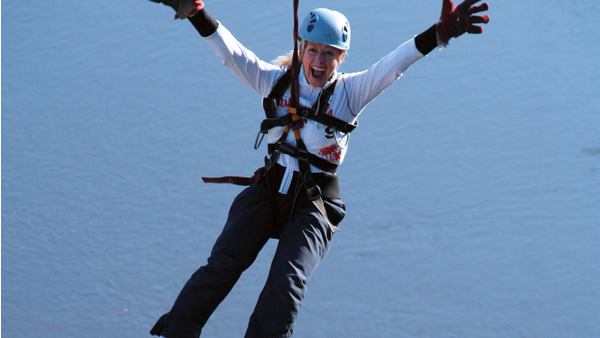 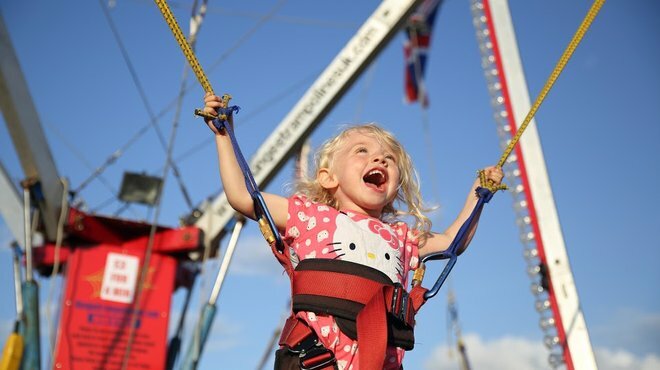 Zip, zip away over the River Tyne in our brand new zip slide challenge! 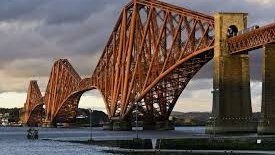 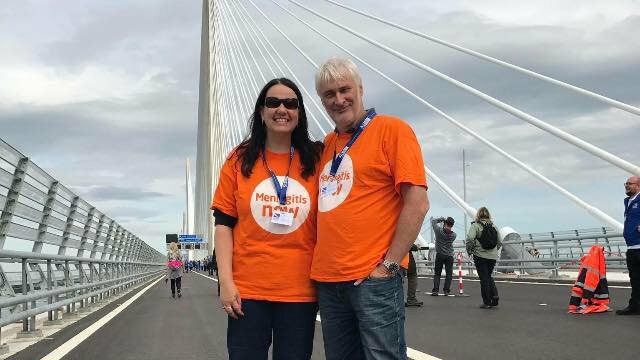 Why not join a team of Meningitis Now supporters and help raise vital funds by abseiling down the Forth Bridge? 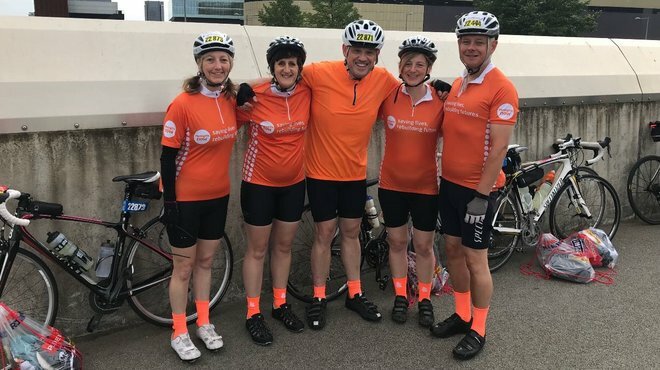 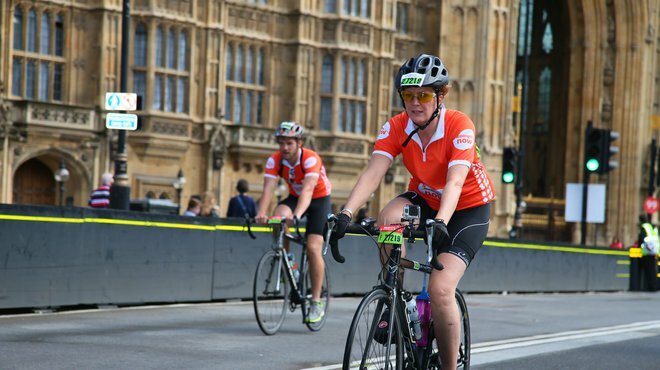 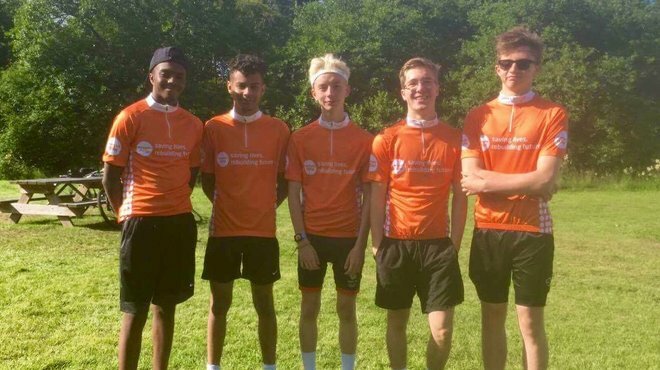 Team Joanna are back for their second year of Prudential's RideLondon-Surrey 100; there's still time to join them on our fab #TeamTangerine! 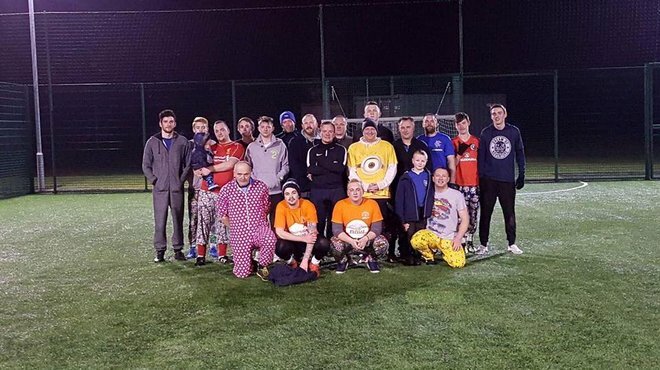 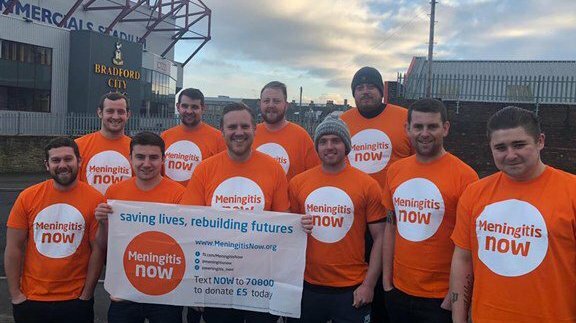 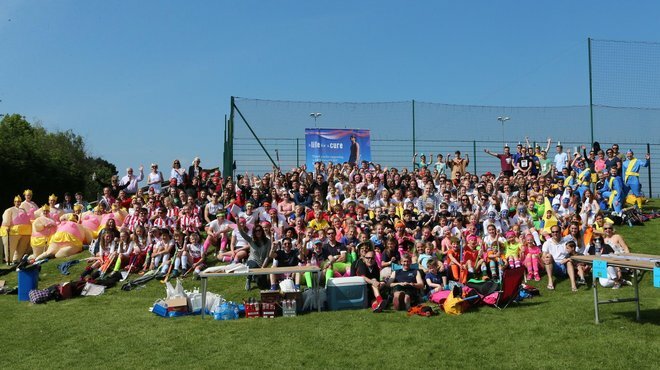 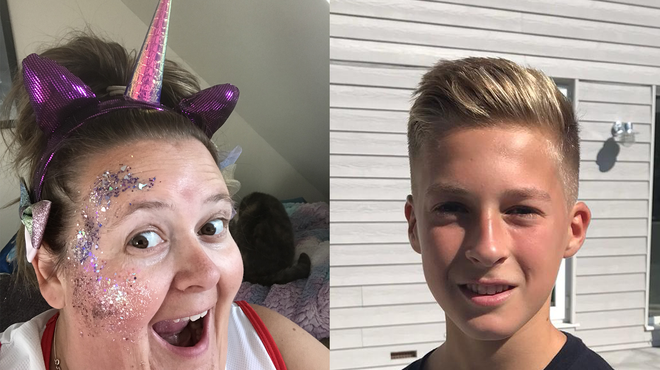 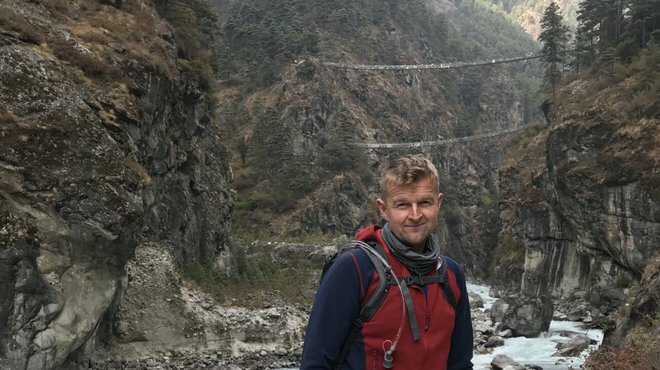 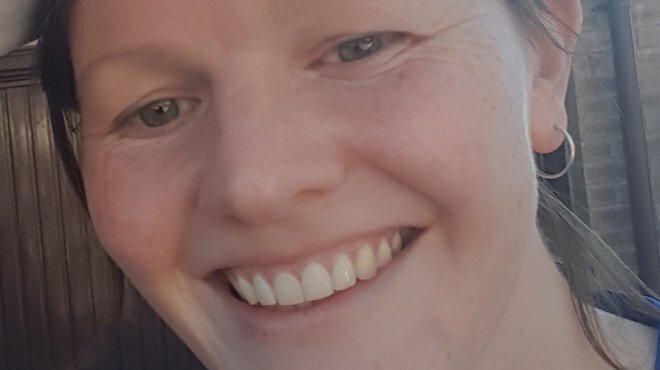 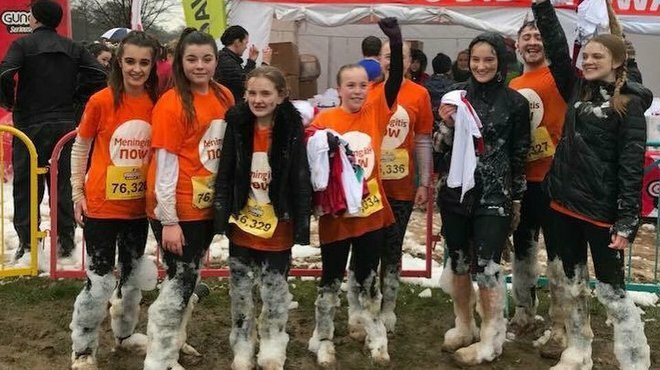 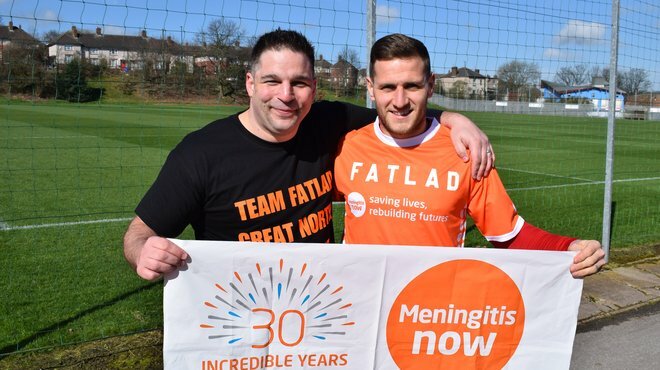 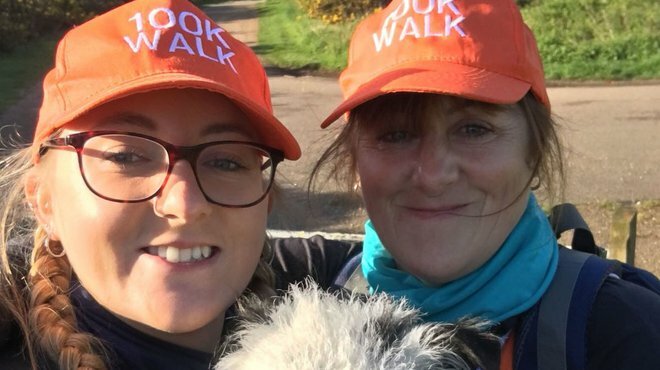 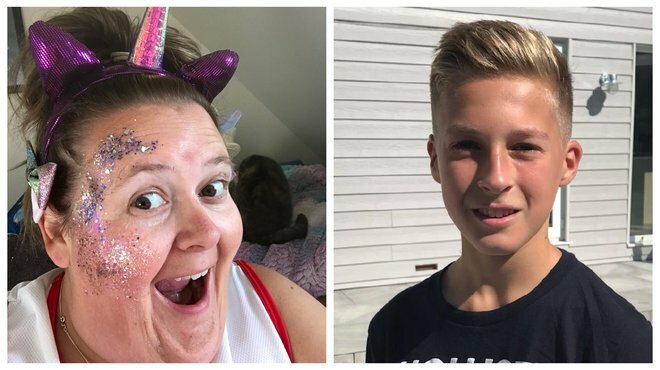 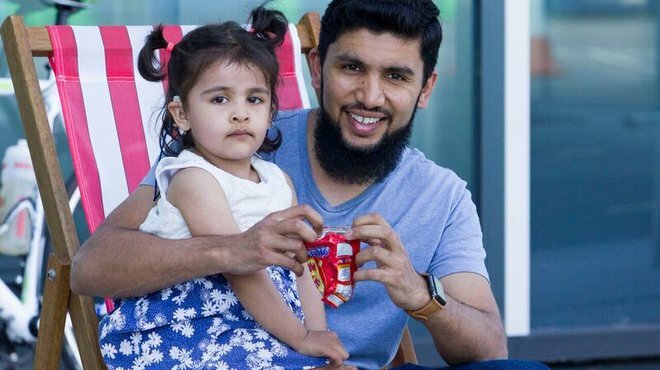 A group of Bradford City football fans are ganging together to take on a three-day walk ending at the club’s ground in time for a match to raise money for Meningitis Now. 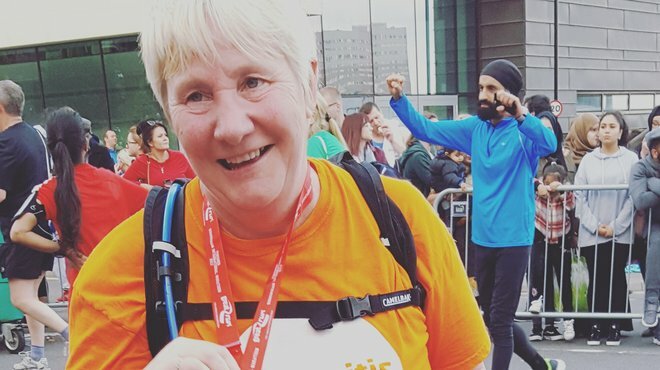 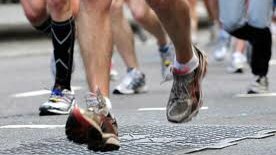 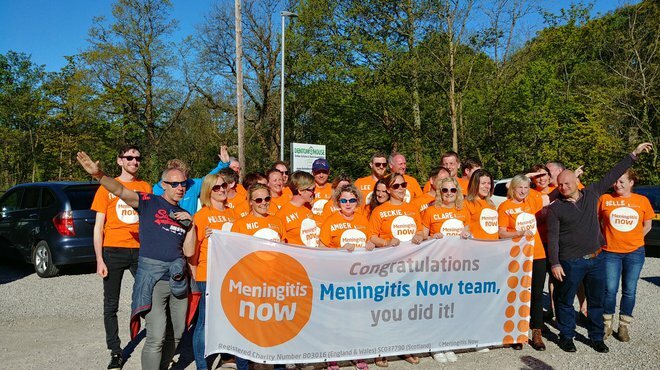 If running a marathon is on your wish list, why not get On The Move and help fight meningitis at the Milton Keynes Marathon? 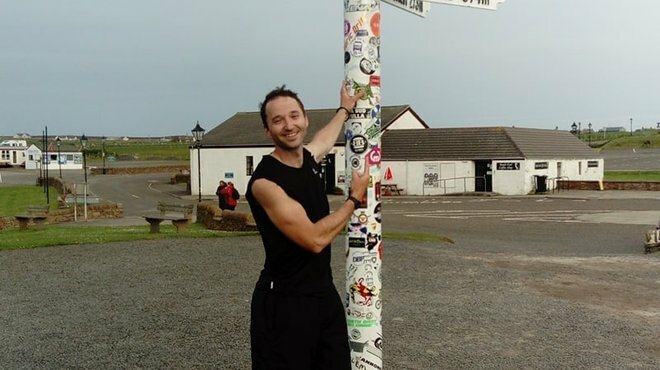 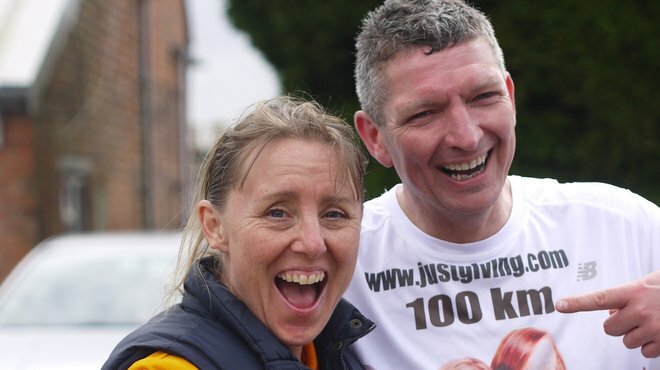 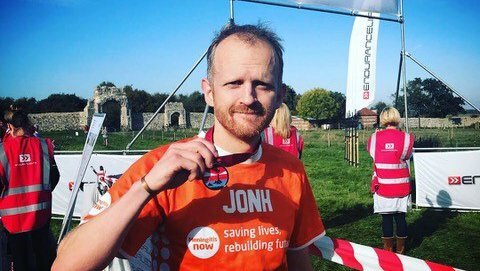 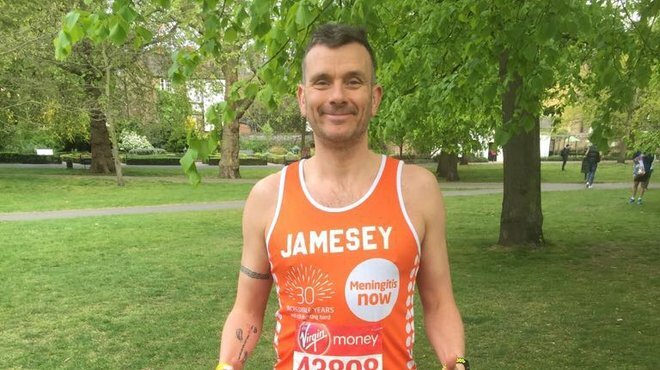 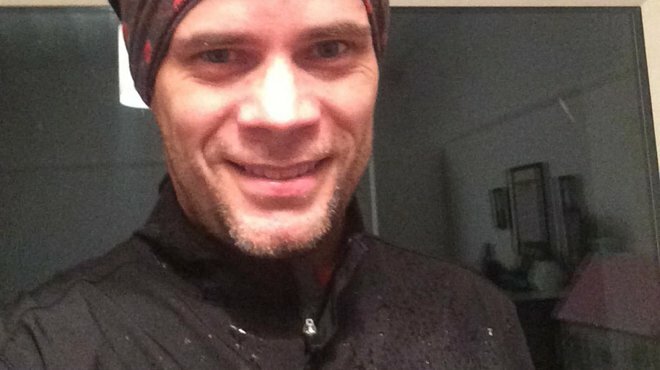 One marathon is a huge achievement for anyone - but John is taking on one every month for a whole year! 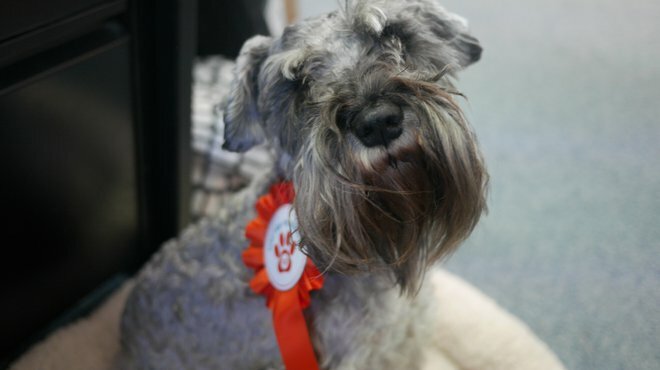 Comms Officer Clara's miniature schnauzer Cooper has become a bit of an office celebrity, and he's been using his new-found fame to help raise funds! 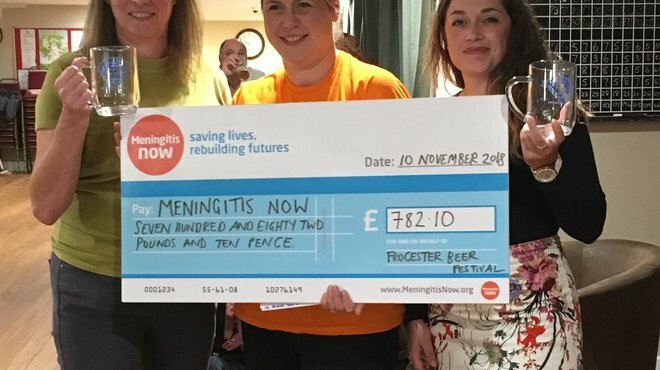 Proceeds from the sale of tankards at Frocester Beer Festival raised £782 towards Meningitis Now's work. 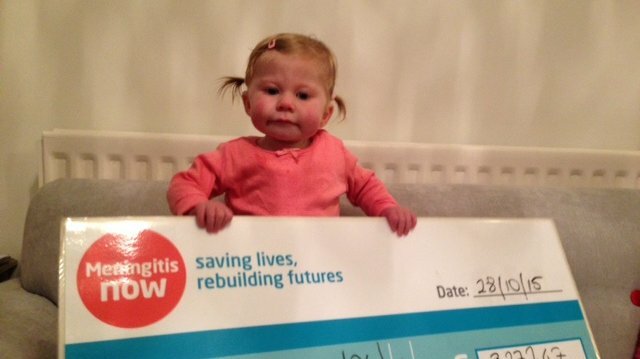 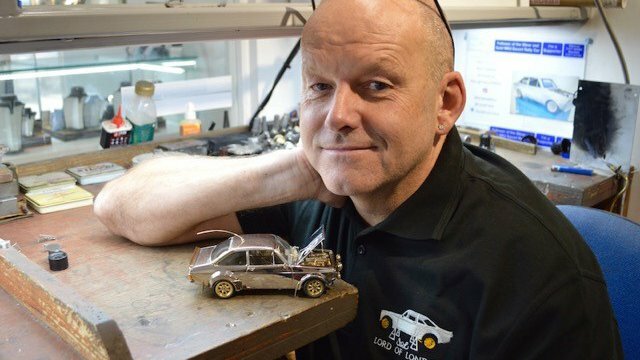 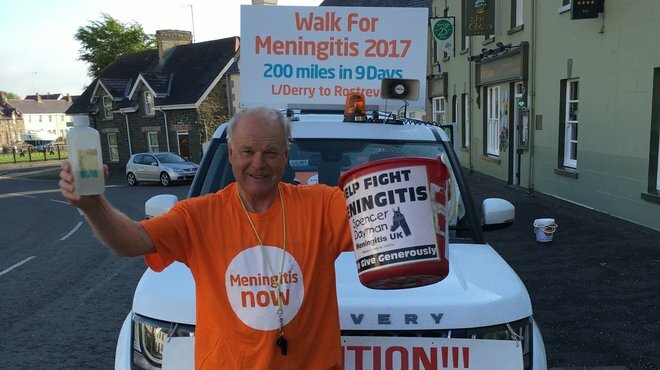 Meningitis Now is due to be one of the beneficiaries from the auction of a very special model car. 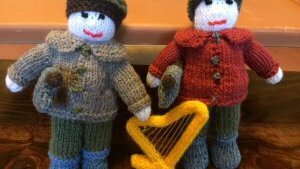 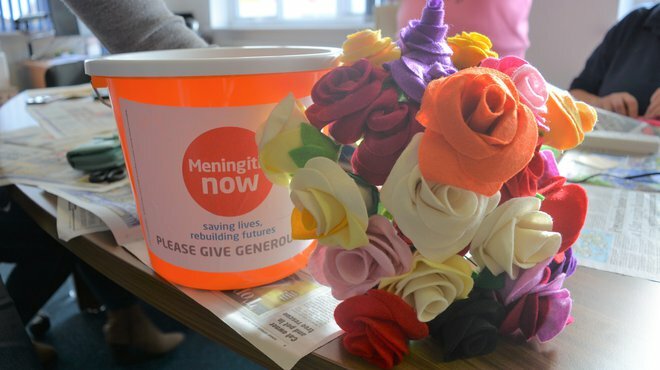 Get knitting to fight meningitis is the call from Barnwood Amateur Dramatics Company. 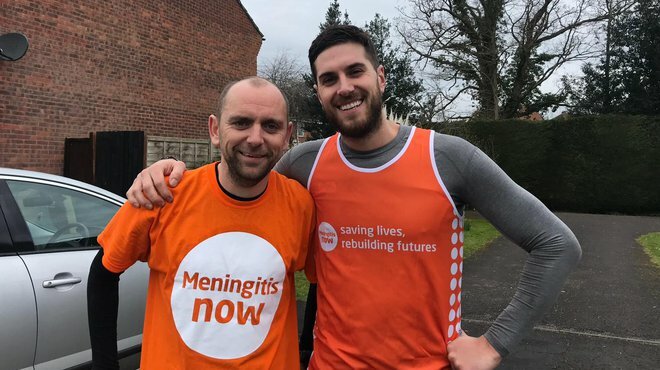 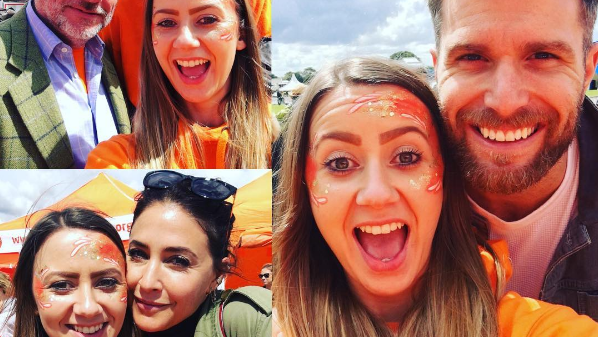 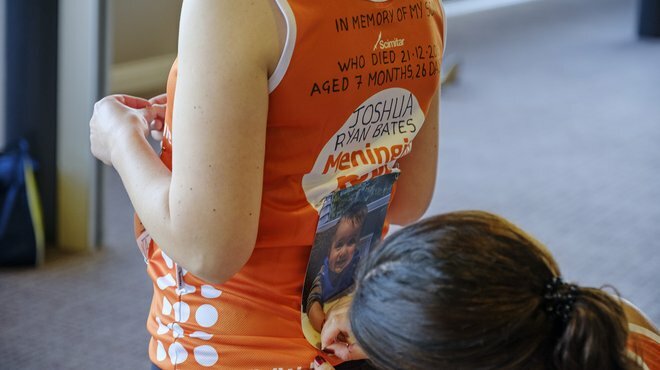 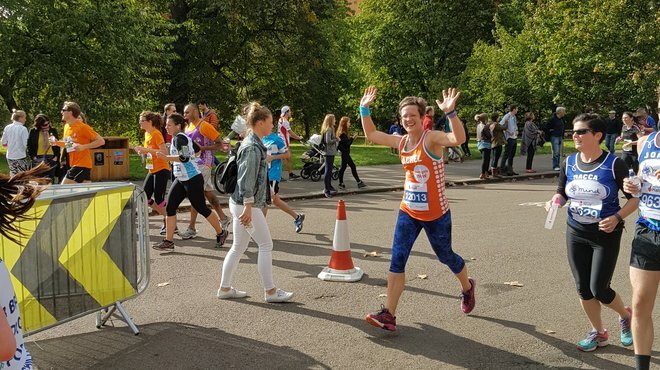 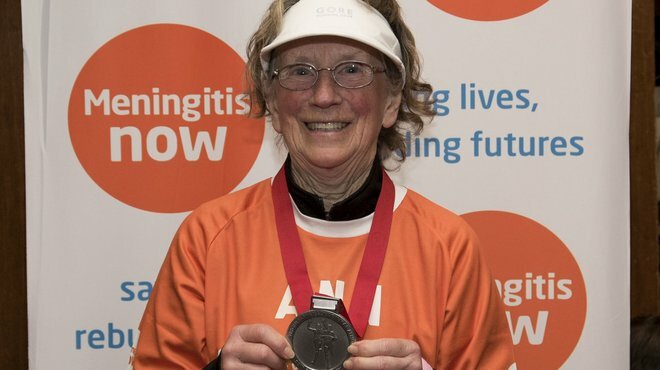 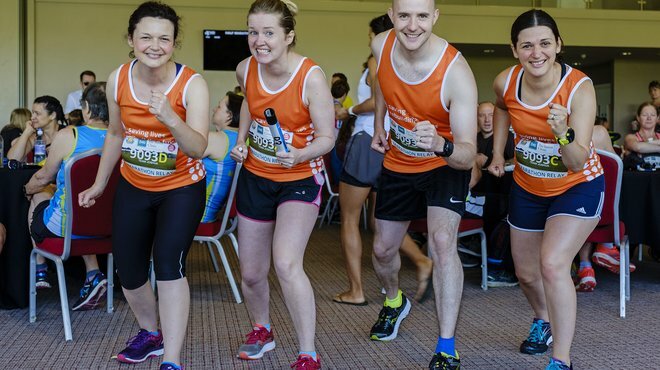 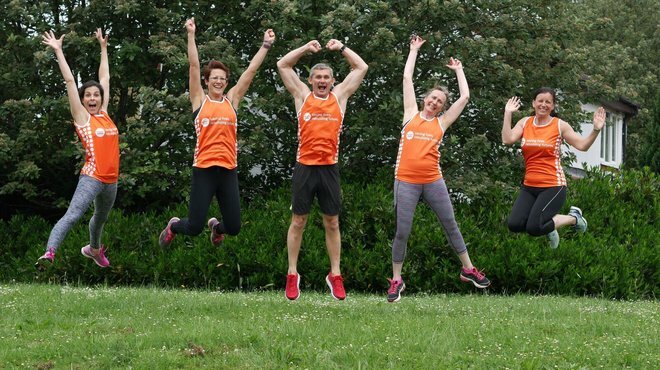 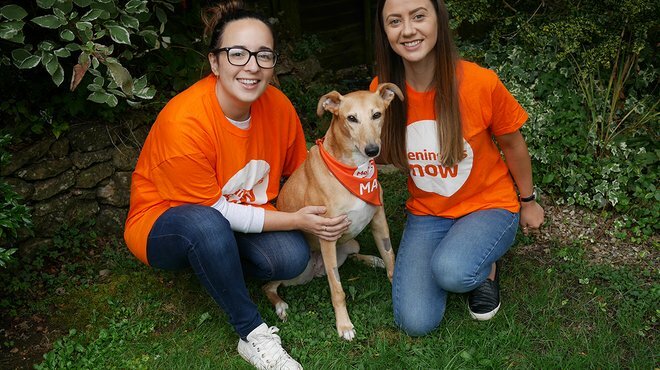 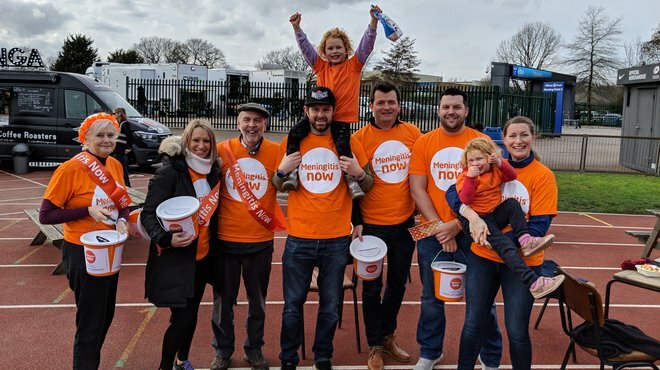 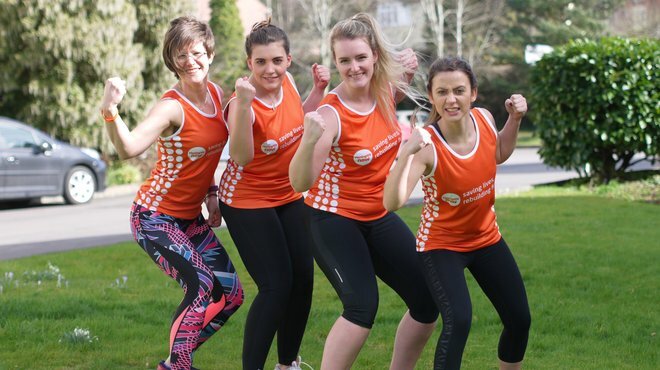 Join our friends at Rightmove and fundraise for Meningitis Now by running the Milton Keynes marathon in 2019. 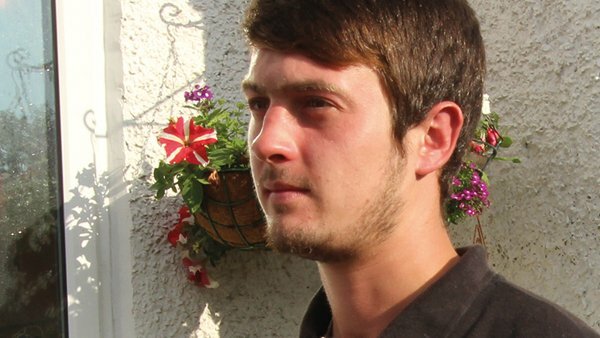 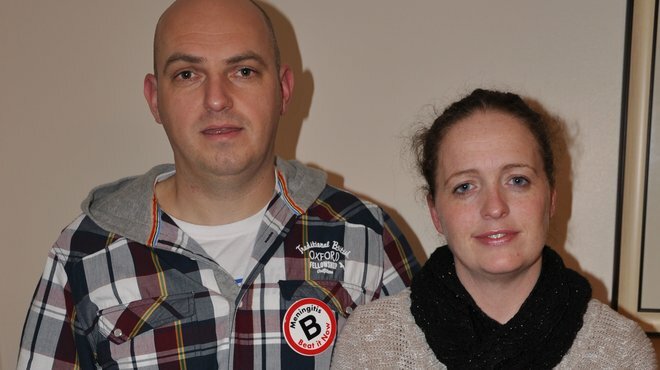 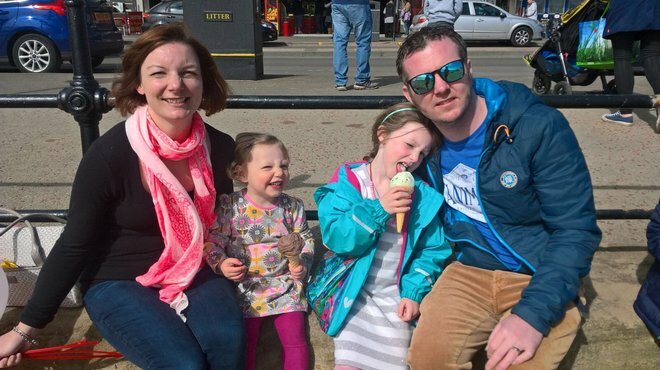 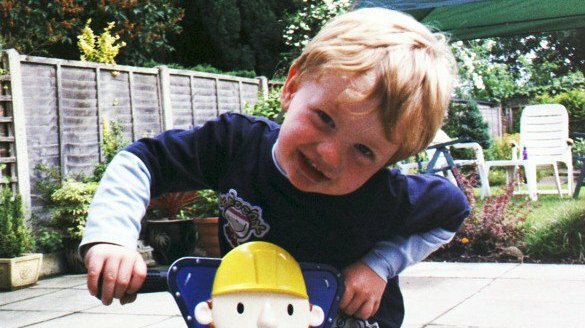 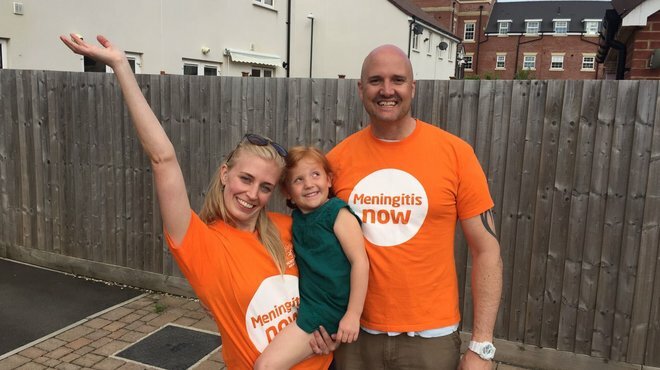 After losing his sister Donna to meningitis five years ago, Simon vowed to support the work of Meningitis Now. 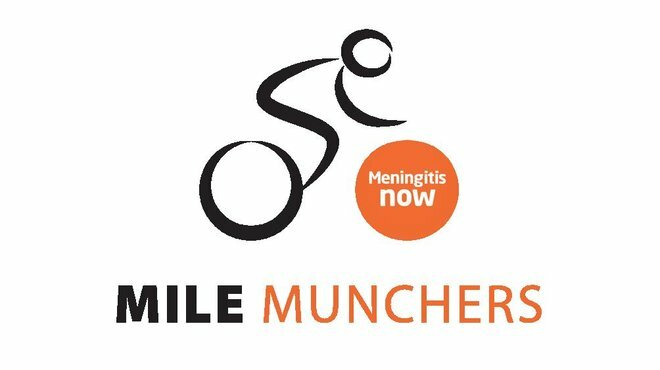 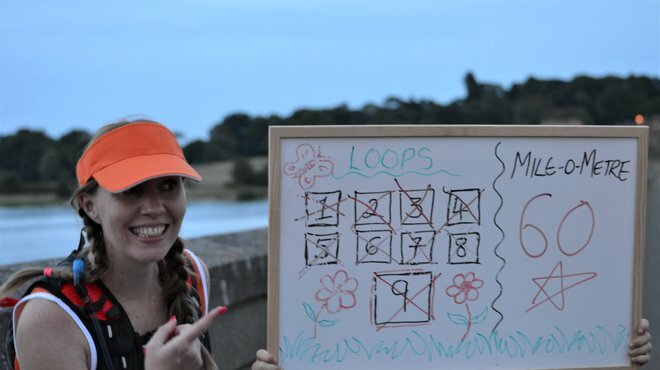 If you are looking for a unique challenge to raise funds to battle meningitis, look no further. 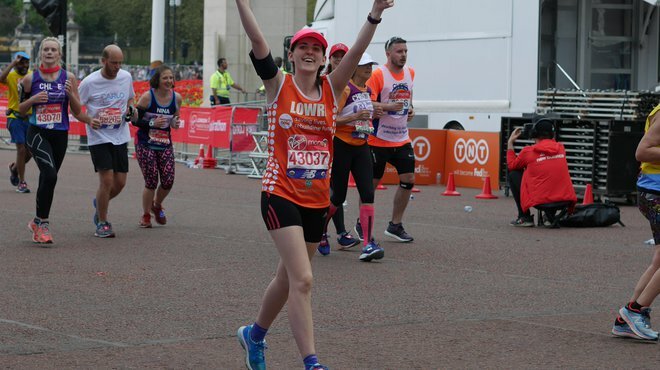 Have you missed out on a 2019 London Marathon place? 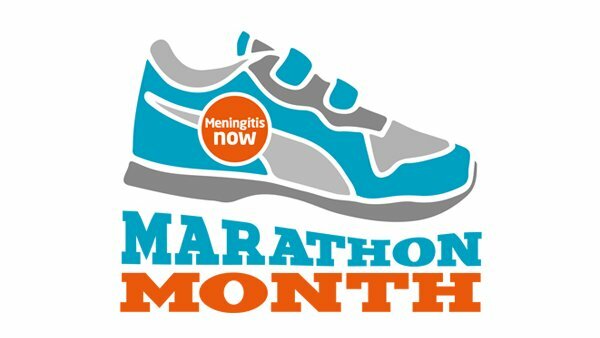 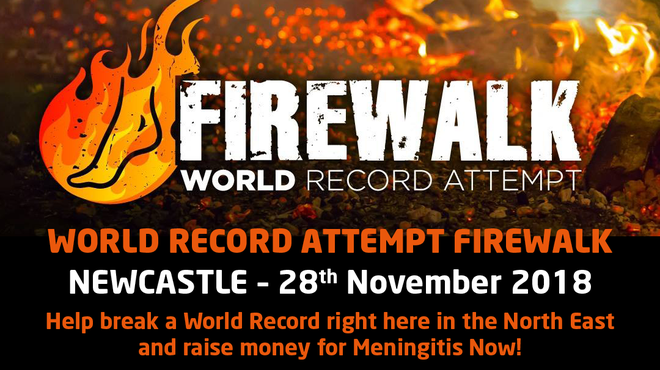 Why not register and be in win the chance of running the event on behalf on Meningitis Now. 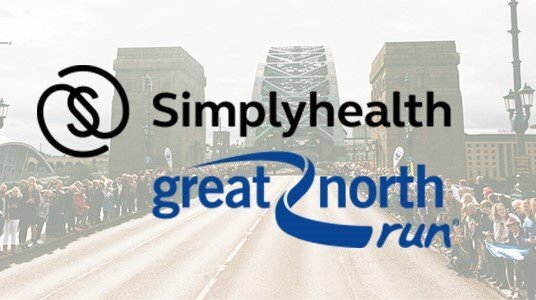 A huge thank you to all of our fantastic runners in this year's Great North Run! 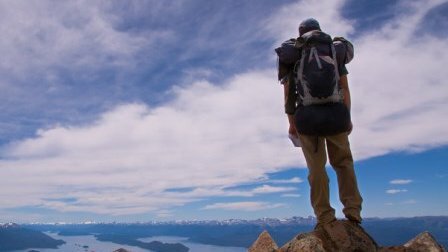 Would you like to be among them in 2019? 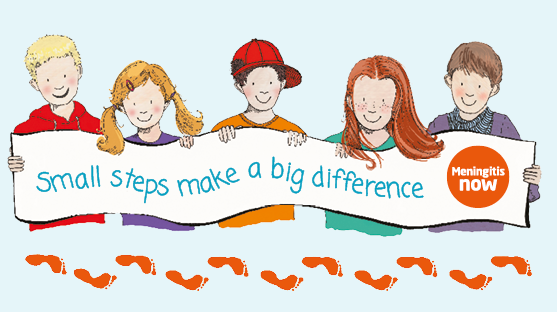 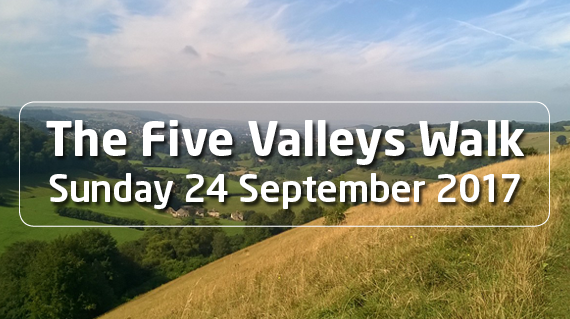 The 2018 Five Valleys Walk is just days away and we very much hope to see you there! 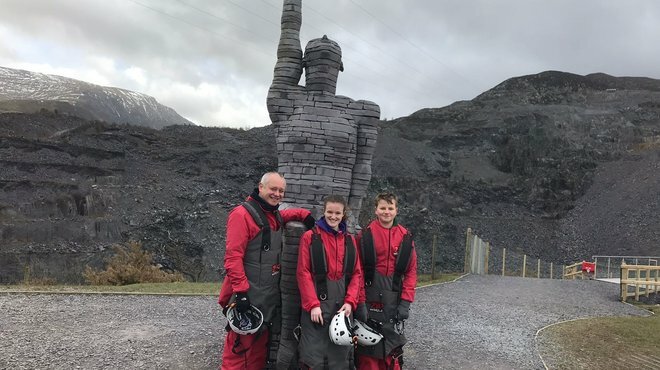 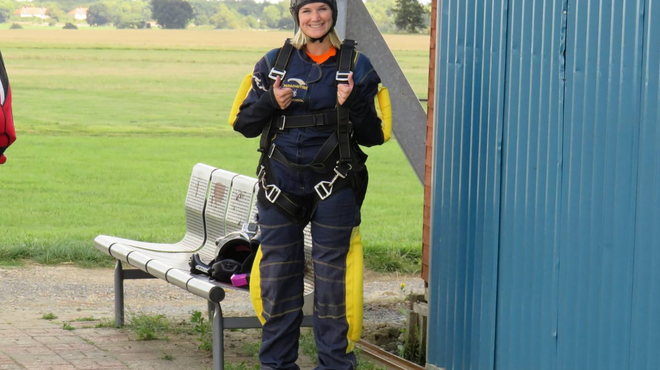 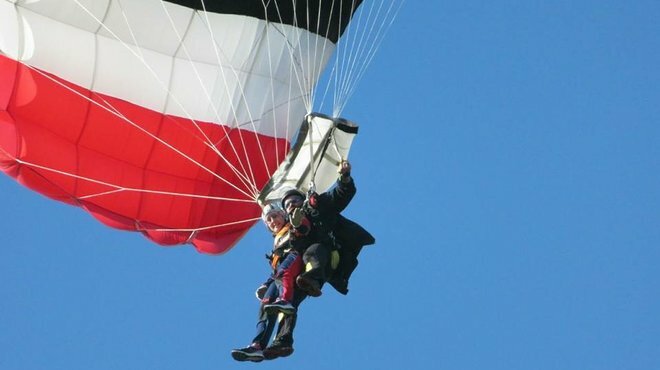 To raise funds for Meningitis Now and celebrate a special birthday, Kim took to the skies for an adrenaline-pumping challenge! 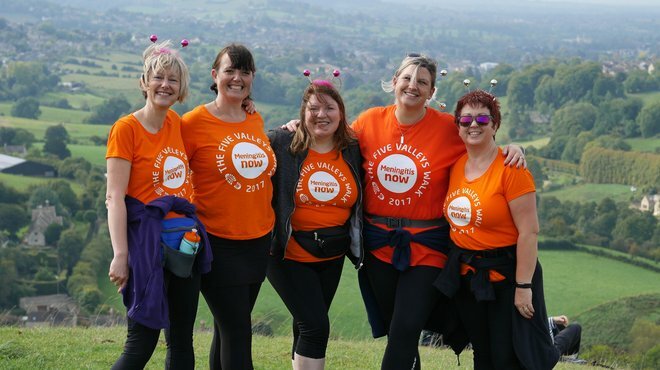 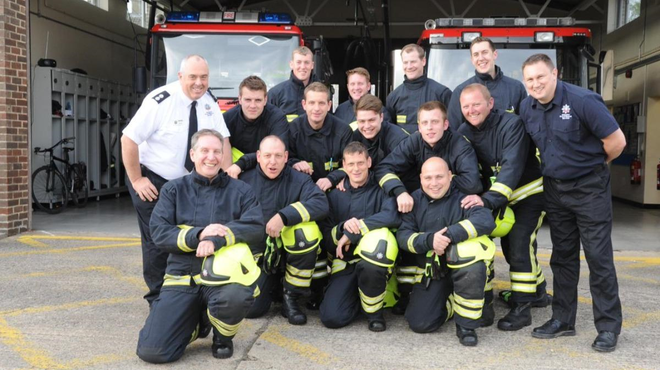 As if the full 21 mile circuit of our Five Valleys Walk wasn't enough of a physical challenge, spare a thought for a team of firefighters - they'll be walking it in full fire kit! 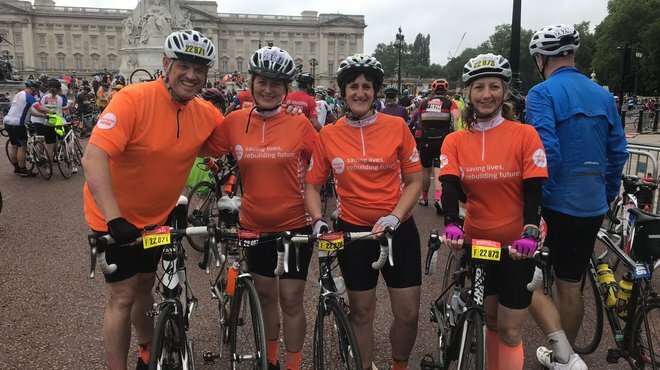 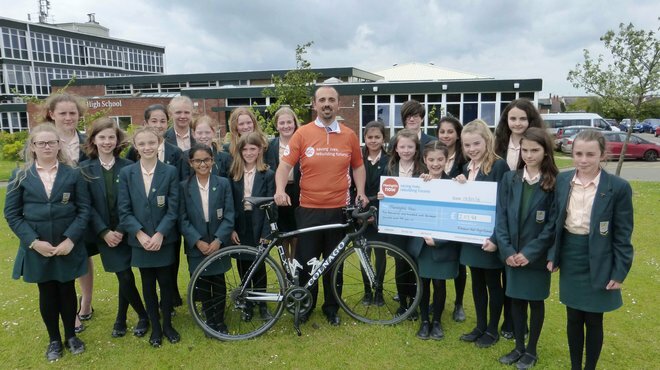 A huge thank you to Team Tangerine for taking part in this year's RideLondon-Surrey 100 on the soggiest day of the summer! 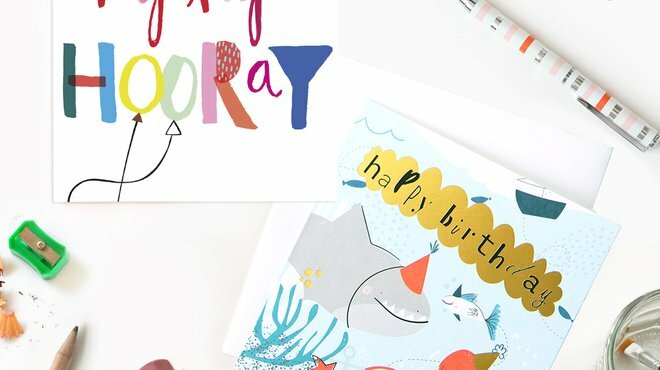 Calling all young designers! 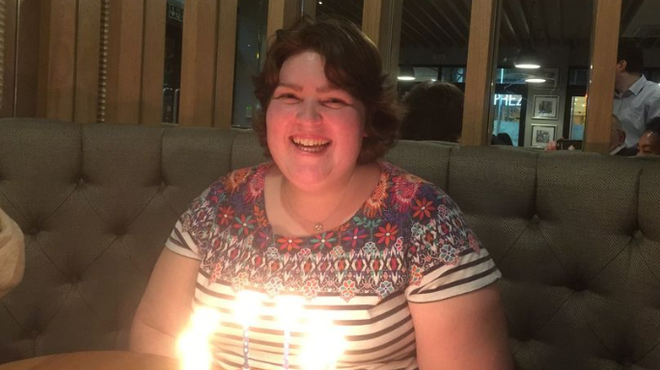 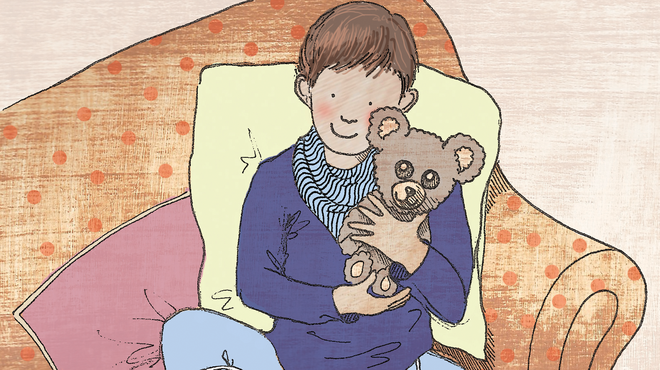 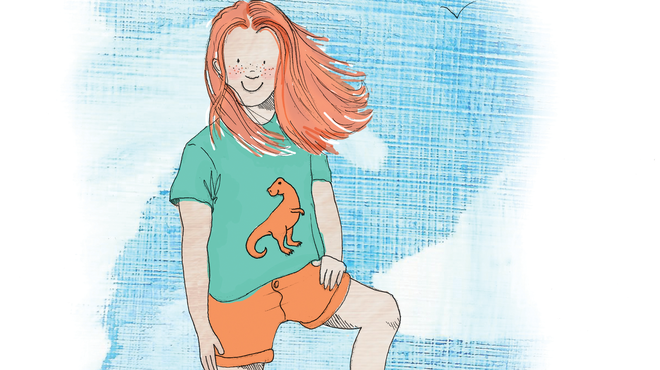 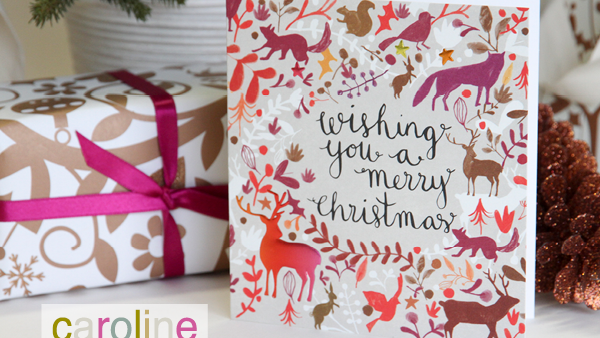 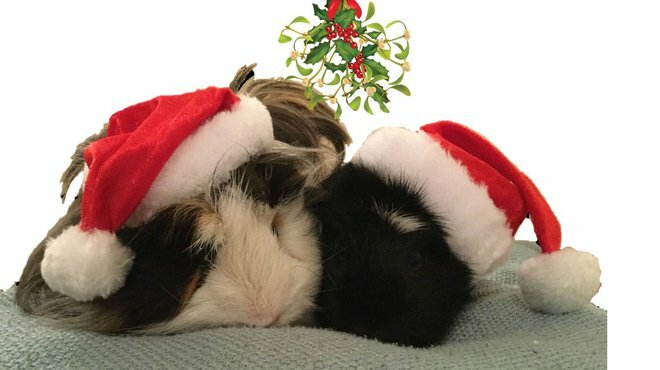 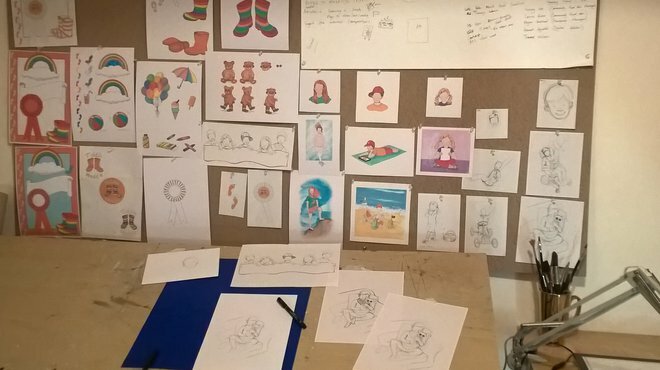 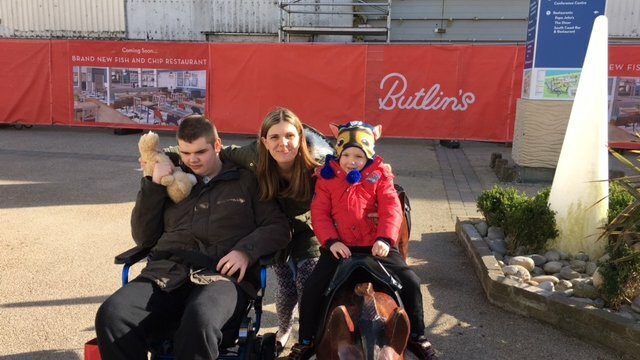 Can you help Caroline Gardner design a card to celebrate their 25th birthday? 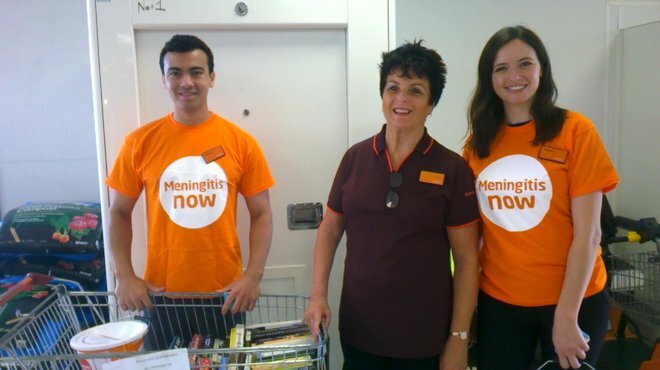 Emerson's Green Sainsbury's have been supporting Meningitis Now for 12 months. 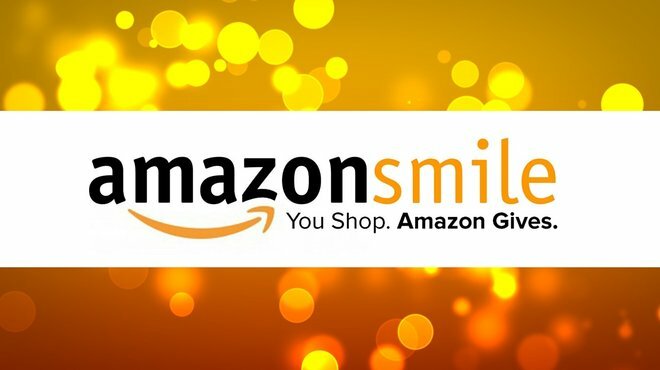 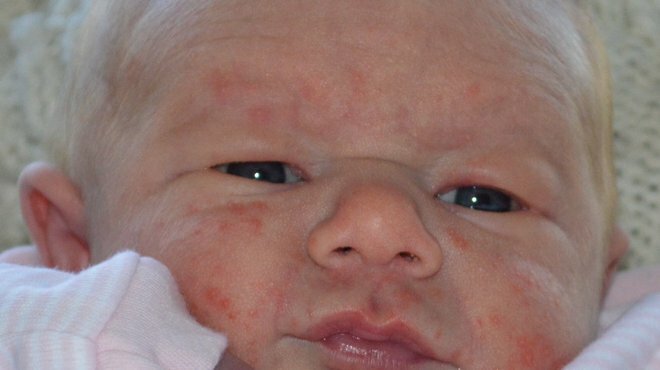 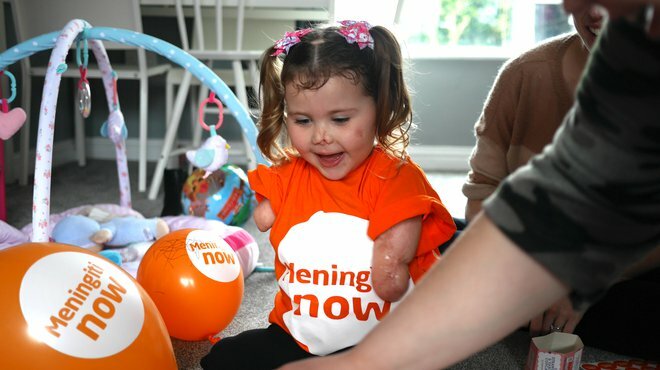 You can now battle meningitis by shopping online with Amazon Smile. 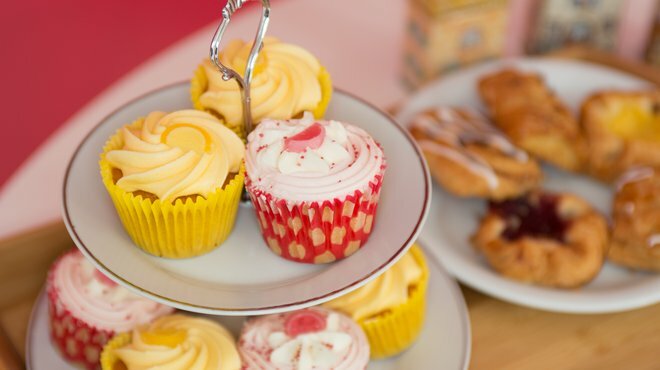 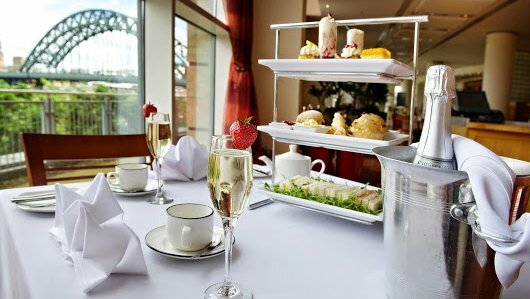 Join us for a relaxing afternoon tea... before taking on an exhilarating glass walk! 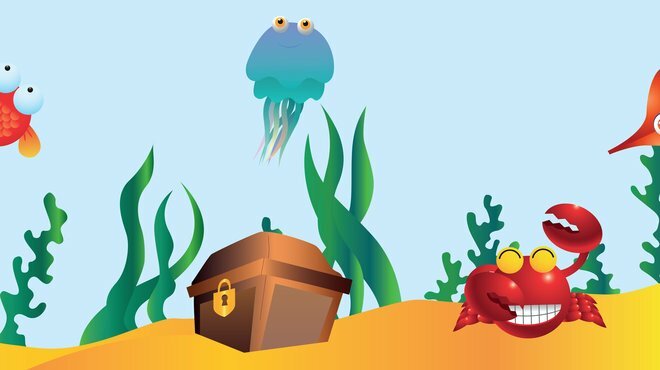 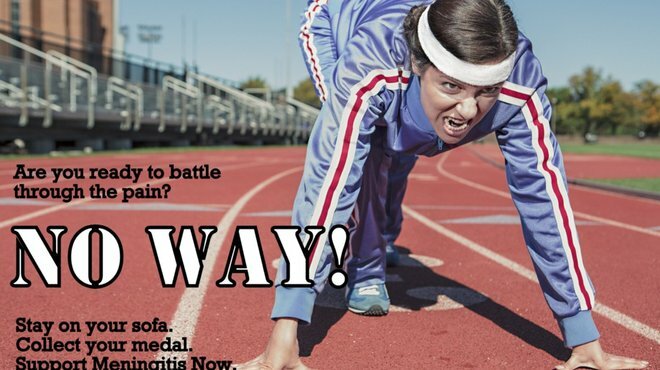 Take on our new virtual challenge and earn yourself some excellent bling! 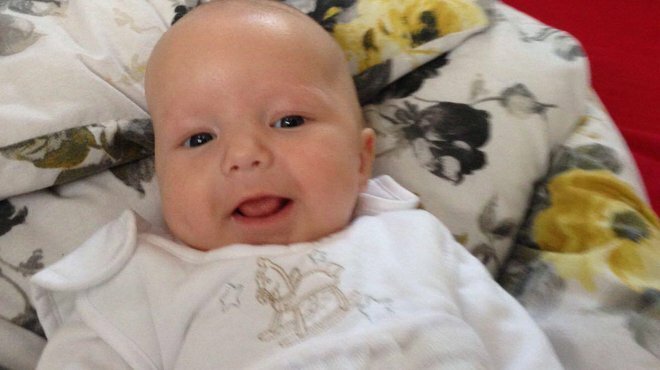 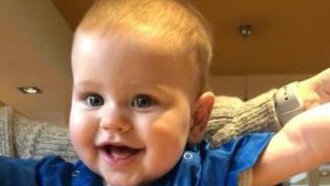 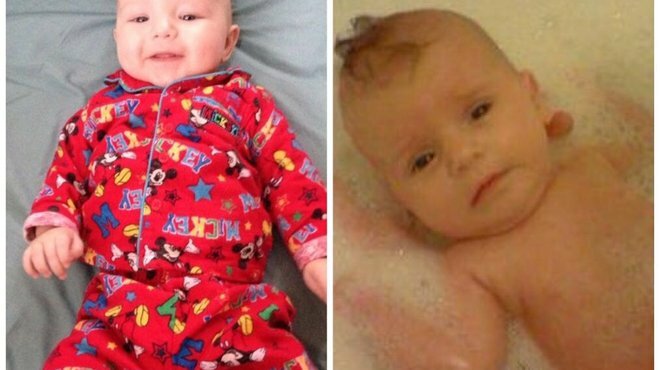 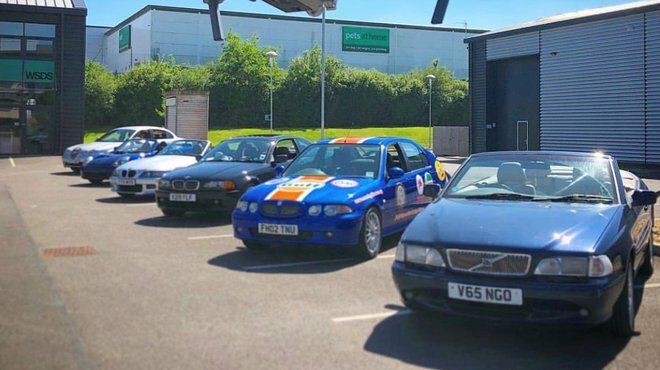 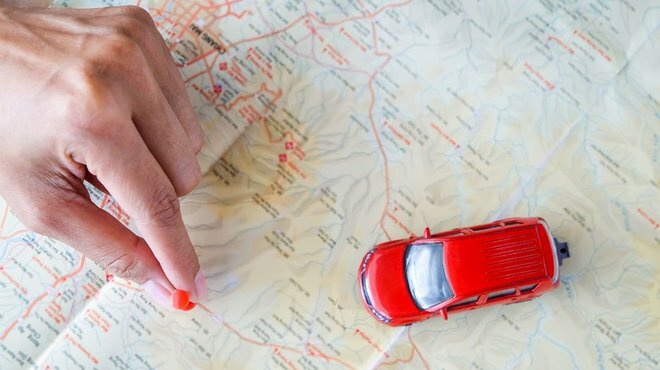 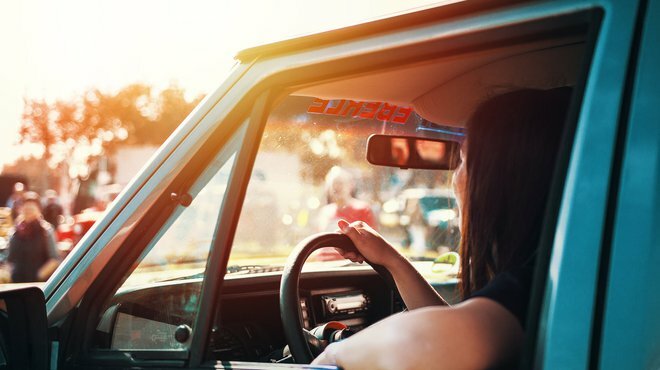 Ten car enthusiasts are taking on a challenge to raise money for Meningitis Now in memory of 14-month-old Reggie who sadly died of meningitis in March 2018. 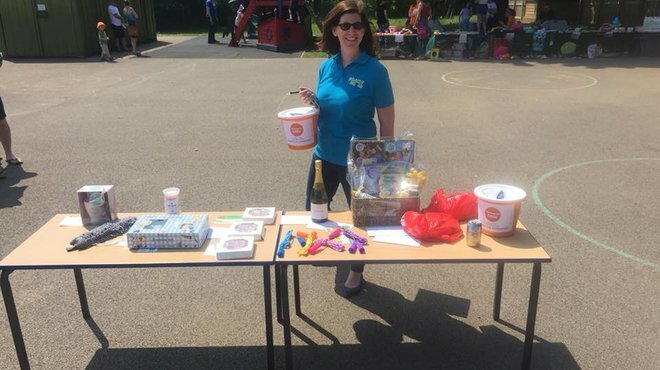 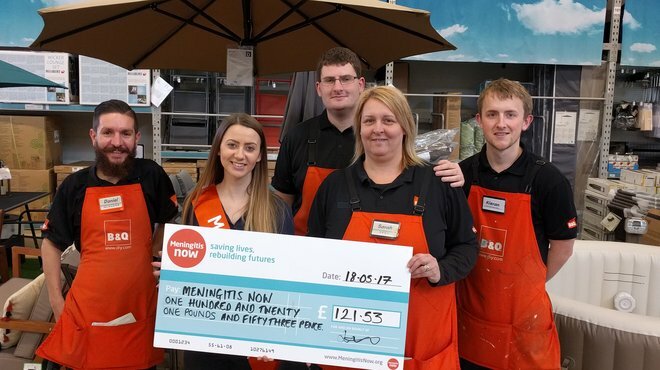 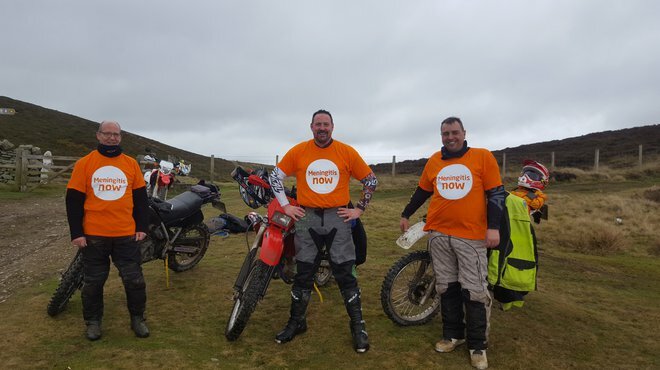 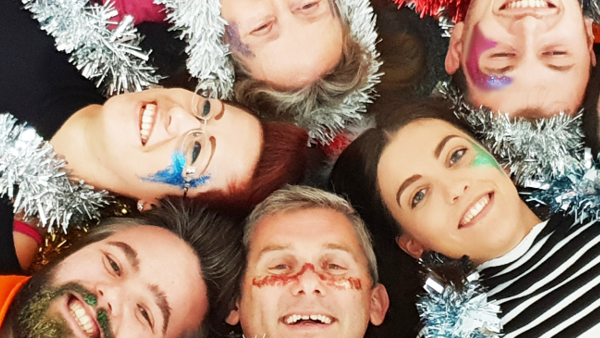 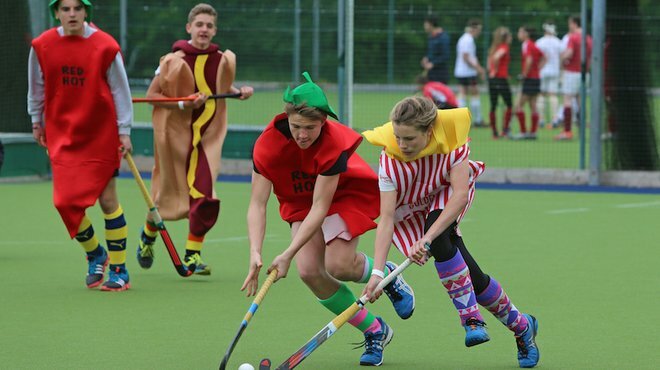 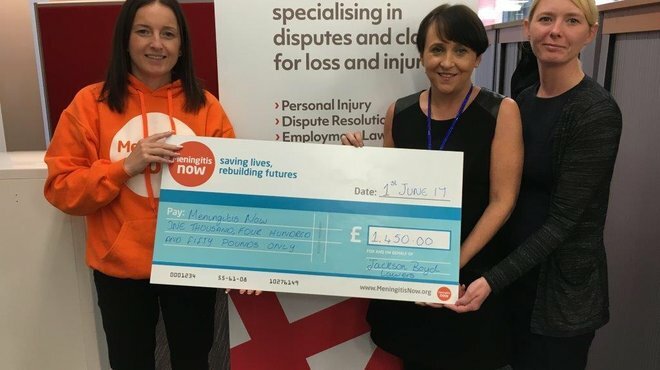 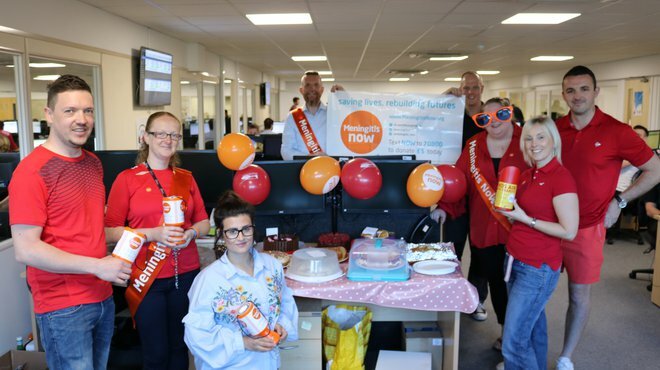 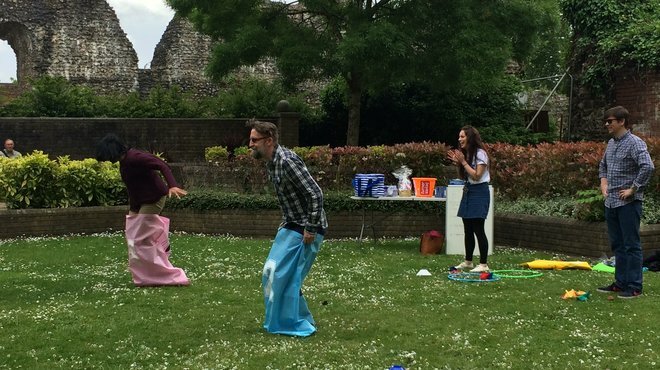 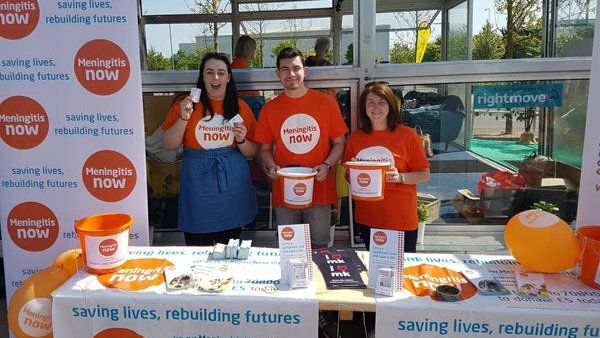 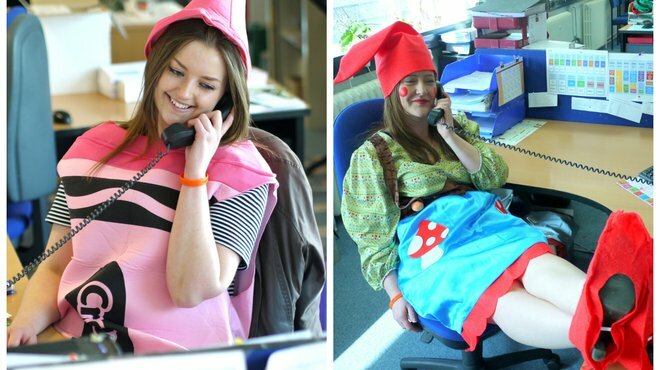 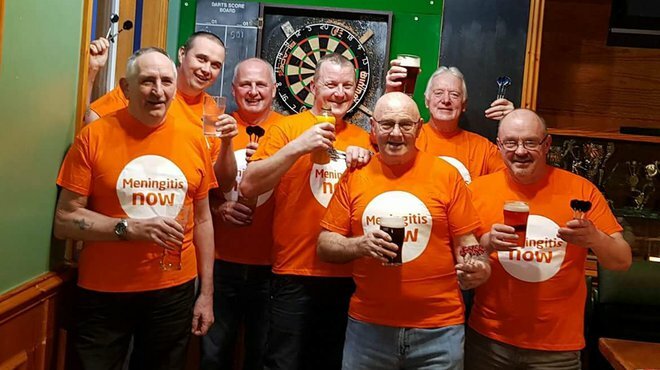 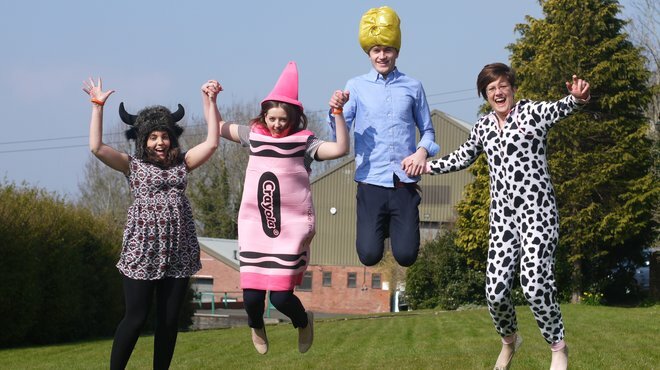 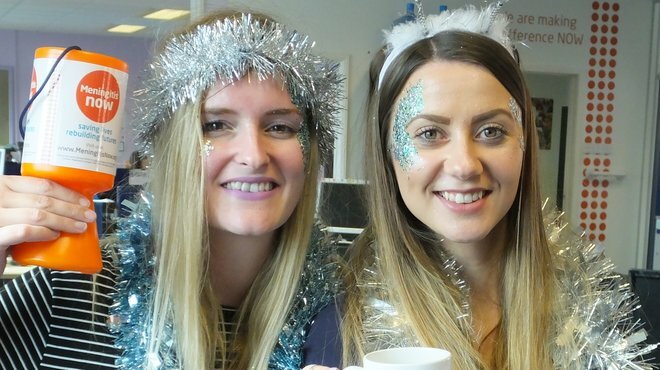 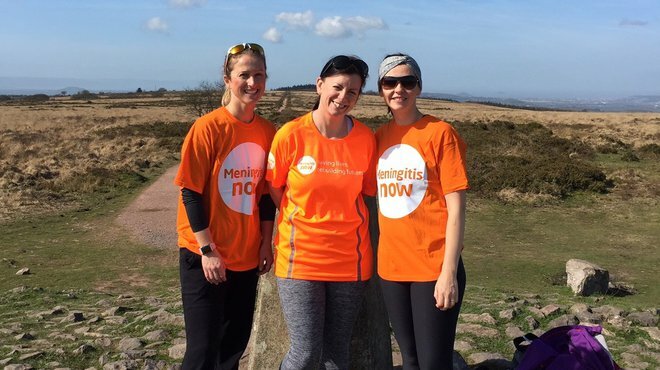 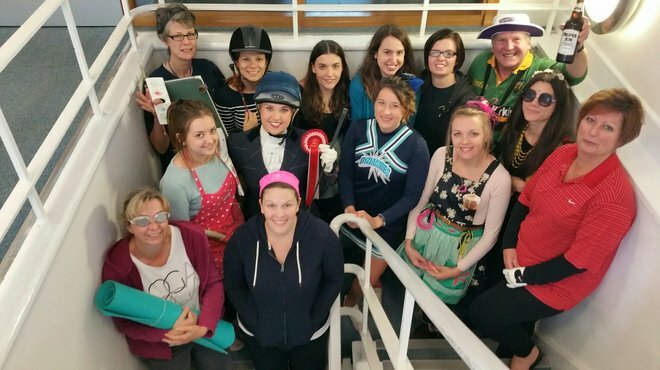 This May, Knights 1759 supported Meningitis Now in their May Mayhem campaign, which is all about having fun in the workplace whilst helping to raise funds to support those affected by meningitis. 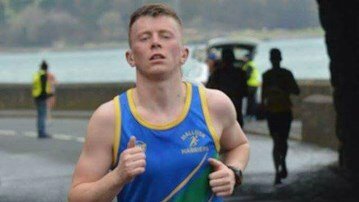 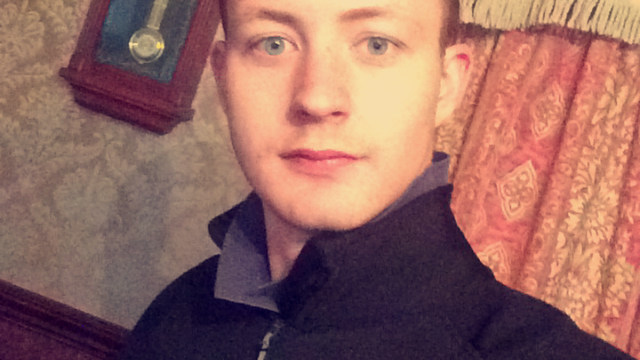 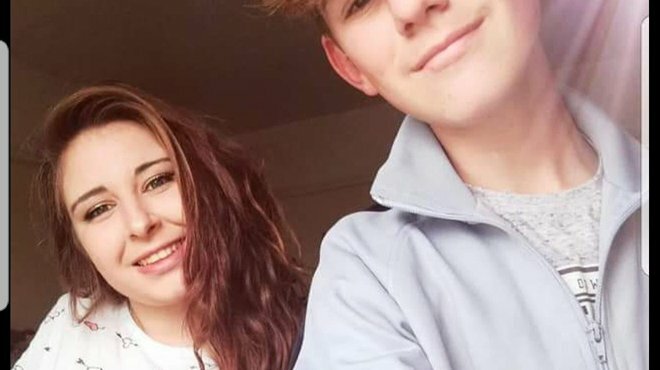 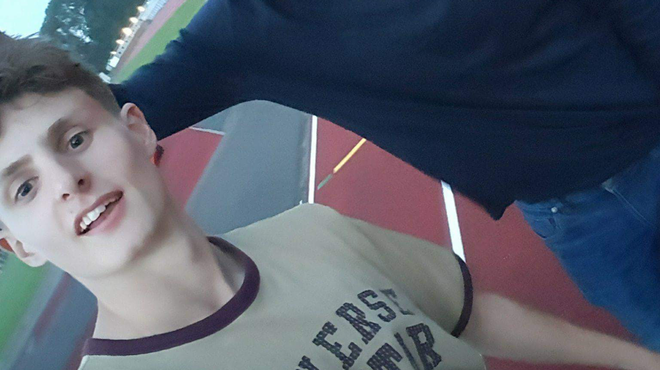 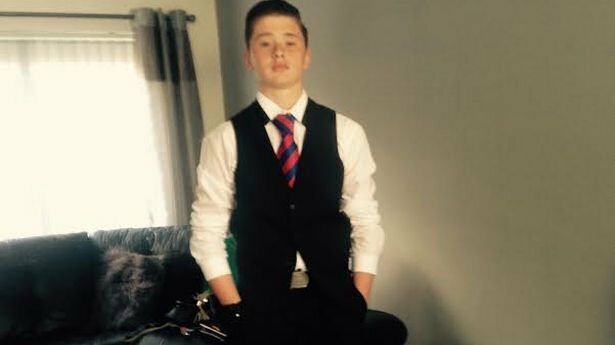 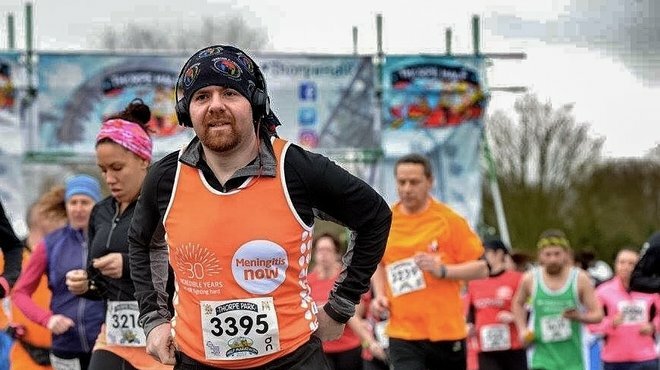 Joe Brayshaw will be running, cycling and swimming in the Leeds Triathlon in memory of his lifelong friend to raise vital funds. 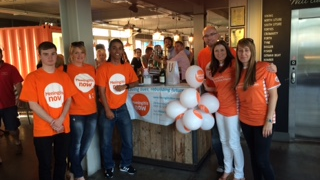 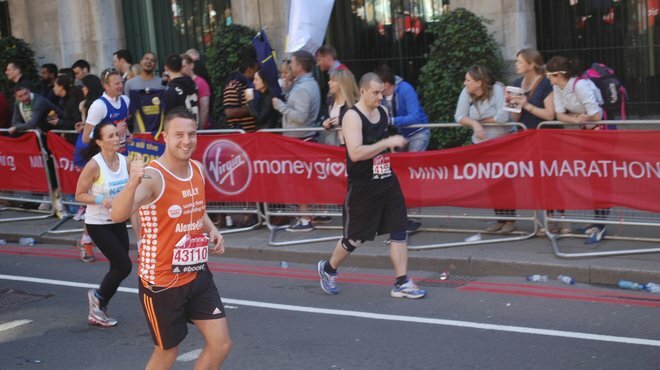 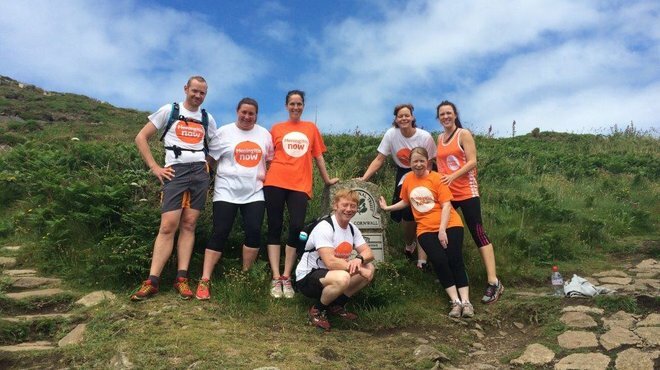 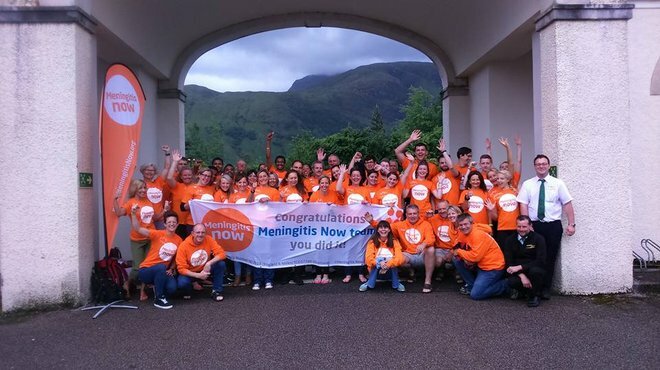 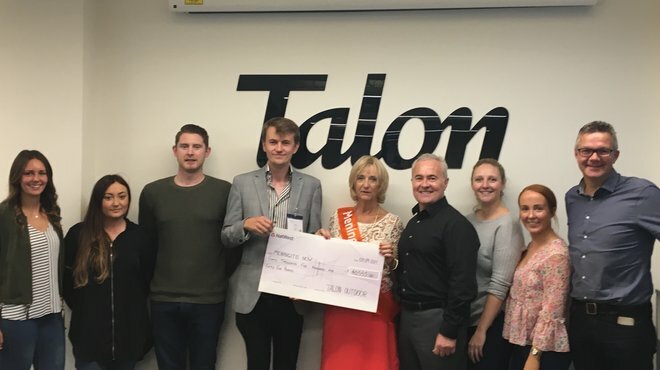 Thank you to outdoor advertising specialists Talon, who have raised a massive £50,000 for Meningitis Now! 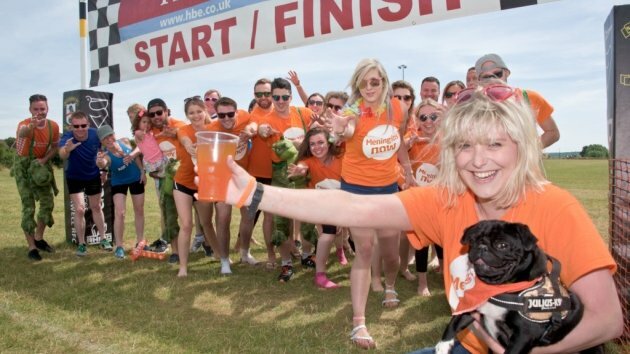 Thank you so much to Boyes Turner, who enjoyed causing Mayhem for Meningitis Now so much last year, they're back for another go! 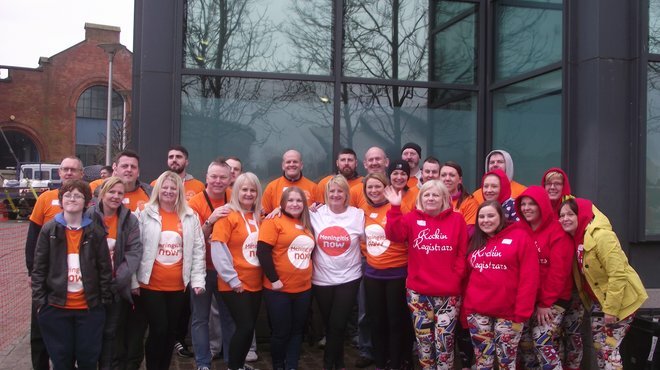 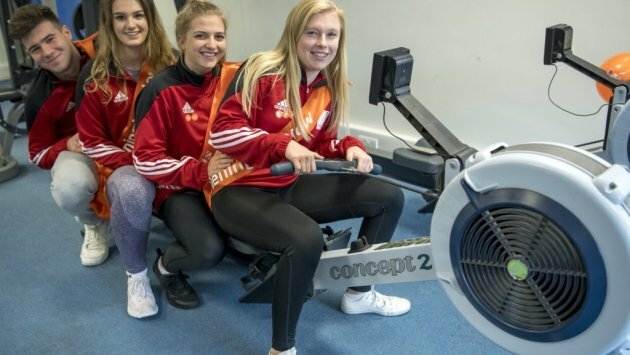 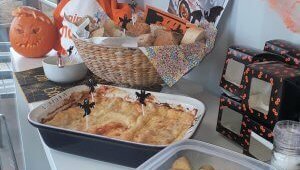 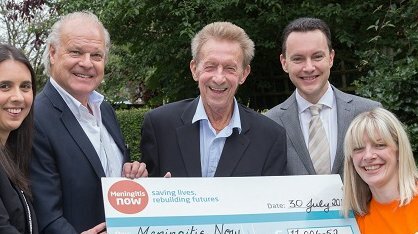 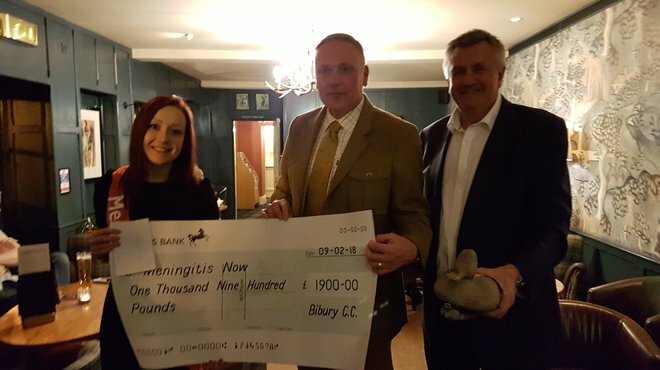 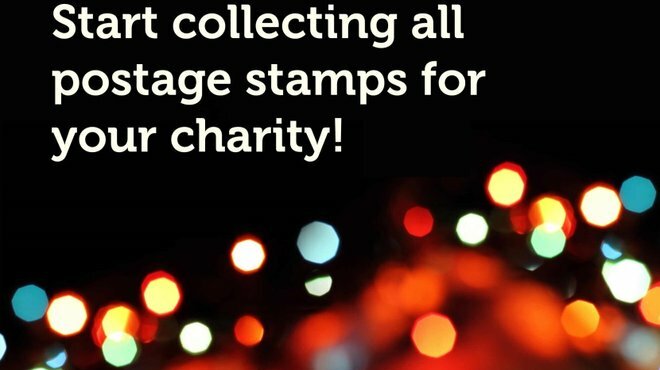 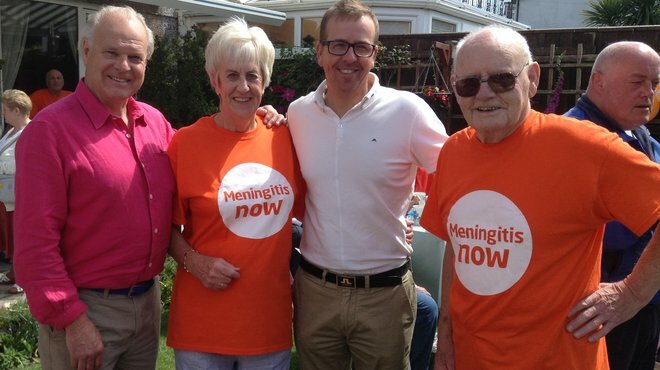 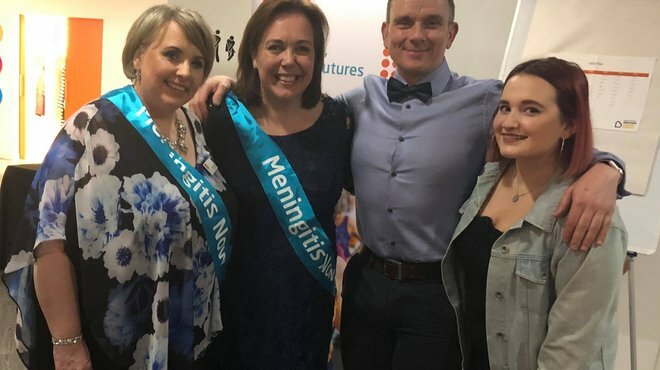 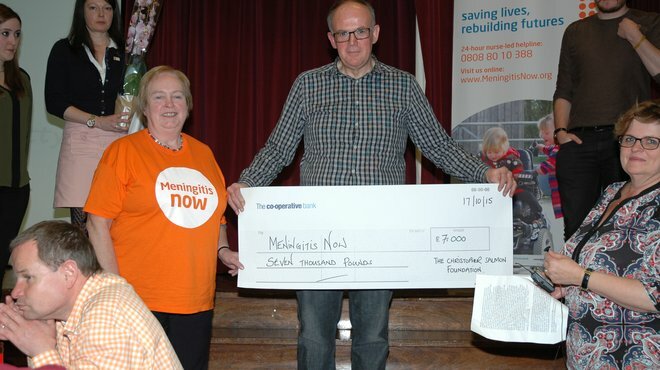 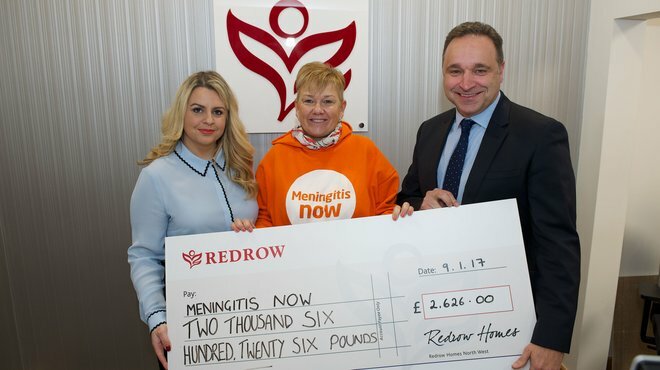 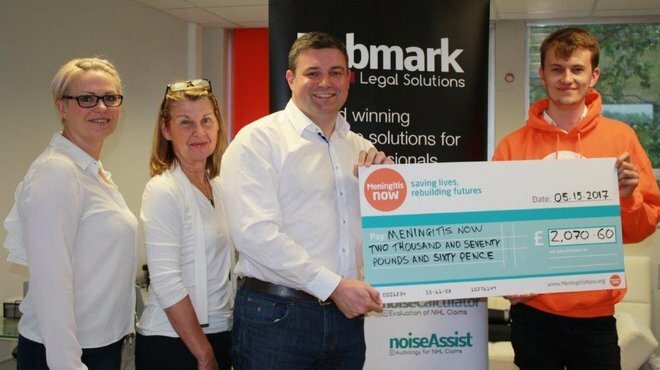 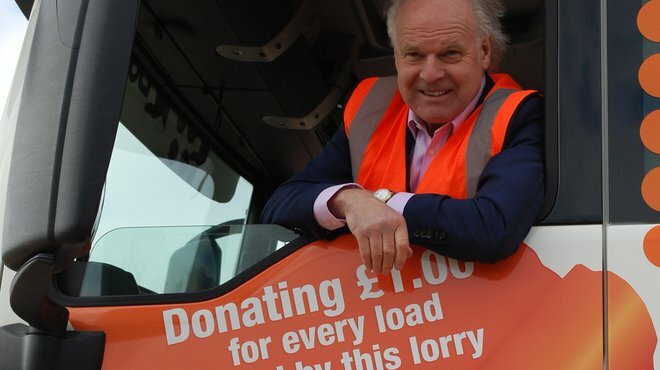 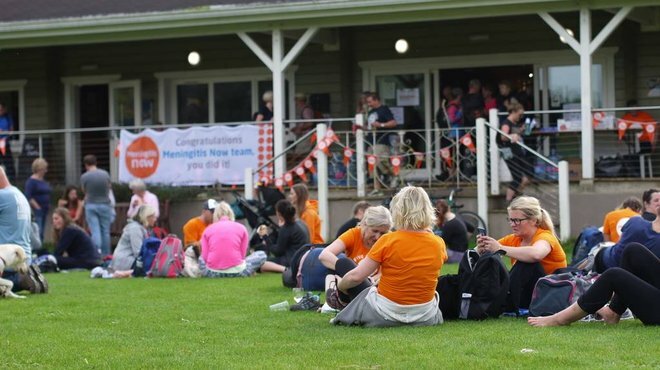 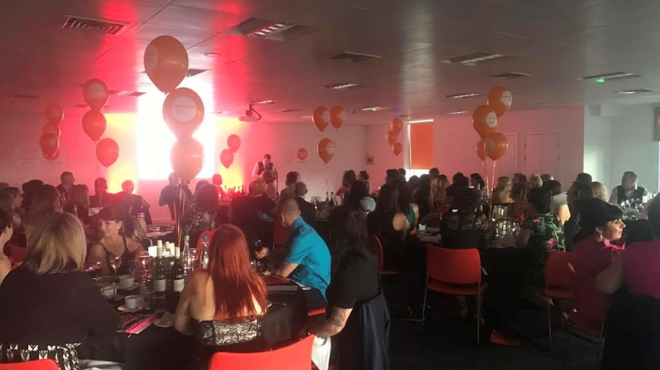 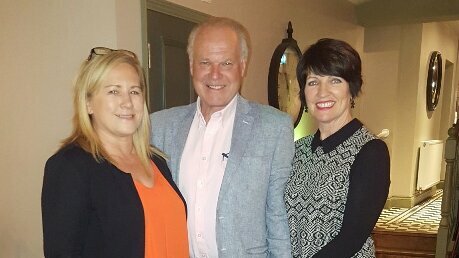 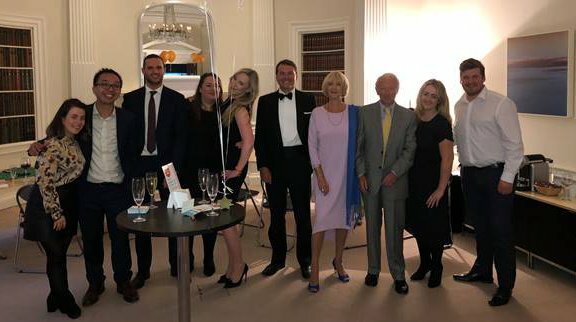 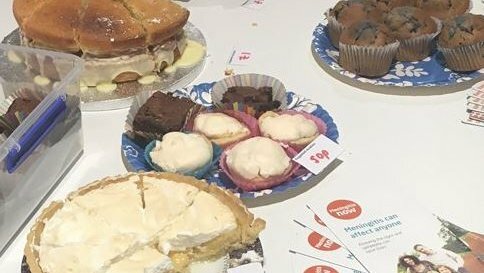 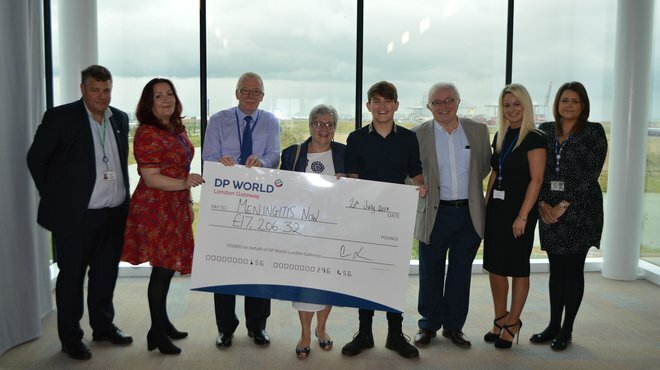 Meningitis Now corporate supporter Arnold Clark have been busy fundraising and supporting their employees' efforts to raise money to combat meningitis. 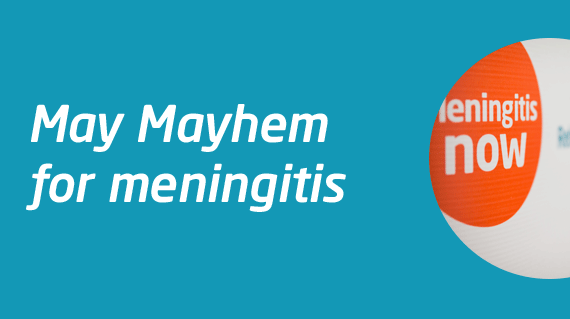 All aboard for more Mayhem! 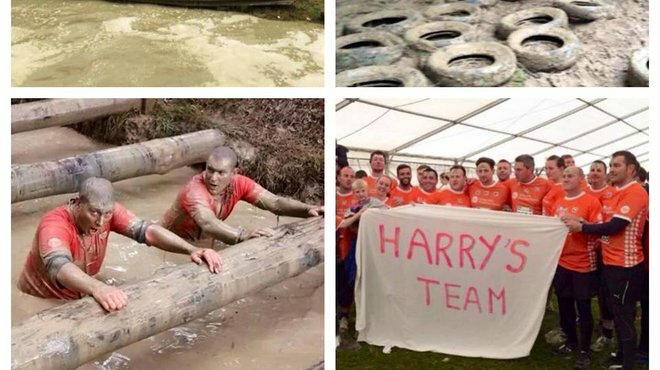 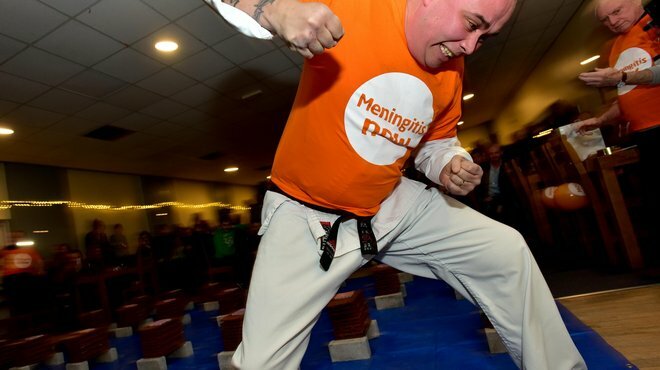 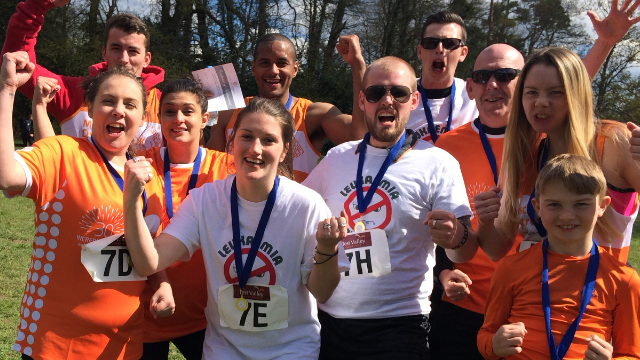 At the end of March, a team of brave Meningitis Now supporters took on the Gung Ho challenge at Wynard Hall, Durham. 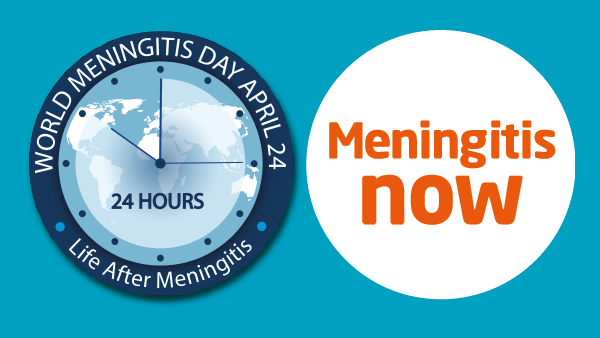 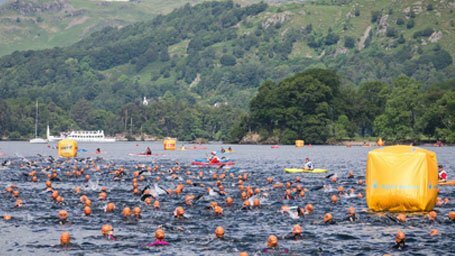 Help raise vital funds for Meningitis Now. 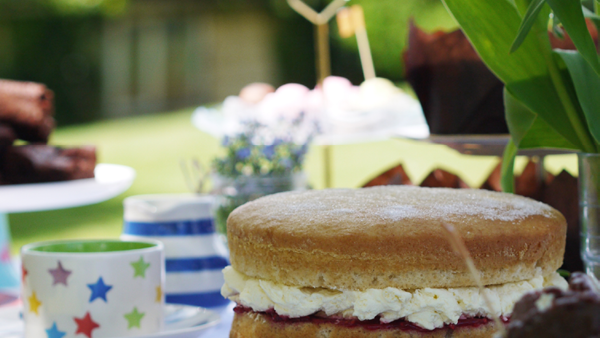 Your Royal-themed Time4Tea can be held anytime, not just on Saturday 19 May, the date of the Royal Wedding. 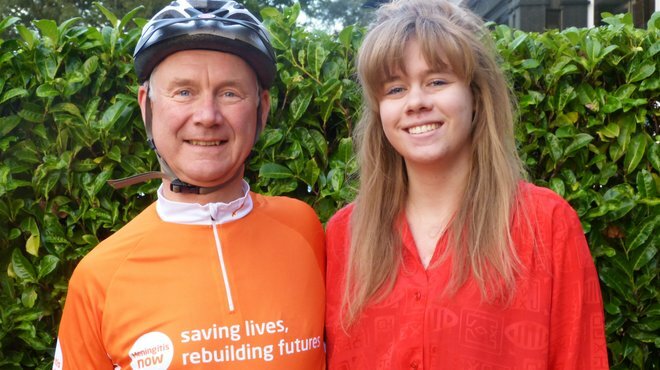 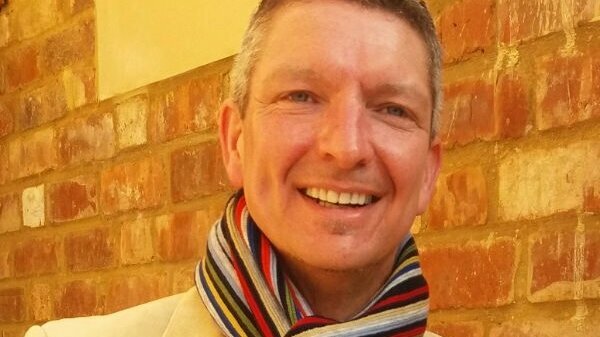 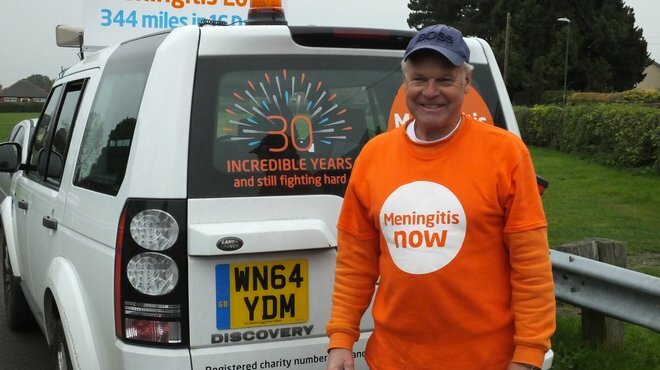 A charity bike ride is being held to commemorate the death of David, who passed away following meningitis aged 47. 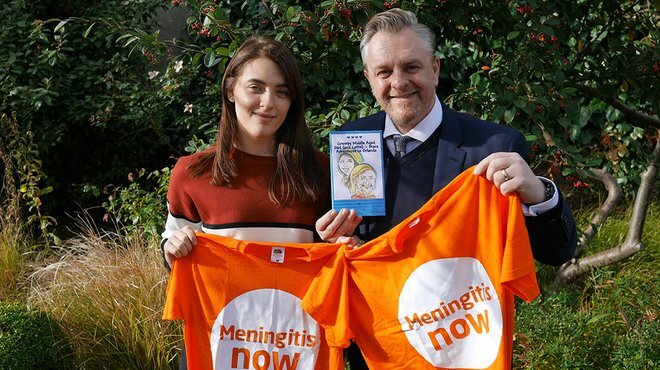 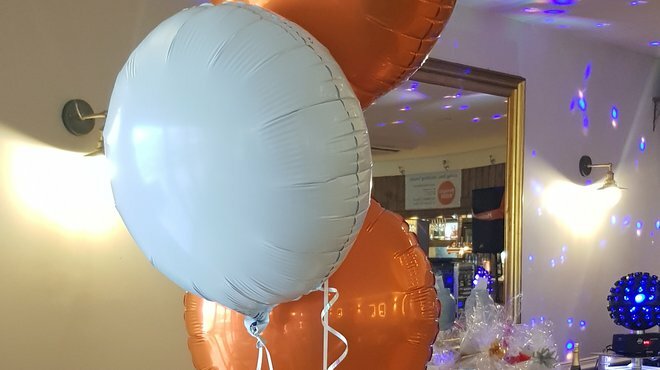 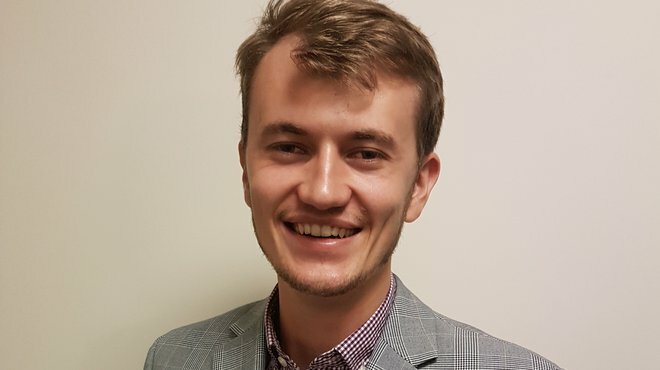 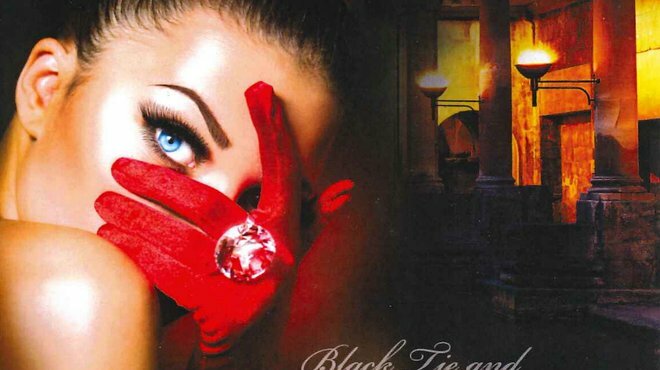 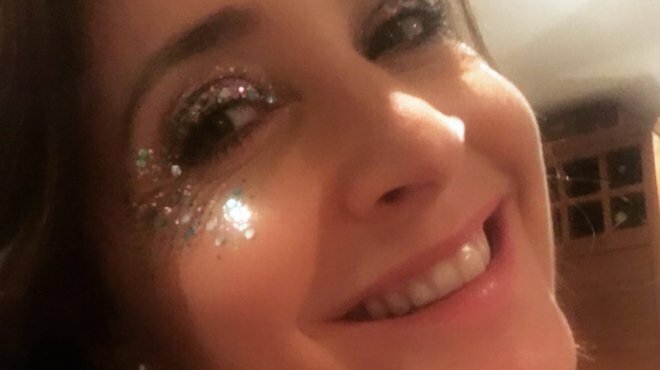 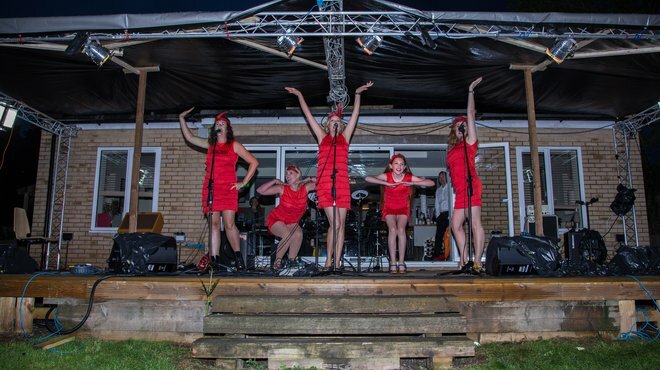 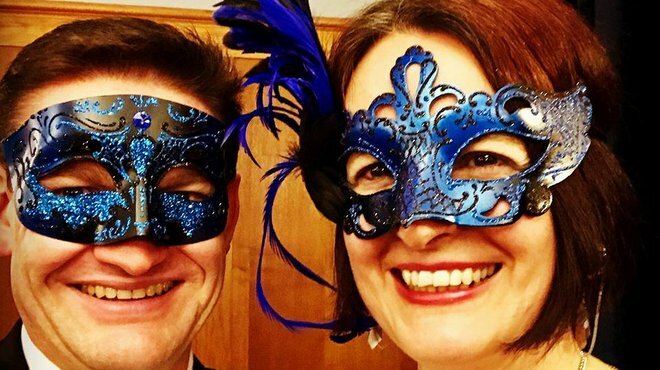 Long-time supporter James is organising a glamorous ball to help fight back against two devastating diseases, meningitis and cancer, find out how to book tickets. 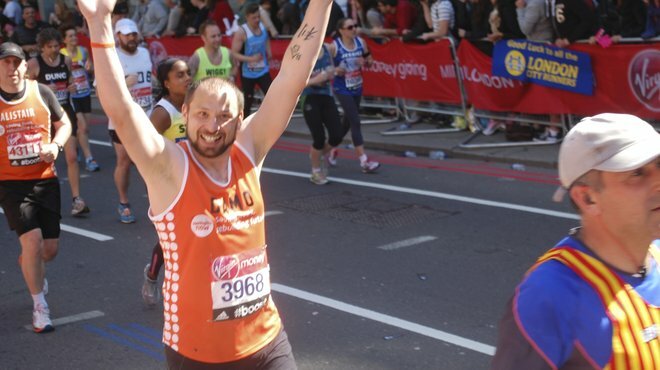 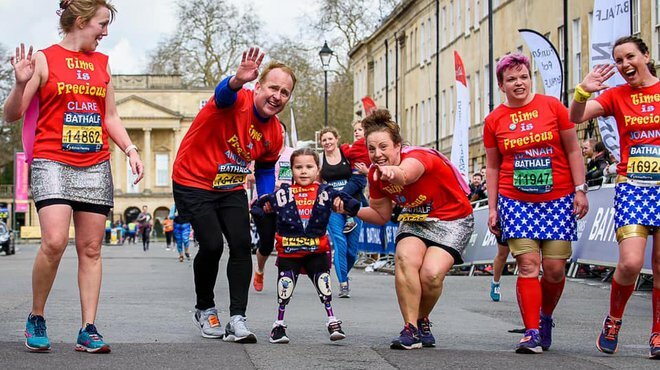 Wishing our London Marathon runners and supporters the very best of luck this Sunday 22 April - we can't wait to cheer you on! 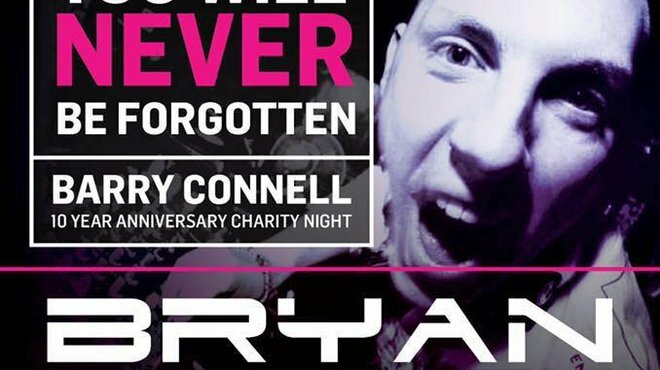 A tribute night is being held in memory of Barry Connell, a top DJ from Glasgow, who died from meningitis nearly ten years ago. 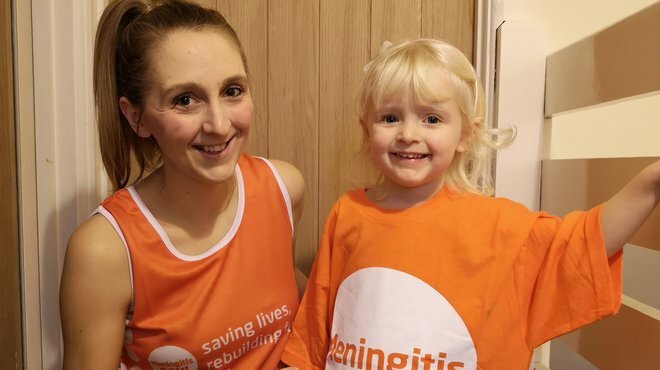 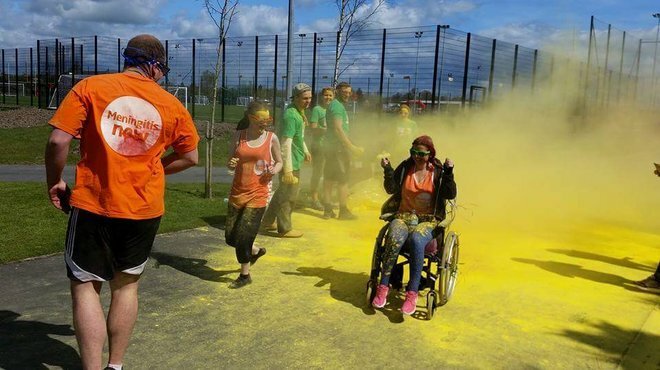 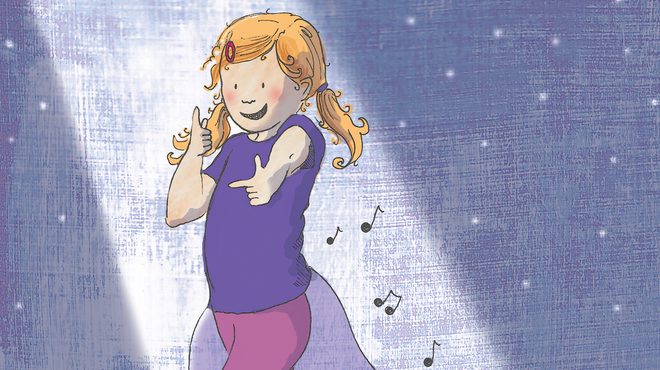 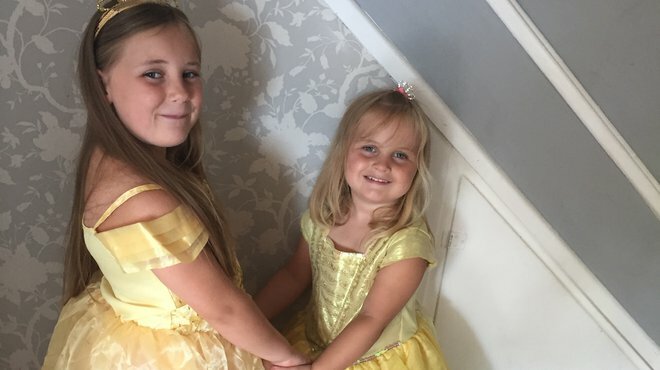 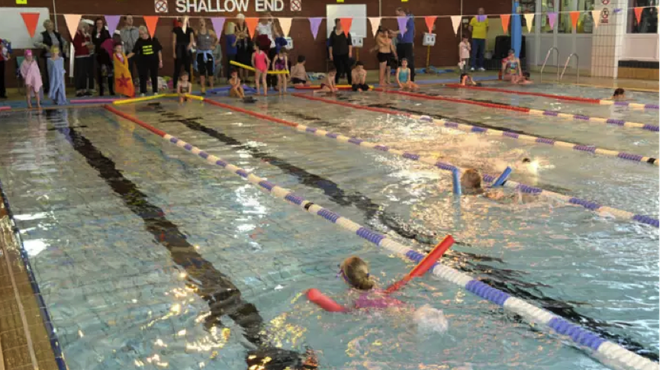 Tilly will be taking on the ‘Gung Ho’ 5K inflatable run at Wynard Hall, Durham on 31 March, raising money for Meningitis Now. 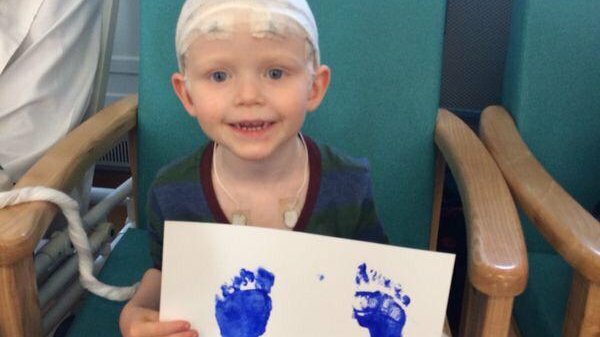 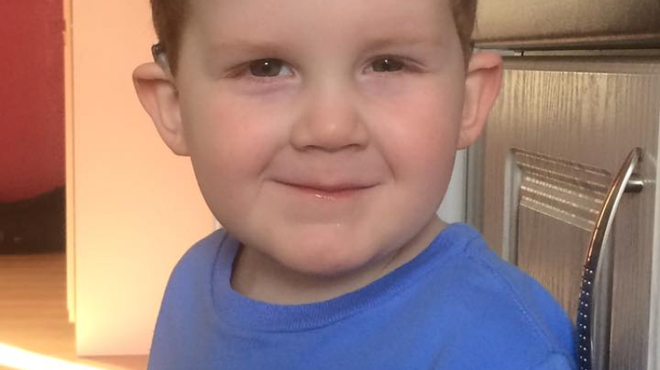 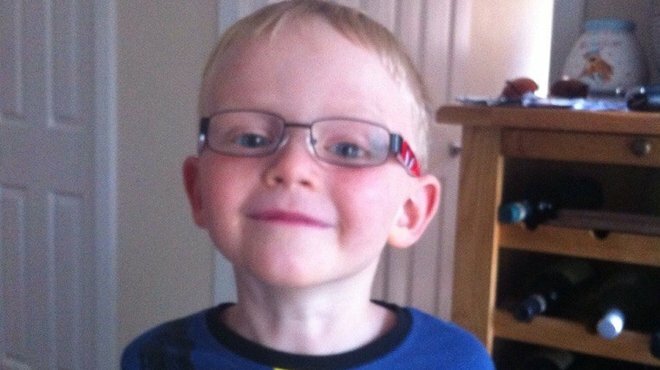 Meet Louie, now aged 7, who is one of the young people helping us relaunch our Toddle Waddle this year. 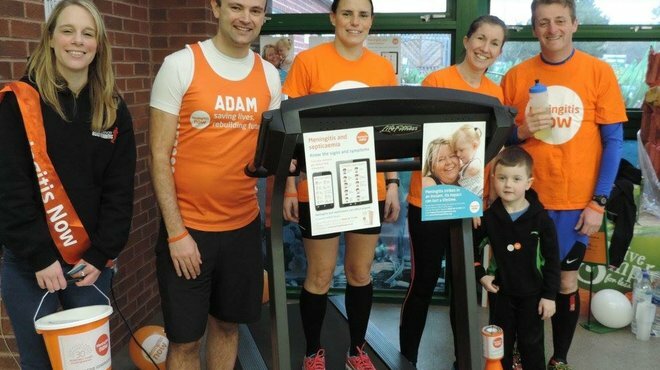 How far do you think a team of 48 can run on a treadmill over the course of 12 hours? 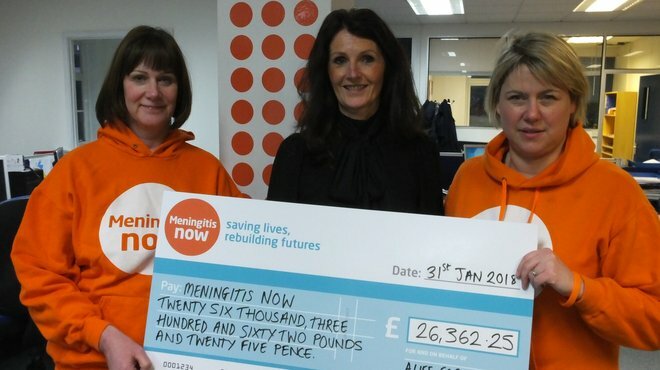 Michelle Bresnahan, Founder of ‘A Life for a Cure’, visited Meningitis Now Head Office to present the fundraising team with a cheque for £26,362.25! 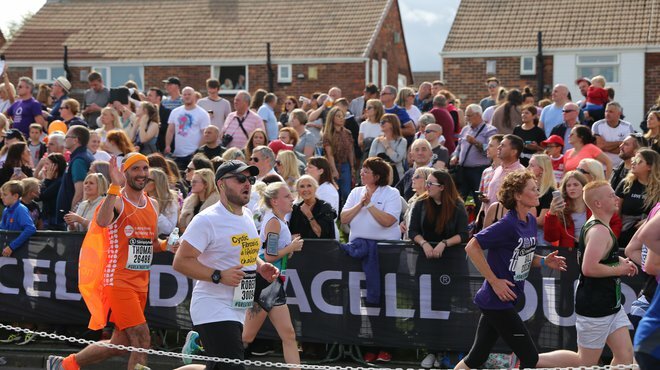 Have you considered lacing up for the world’s largest half-marathon – the Great North Run – to help us beat this deadly disease? 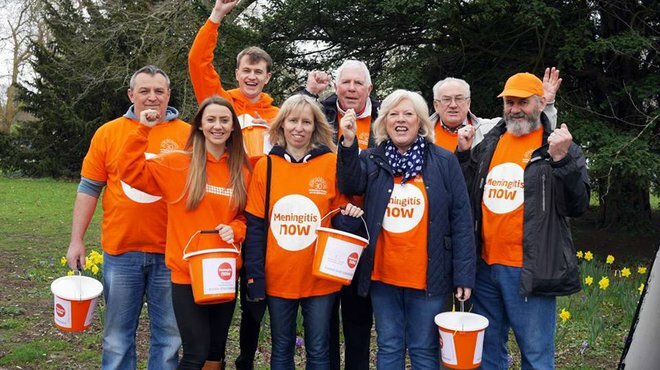 Meningitis Now one of 23 charities to receive funds raised by the annual 'Hoggin’ the Bridge' motorcycle ride. 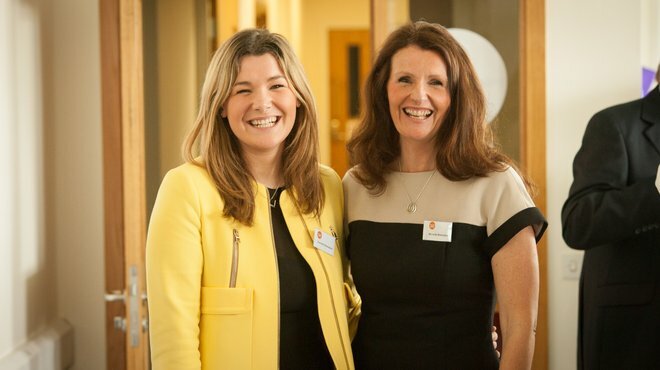 We’re thrilled that Caroline Gardner, Waitrose and Jutexpo have chosen to support us in this way. 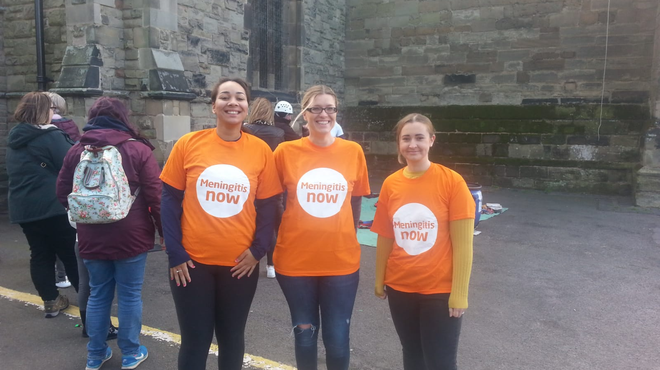 As the days grow colder, our Meningitis Now volunteers continue their valiant efforts; read the November update. 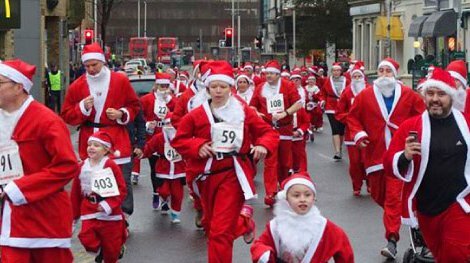 If you’re down in Kent next weekend, why not sign up for the Folkestone Santa Dash and run up some funds to help us fight meningitis? 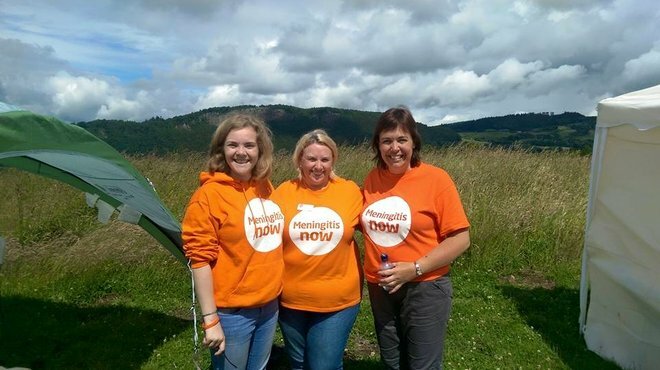 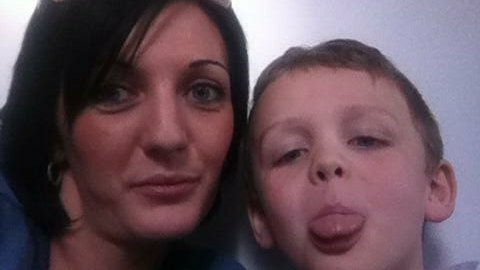 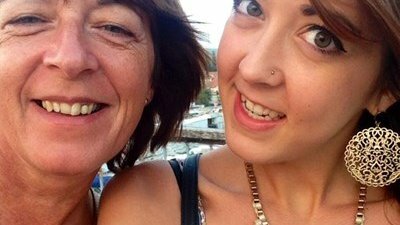 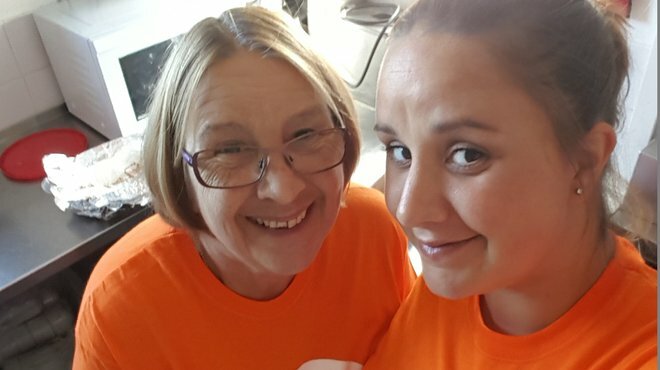 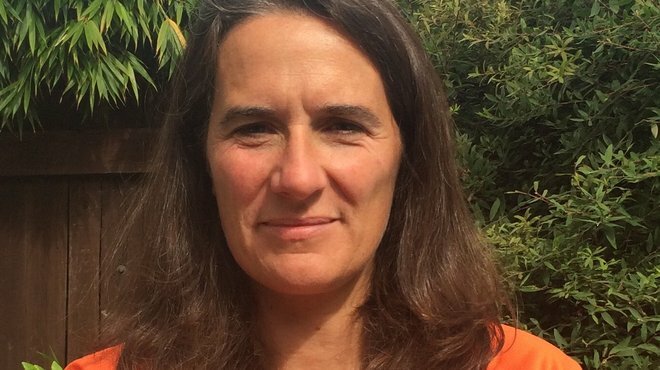 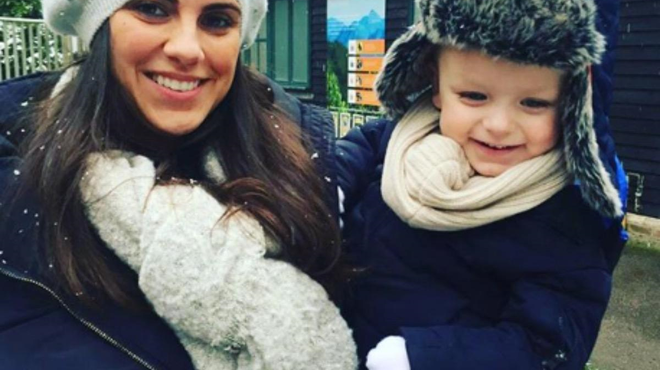 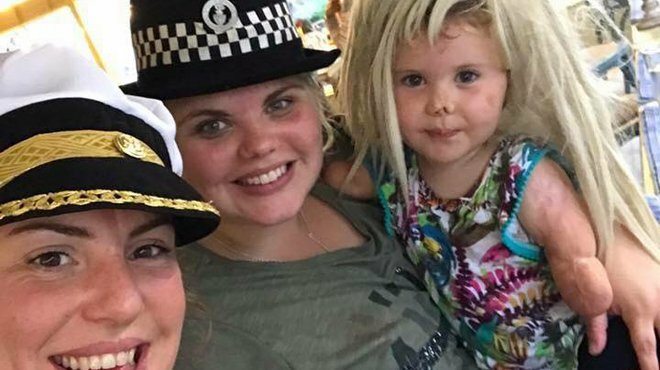 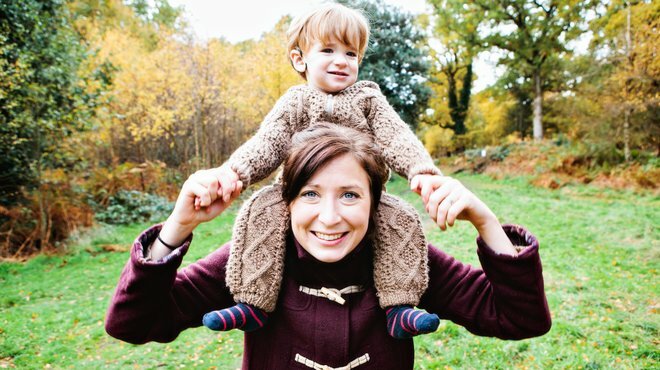 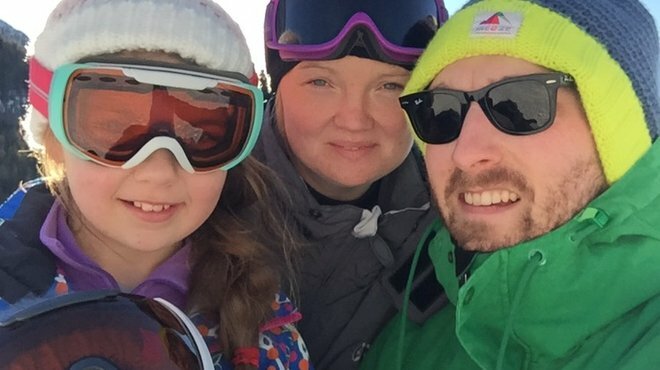 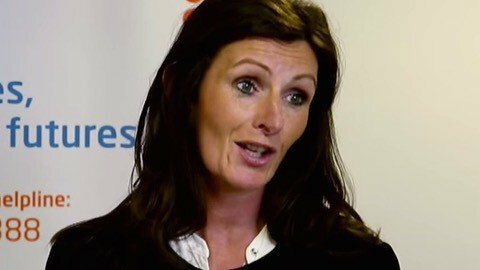 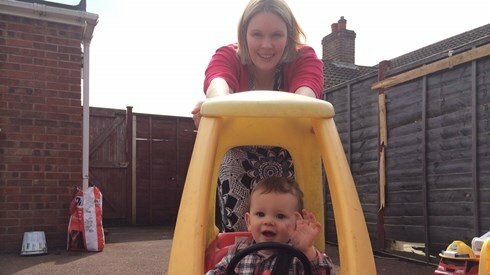 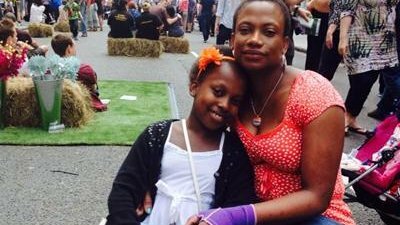 A Mum who helps raise awareness of meningitis has signed up to the Three Peaks Challenge next June. 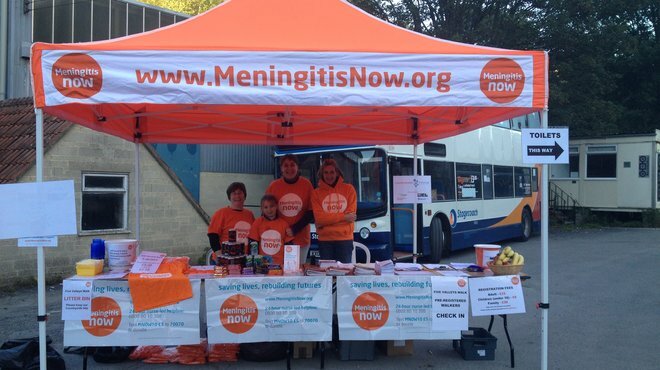 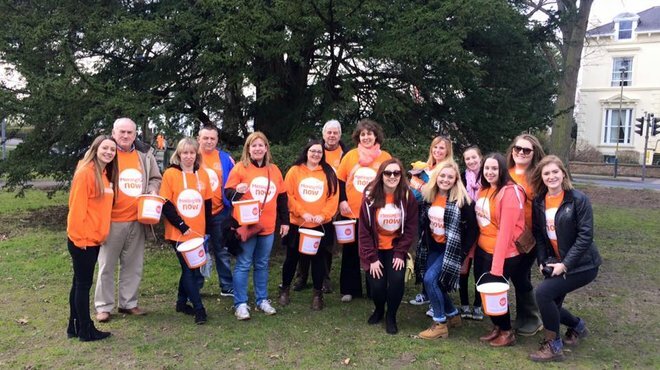 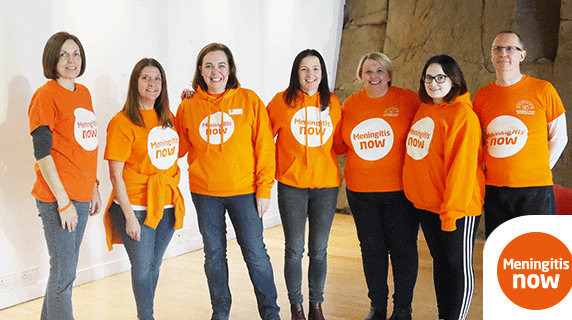 It has been a busy time for Meningitis Now volunteers, read the October update. 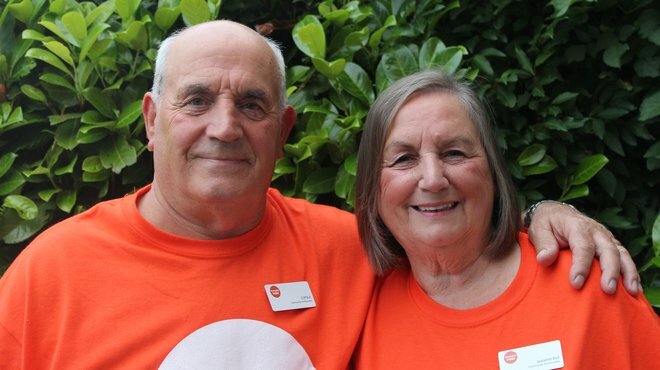 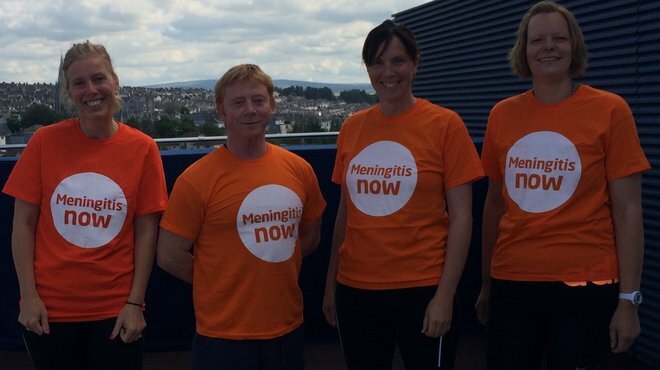 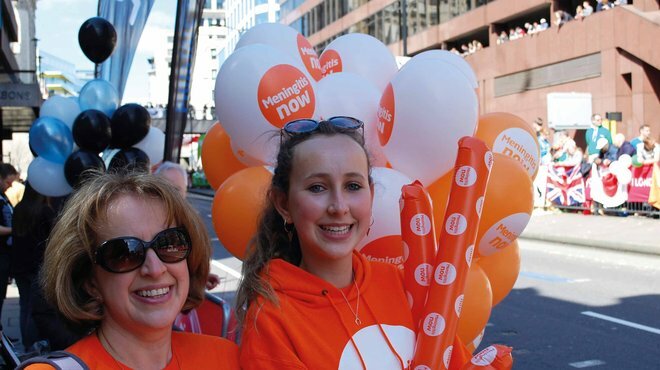 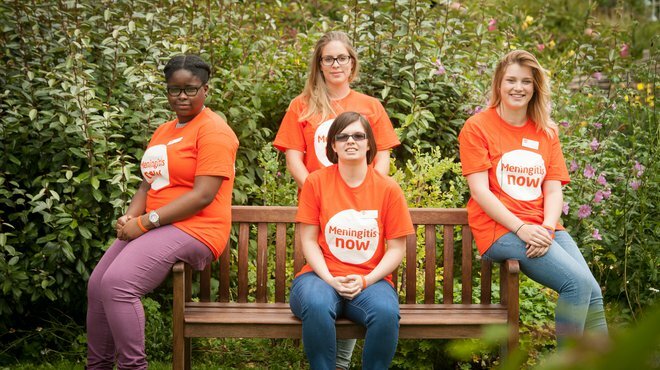 It has been a busy time for Meningitis Now volunteers, read the September update. 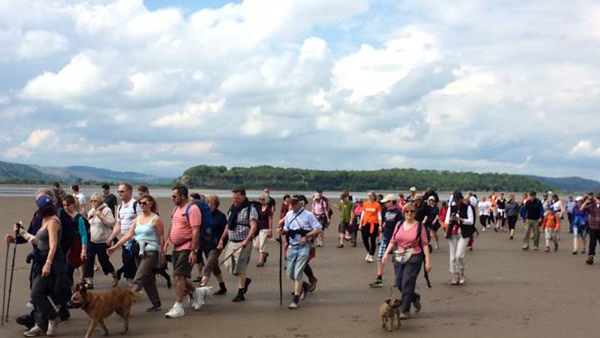 Annual walk as popular as ever! 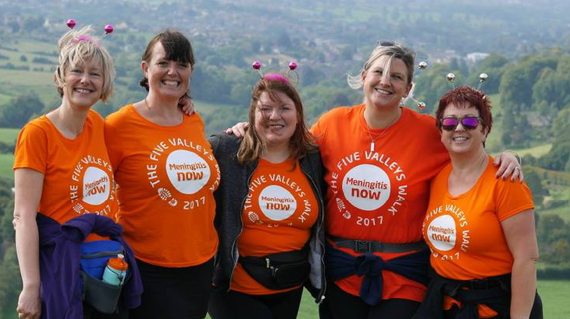 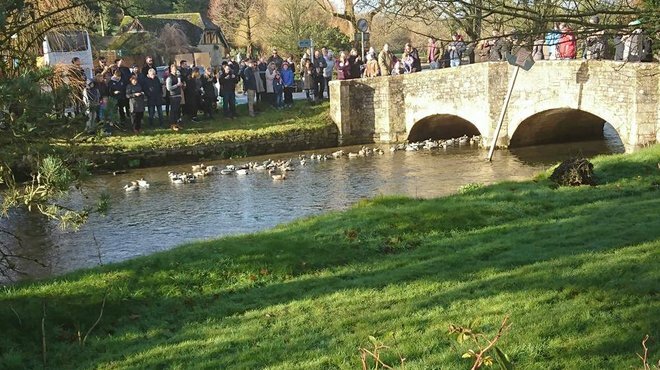 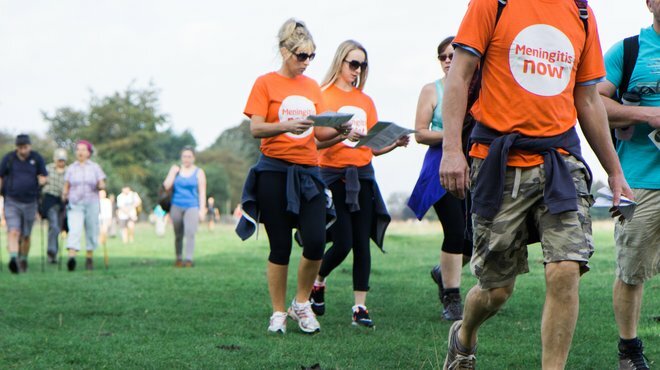 This September thousands of people once again took part in the much-loved Five Valleys Walk through the beautiful Cotswold countryside. 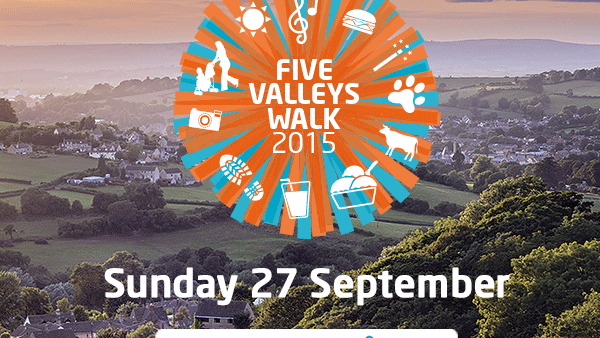 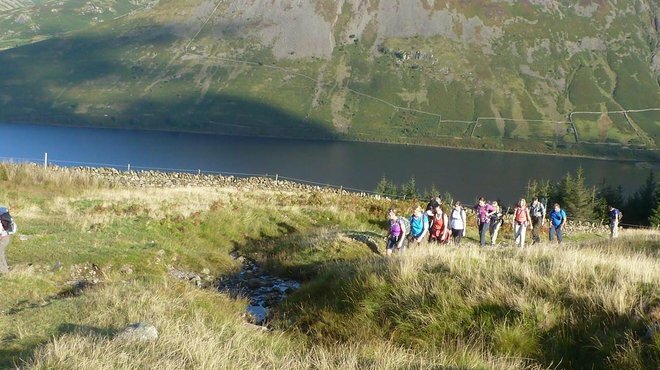 This year is the 30th anniversary of the popular Five Valleys Walk! 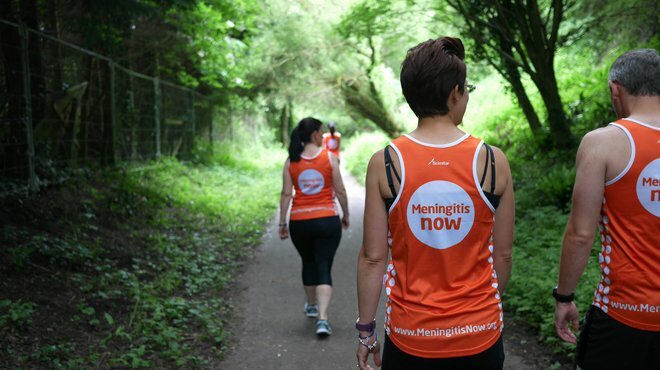 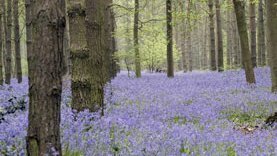 Join us for a great day out in the beautiful Cotswold countryside and raise money for Meningitis Now. 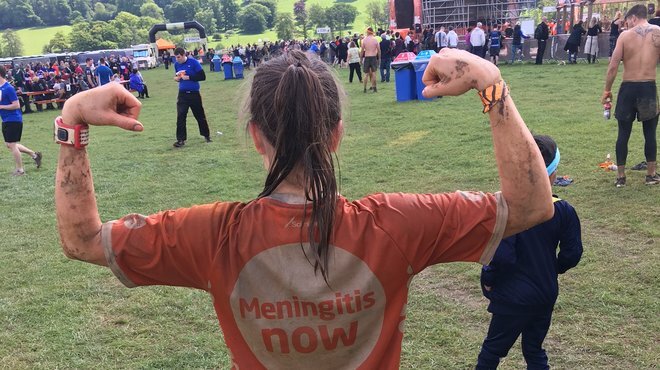 Tough Alex takes on Tough Mudder! 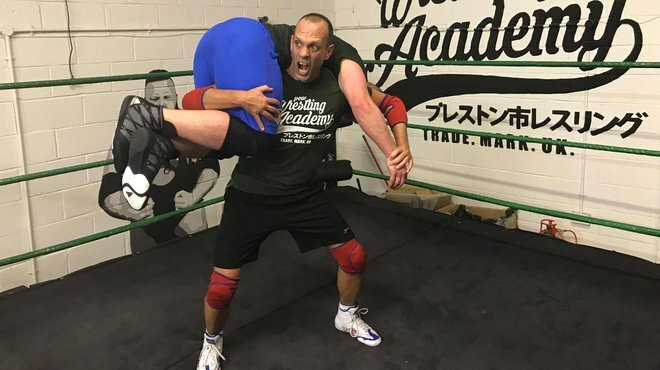 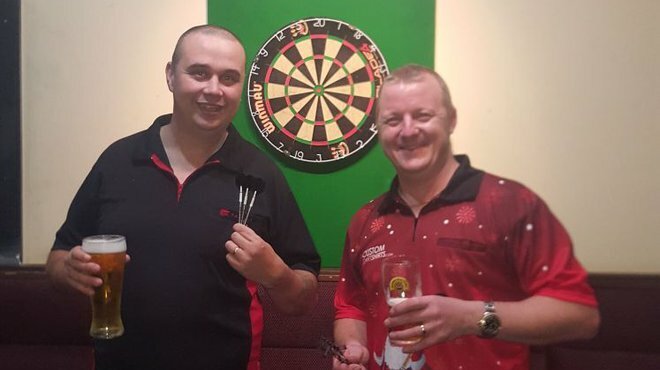 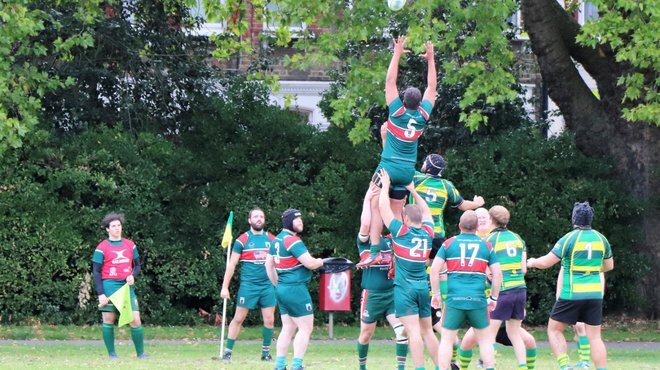 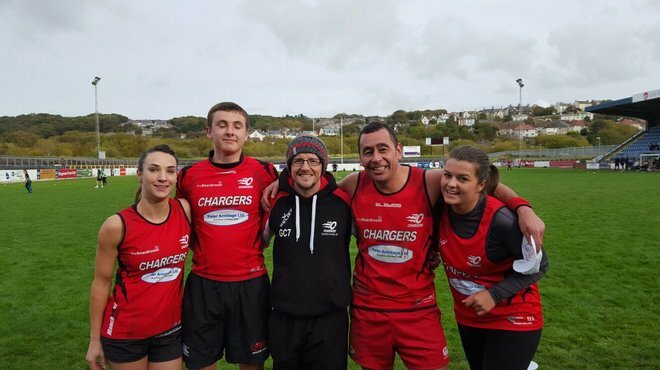 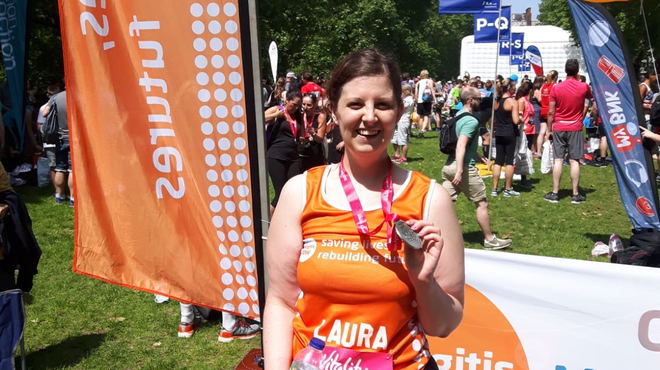 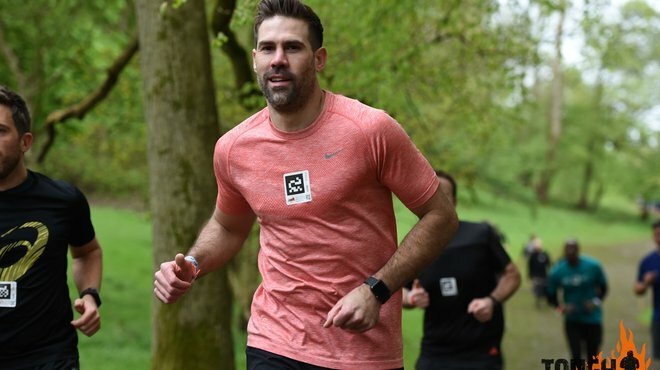 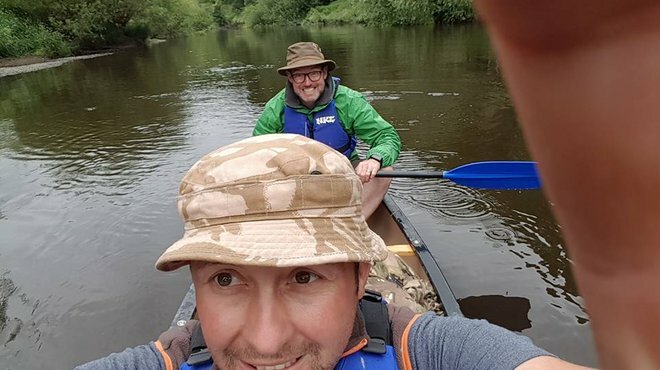 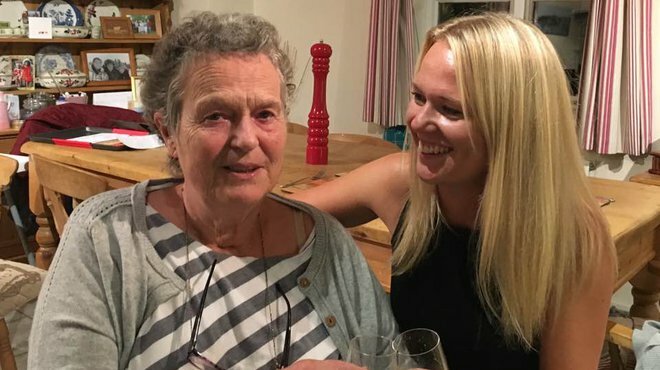 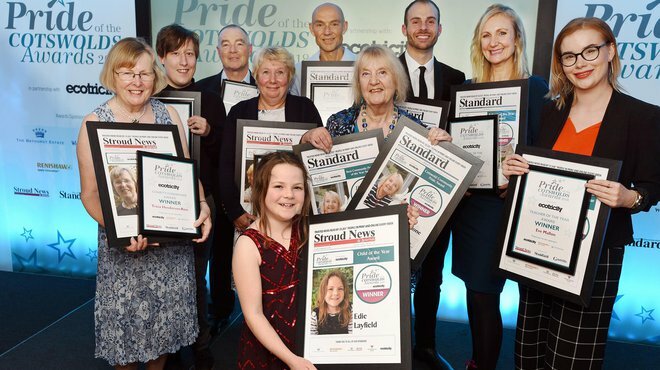 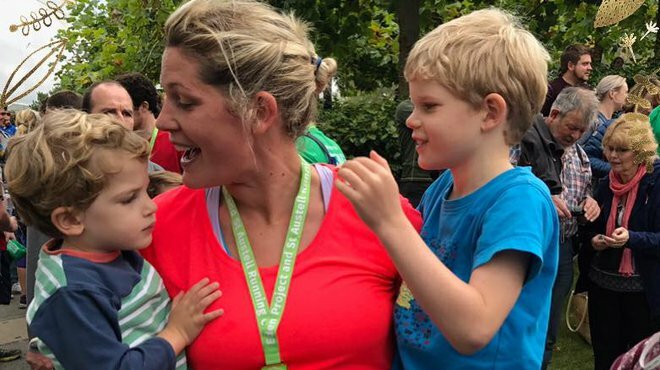 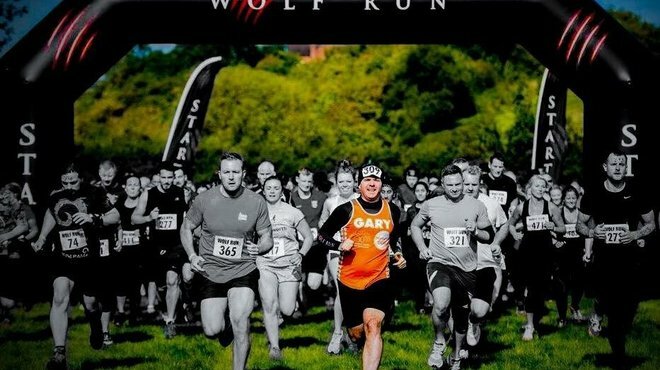 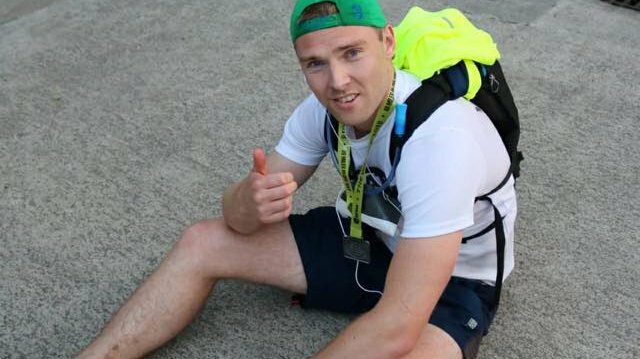 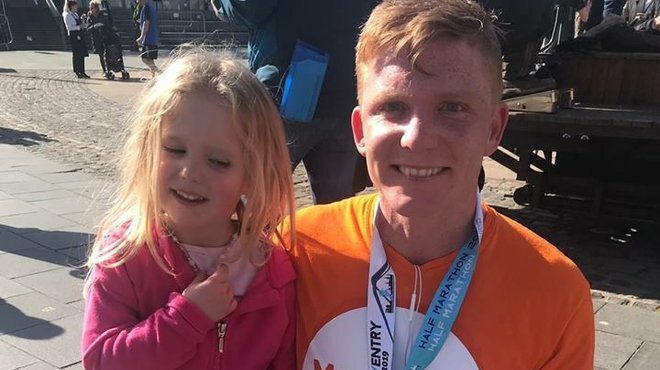 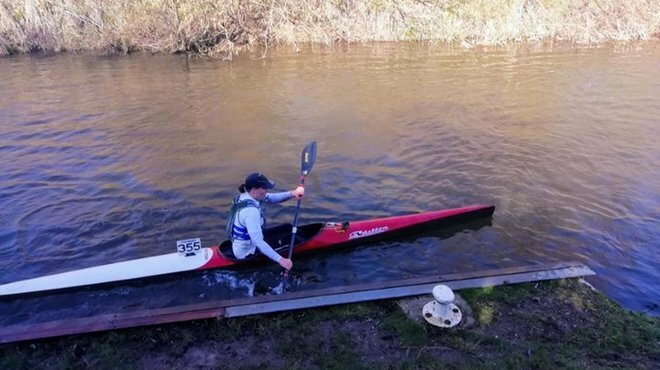 After contracting meningitis as a baby and surviving, Alex Underwood is now helping others to fight the disease after taking on one tough challenge! 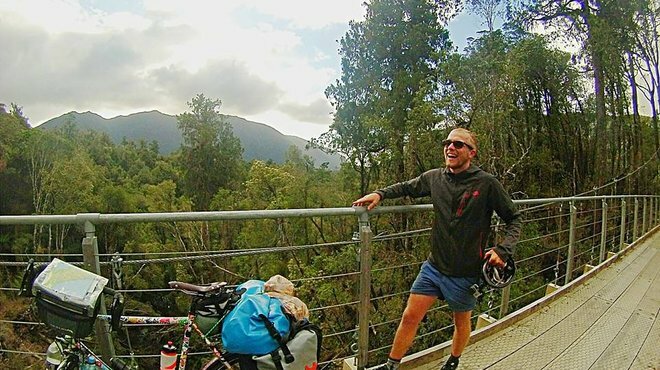 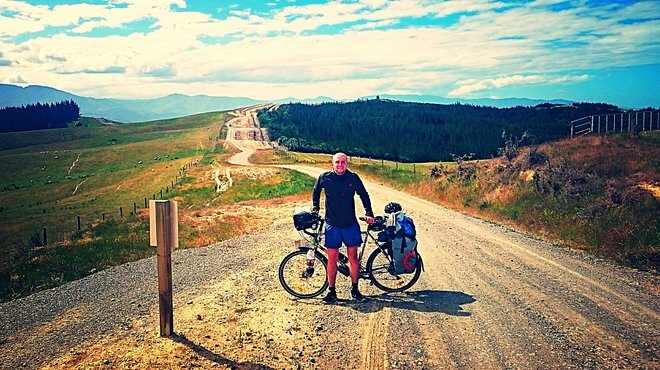 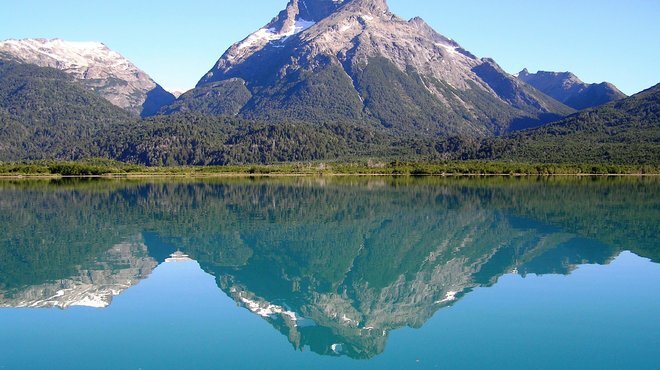 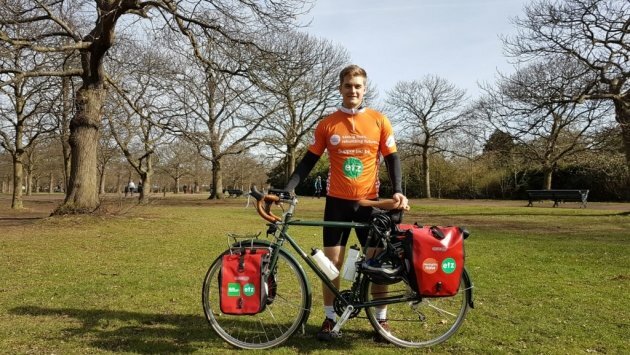 Law graduate Charles Hannaford is currently cycling around the world to raise money for Meningitis Now! 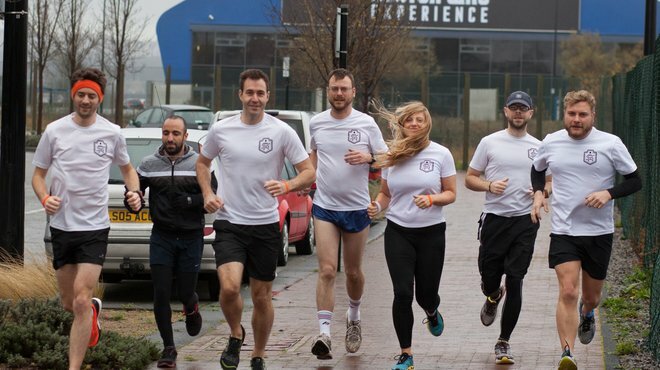 Run, raise money and get a free pint! 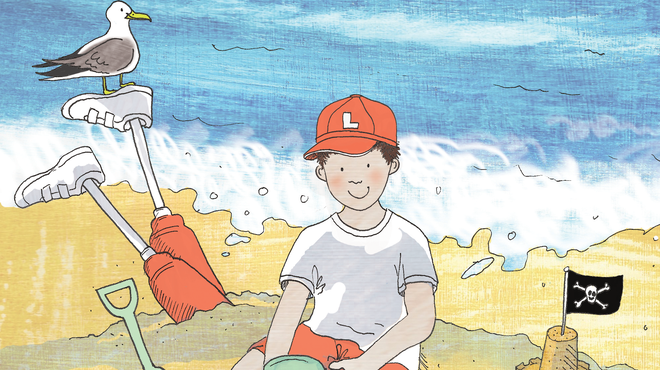 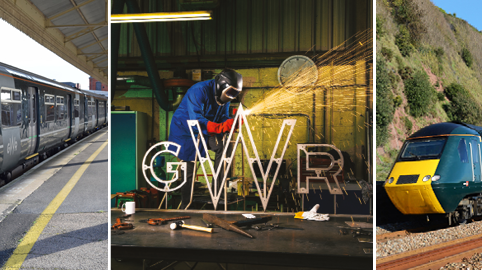 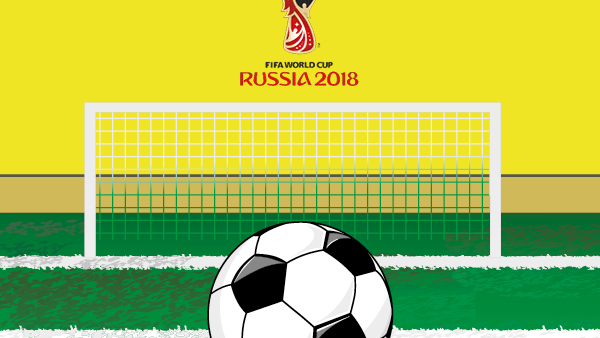 At a loose end this August bank holiday? 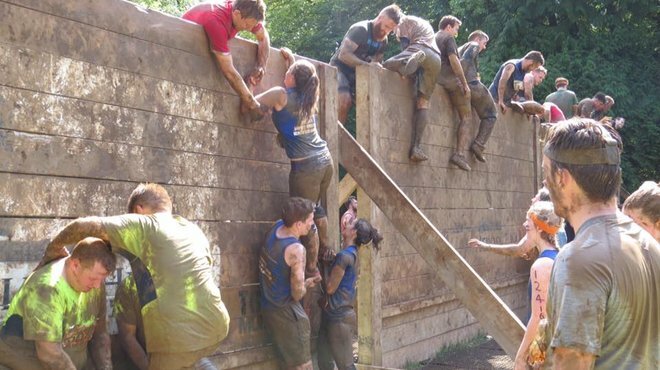 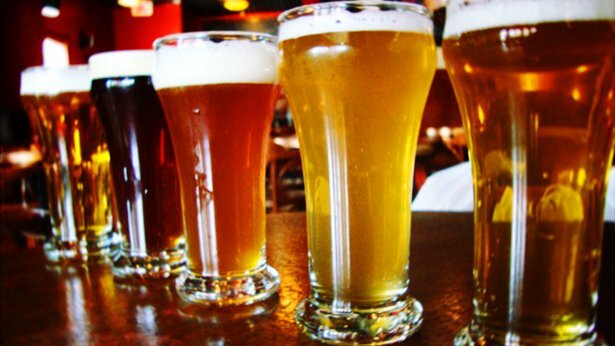 Why not get together with your friends and take part in the first ever 'Cider Circuit'! 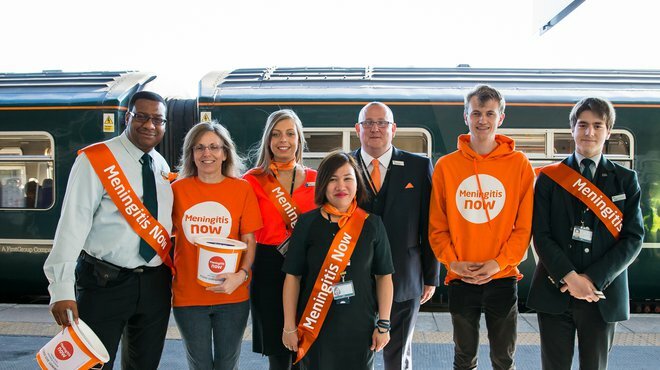 All aboard the Tangerine Train for May Mayhem! 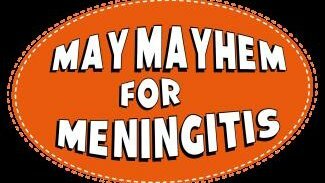 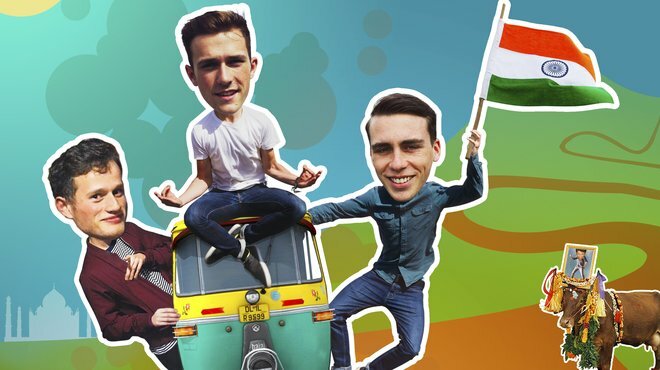 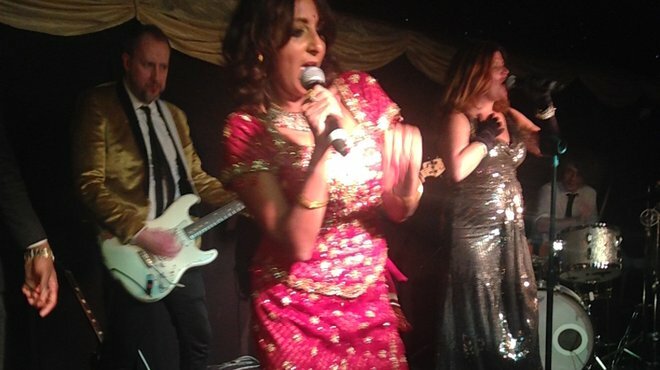 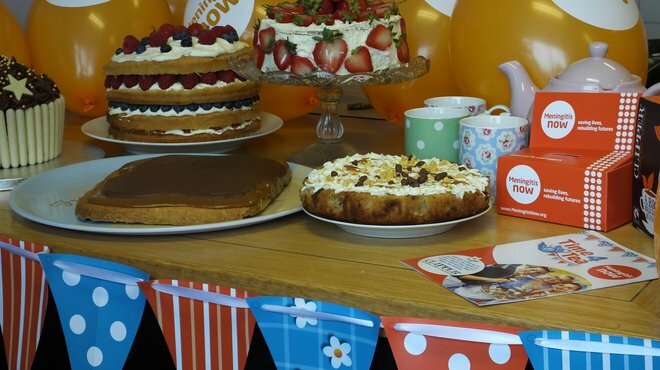 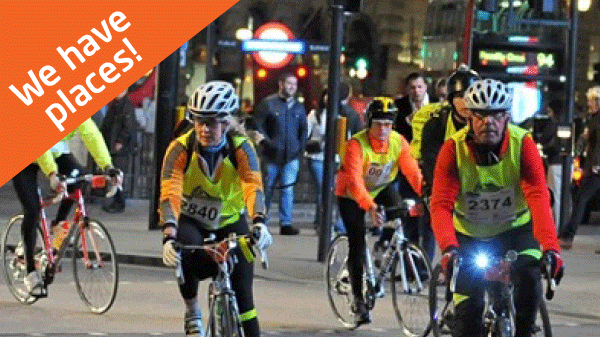 Get on board the Tangerine Train for May Mayhem, and raise money for Meningitis Now! 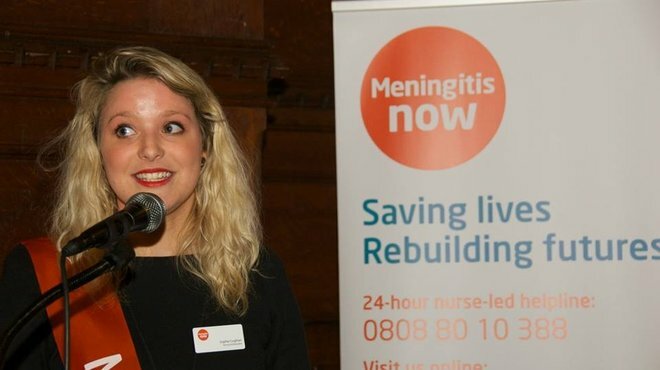 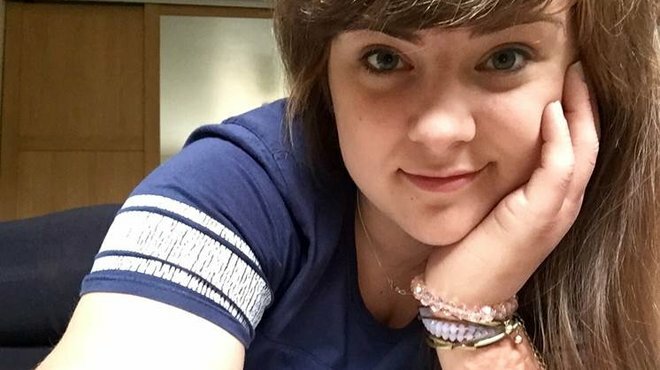 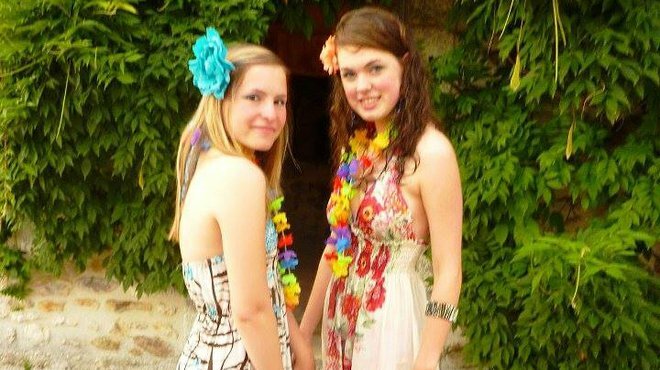 It's been a year since 16 year old Izzy Gentry died from meningitis. 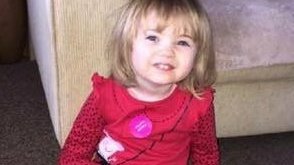 Here, her dad Paul, bravely tells the story of what happened to his beautiful daughter, and describes the pain that will never go away. 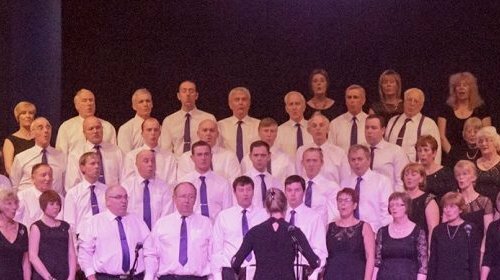 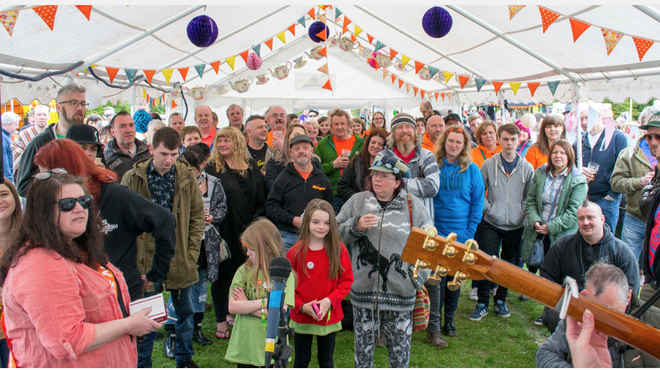 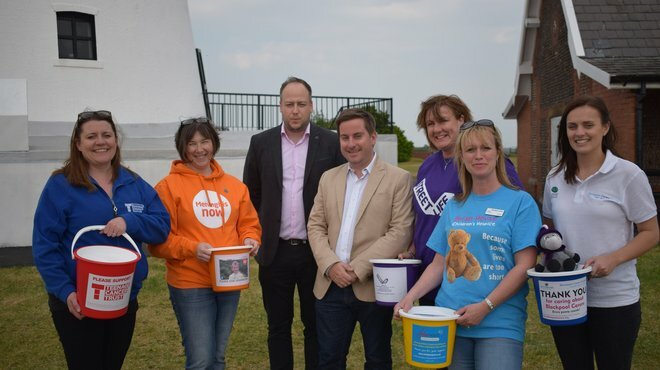 The Edward Dee Forever Fund has been selected as one of five charity partners for this year's Lytham Festival. 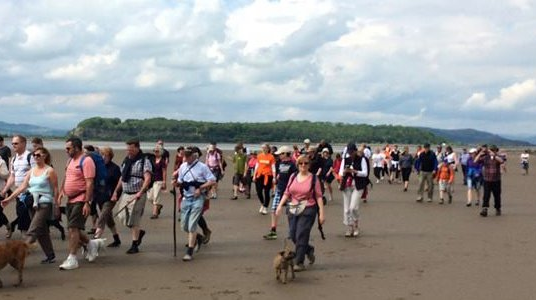 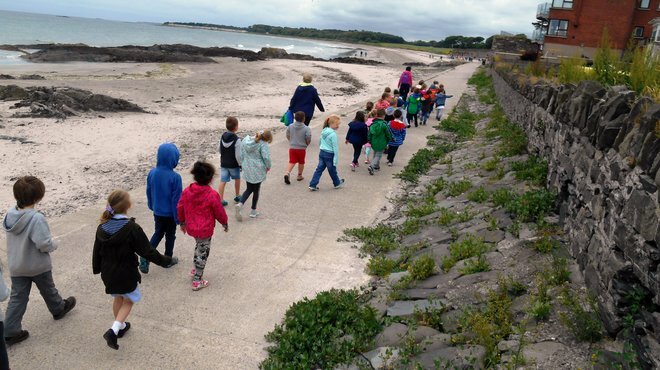 Sunday 18 June is father's day, so why not get together with the whole family and enjoy a walk along the golden sands of Morecambe Bay! 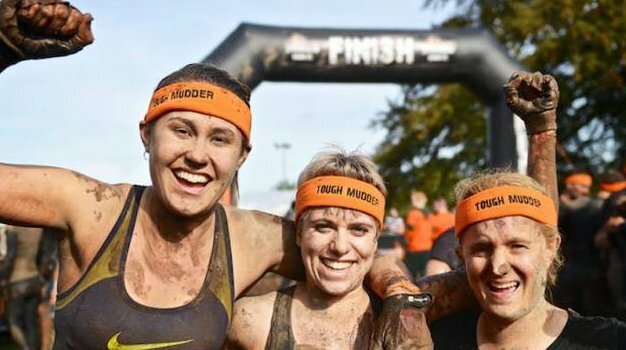 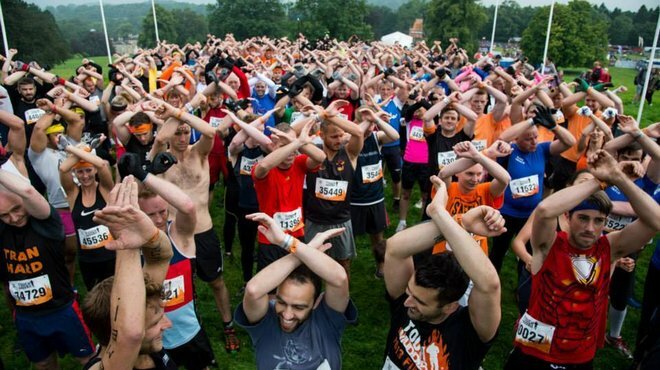 So you’re thinking of signing up for Tough Mudder? 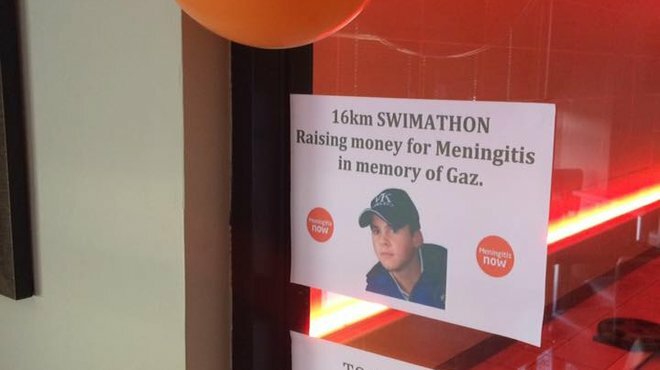 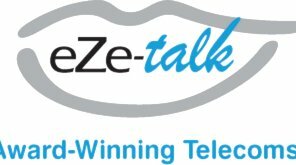 Local business raises money for Meningitis Now! 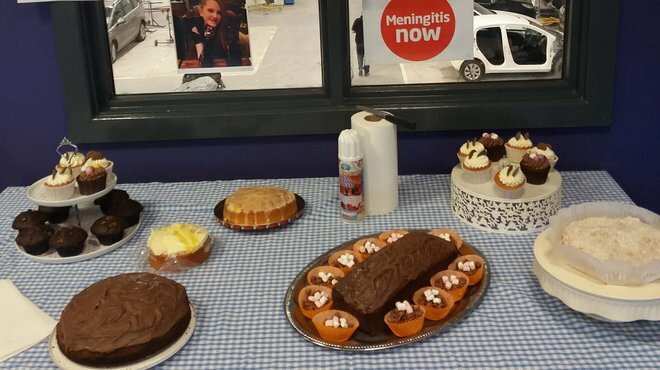 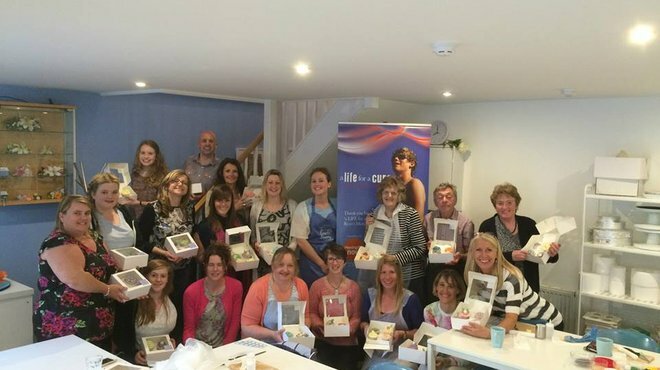 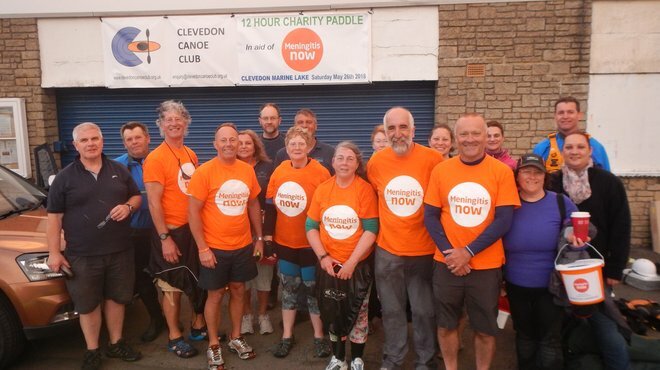 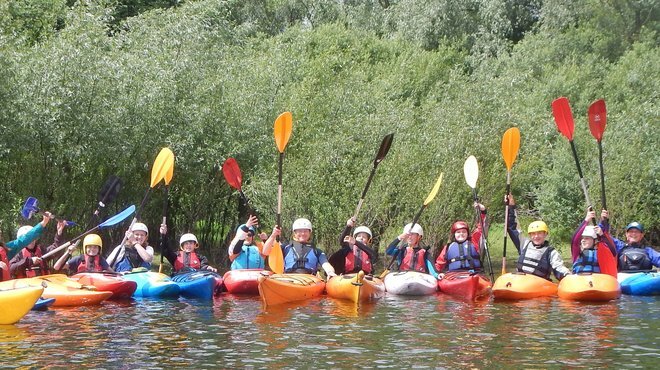 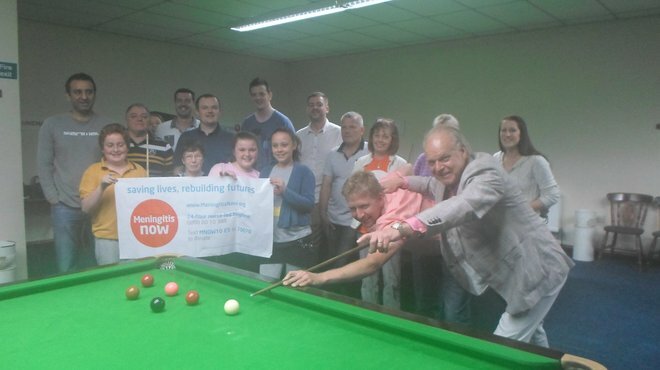 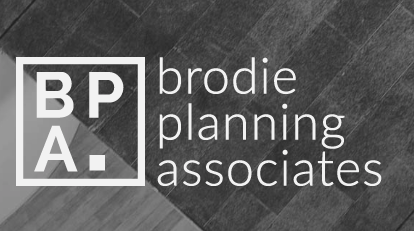 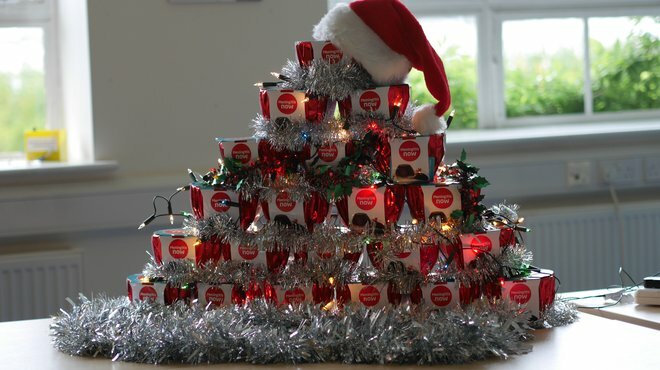 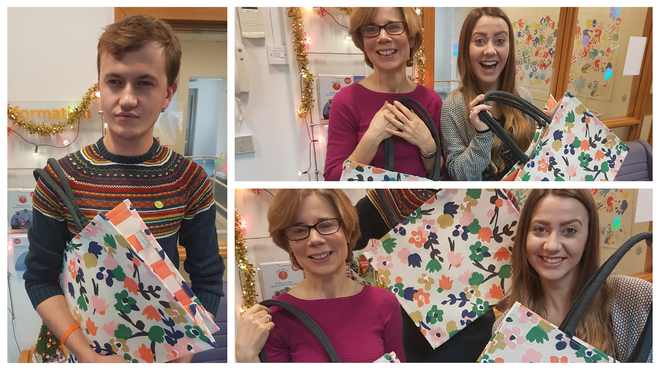 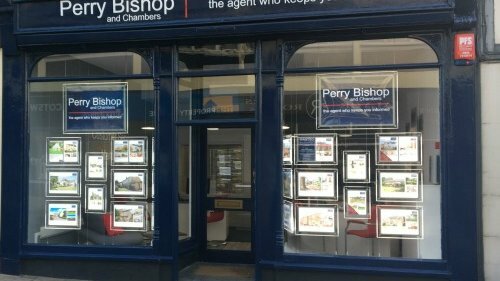 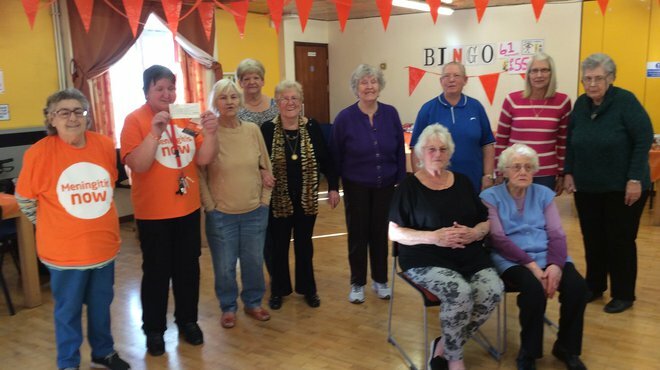 The Stroud branch of RPC-BPI has raised hundreds of pounds for Meningitis Now! 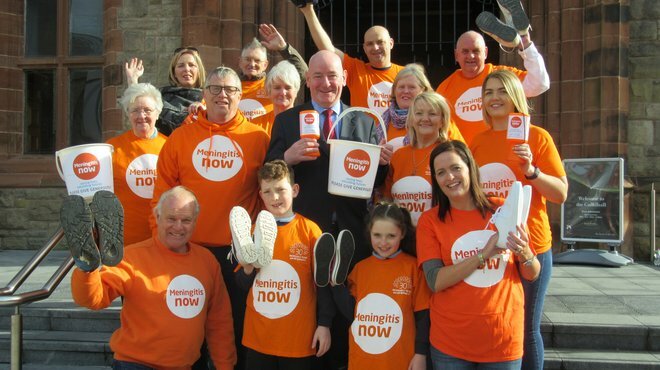 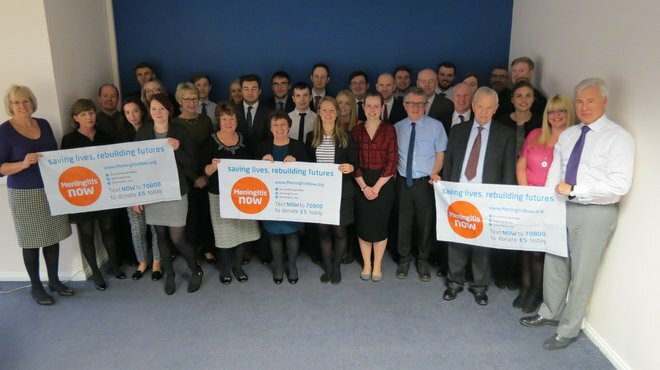 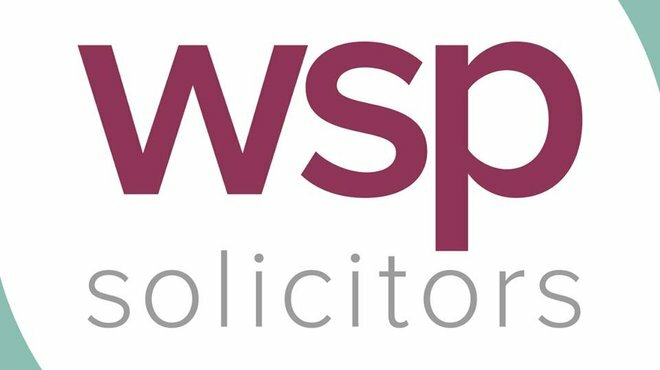 Local solicitors firm WSP choose Meningitis Now as their partner charity! 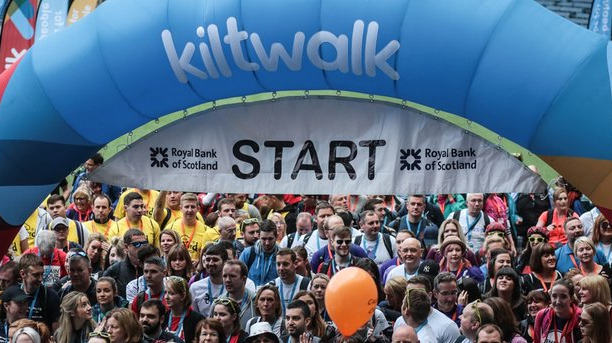 Scotland is gearing up once again to host the annual Kiltwalk, where walkers are encouraged to wear their kilts and enjoy a trek through Glasgow, Aberdeen, Dundee or Edinburgh. 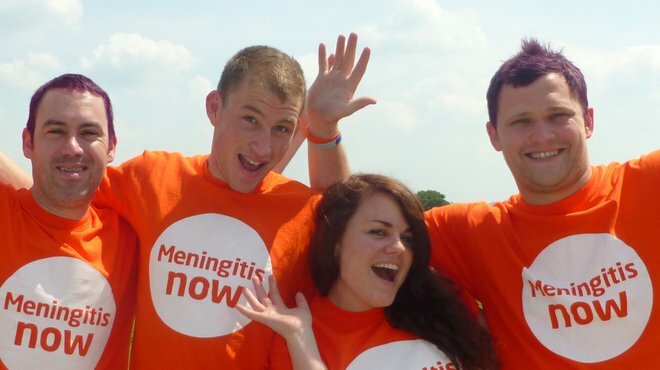 Jay contracted meningitis in 2004 when he was 16-months-old. 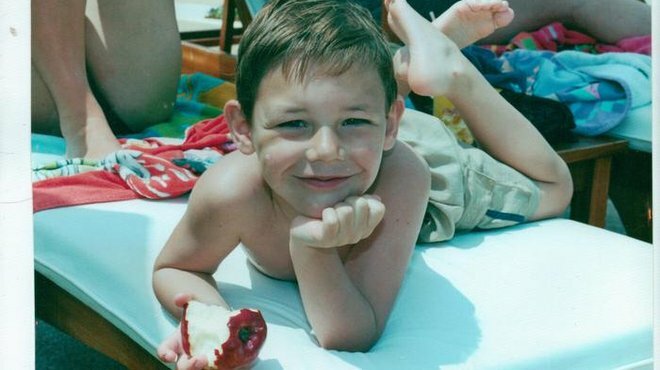 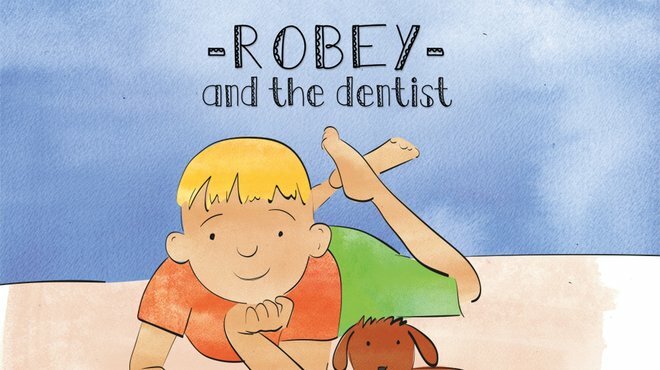 Now, 13 years later he is learning to live with his disabilities caused by the disease. 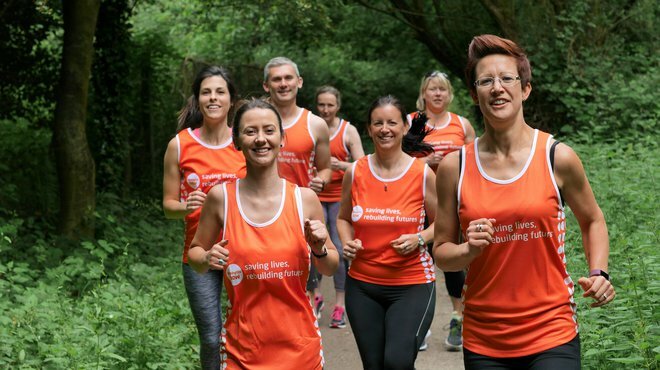 Take part in the Strawberry Lion 50:50 challenge and enjoy a stroll through the heart of North Somerset whilst raising money for charity! 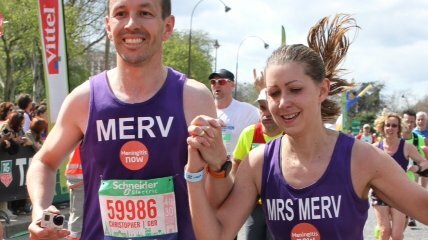 Does the thought of a marathon fill you with dread? 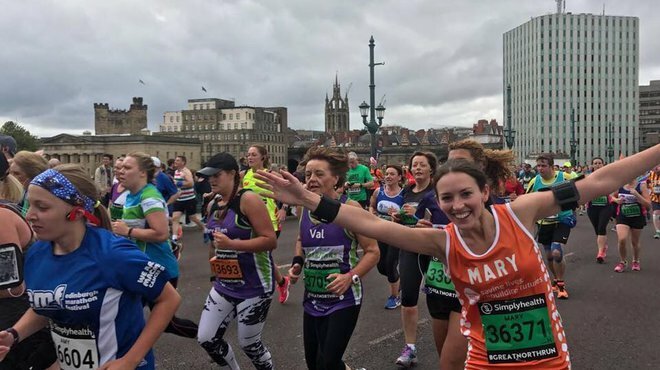 If so, why not take part in the No Way Marathon from the comfort of your own sofa! 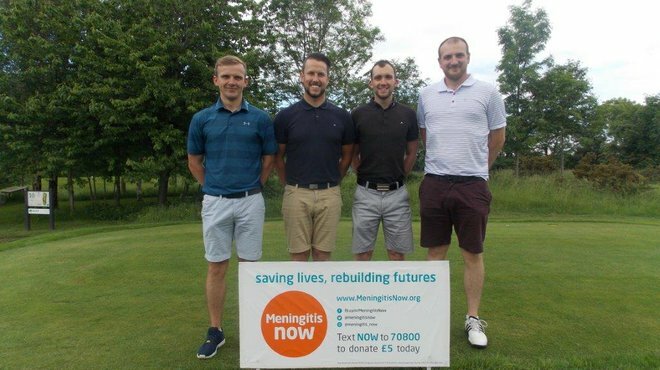 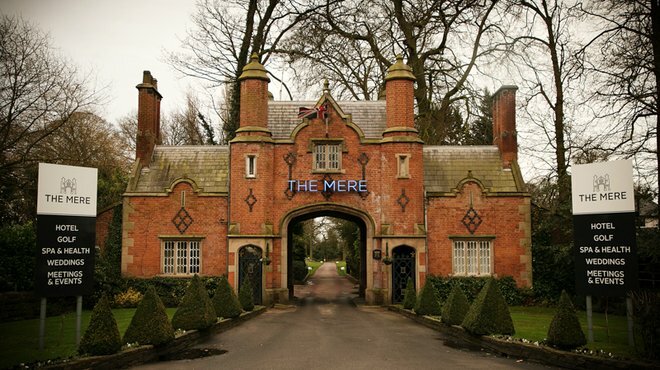 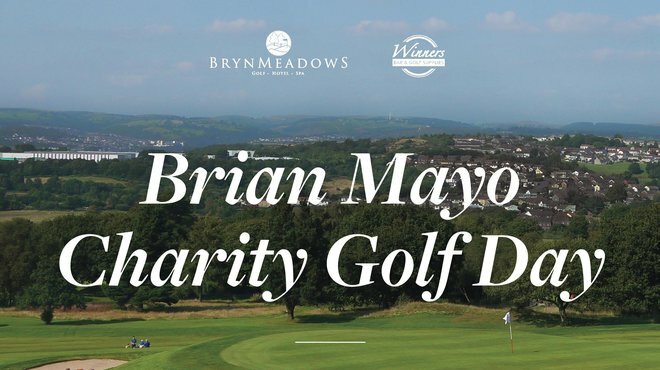 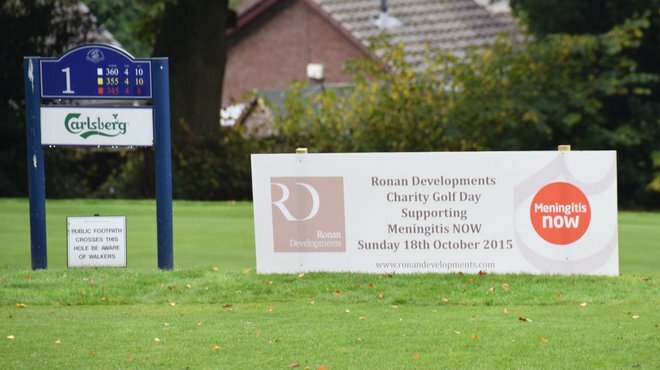 Take part in a charity golf day to help in the fight against meningitis - or just enjoy relaxing in the spa! 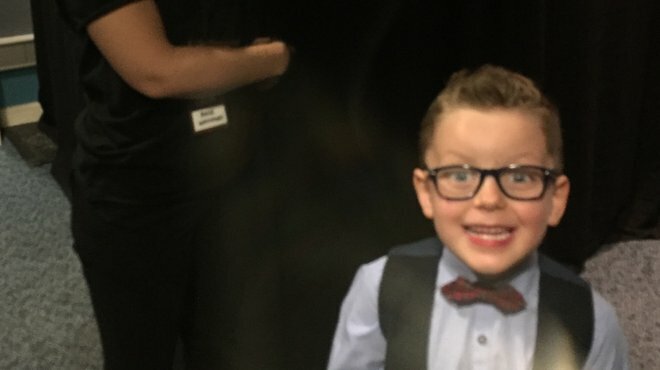 After beating meningitis twice, Mason is enjoying a taste of the showbiz lifestyle, appearing on new ITV show 'Little Big Shots'. 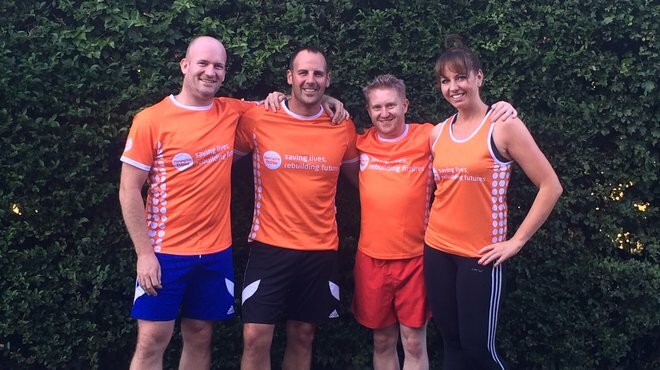 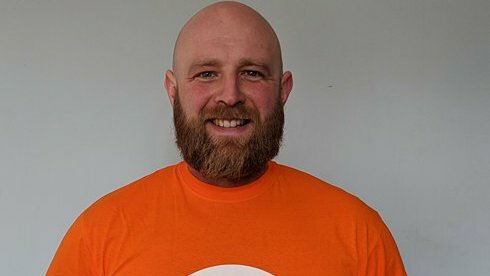 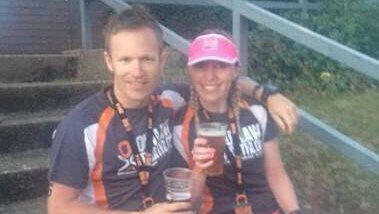 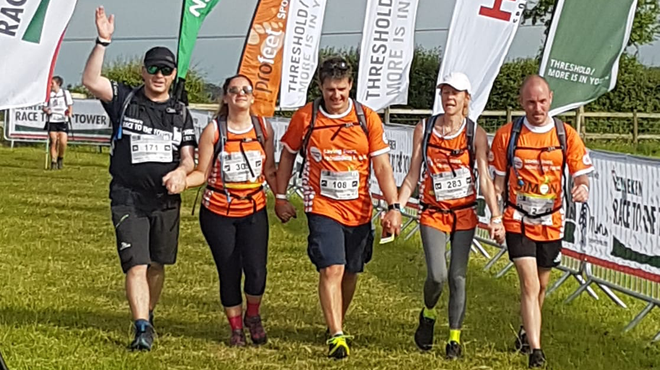 Martin Roby, from Deal in Kent took on the London South West Tough Mudder in September with partner Kirsty and friends Chris and Vince to raise vital funds for Meningitis Now. 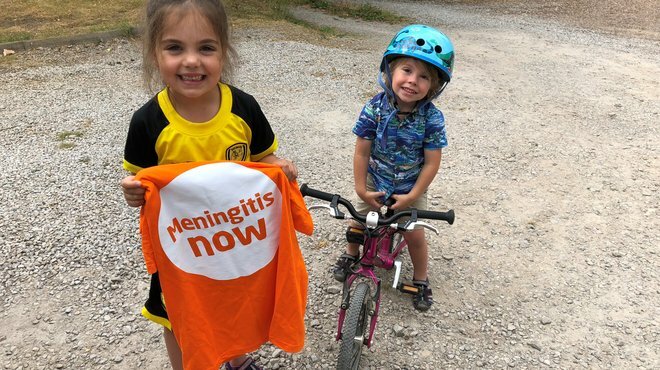 Two young supporters held an 'energy station' at their home for weary Five Valley's walkers and raised vital funds for Meningitis Now. 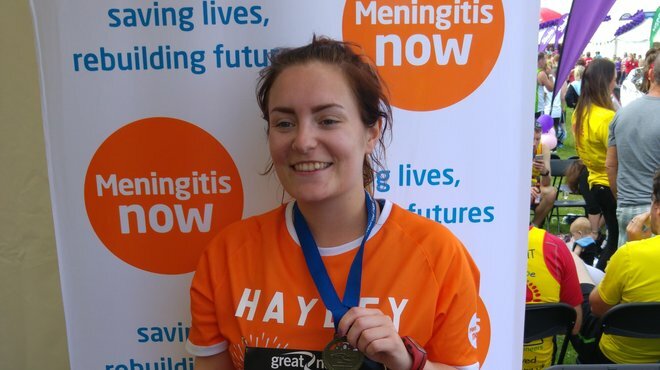 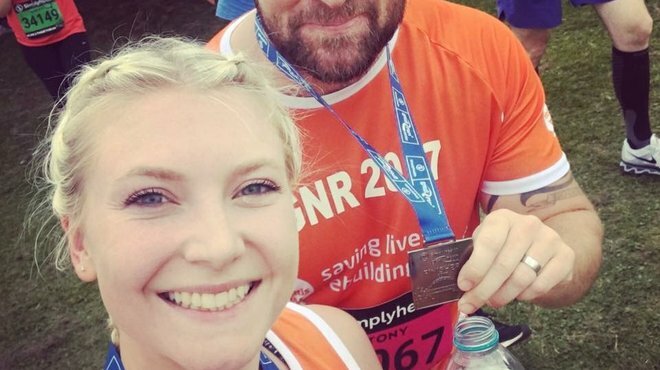 Hayley from Sunderland beat viral meningitis in 2015, and took part in the Great North Run to help other people affected by the disease. 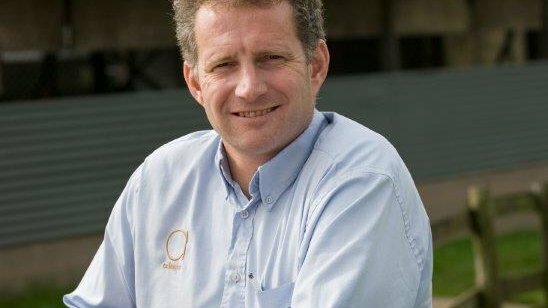 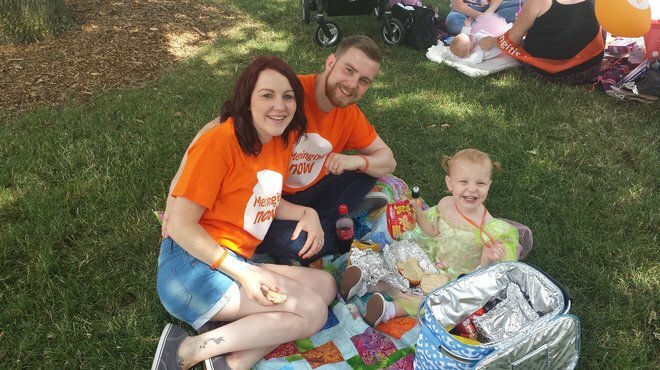 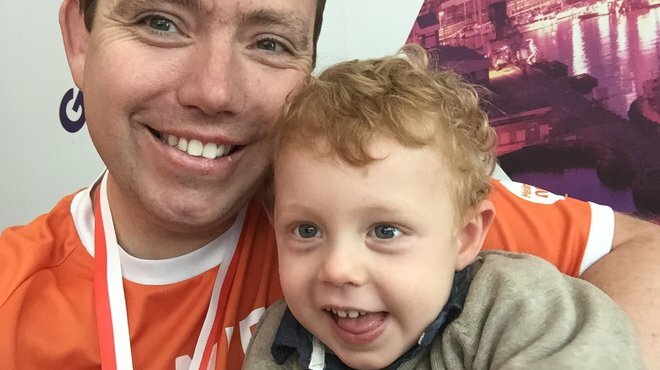 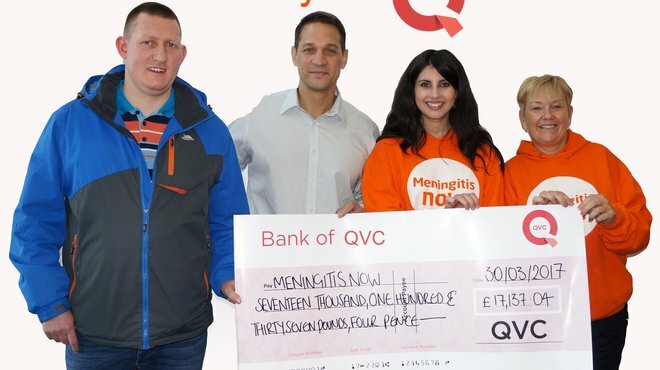 QVC employee and father of a young meningitis survivor, nominated Meningitis Now as a charity of the year for 2016. 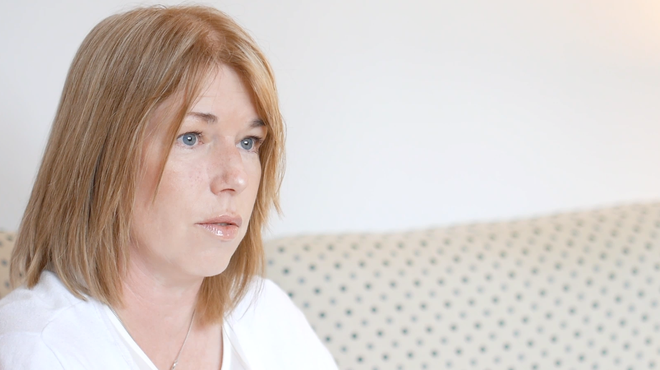 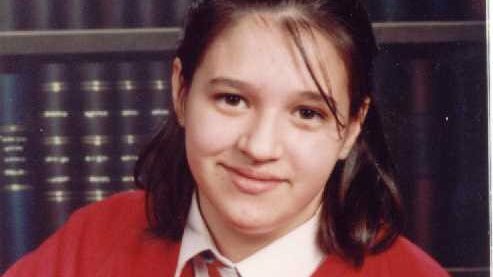 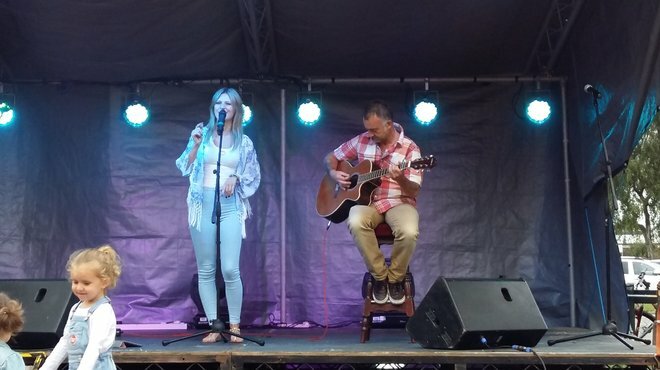 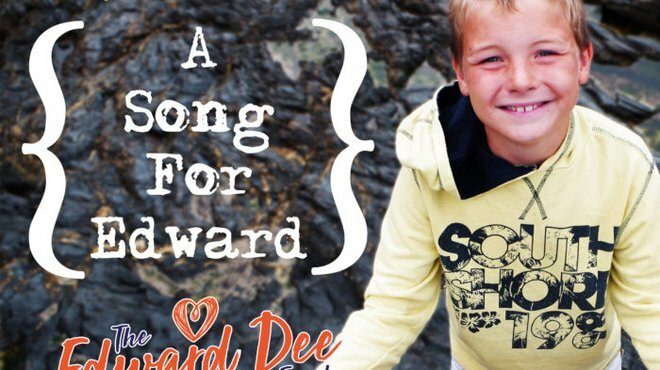 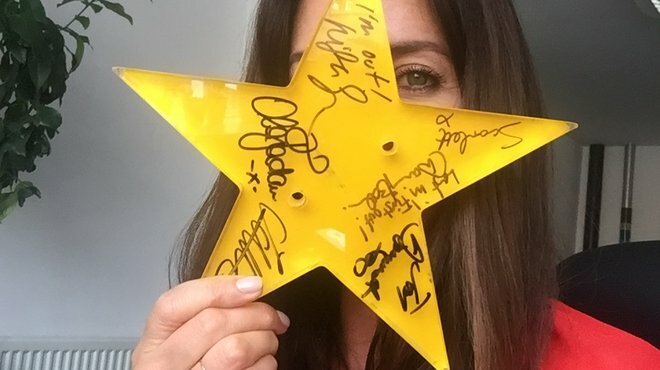 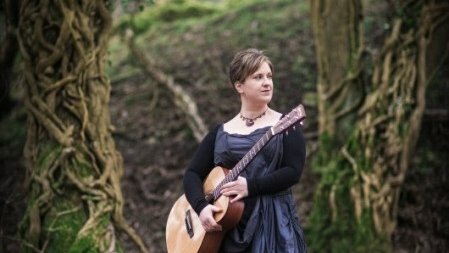 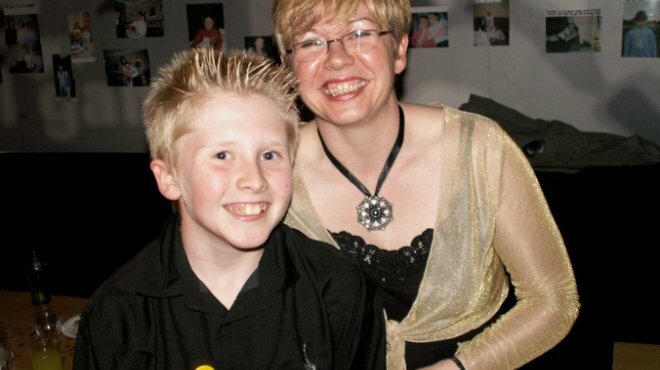 Singer songwriter Ange Hardy lost her teenage brother Steve to meningitis aged just 11. 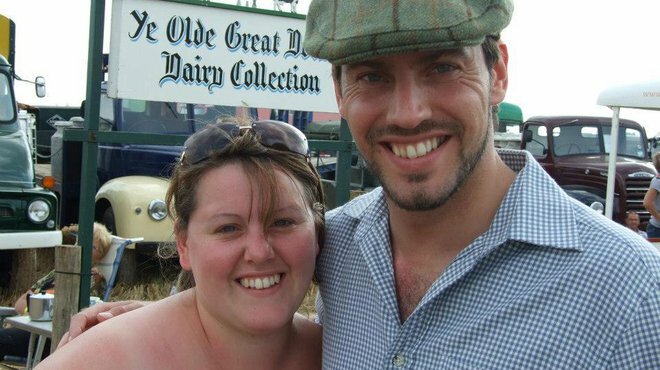 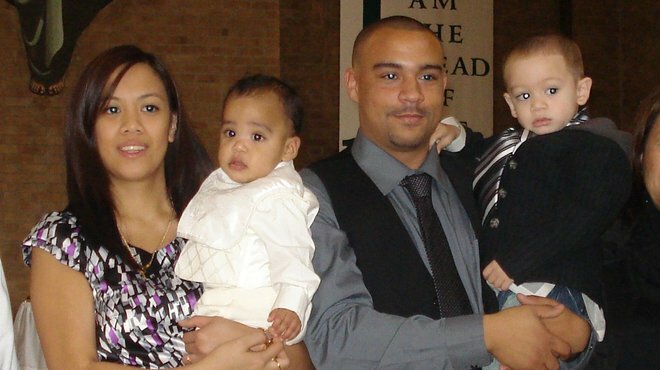 The subsequent breakdown of her family in the wake of her brother’s death was to have a massive impact on Hardy’s young life. 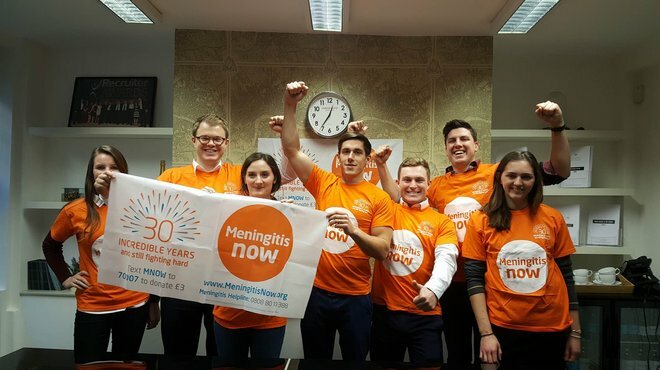 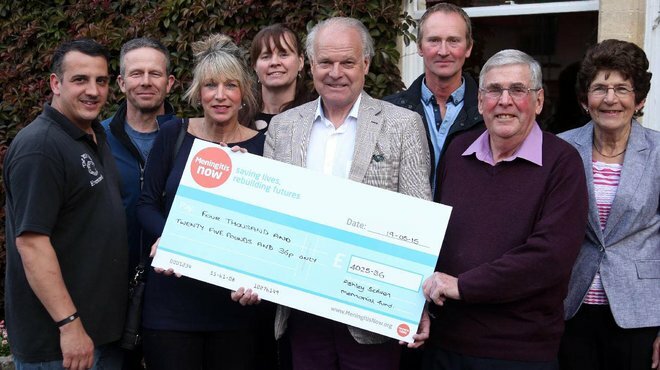 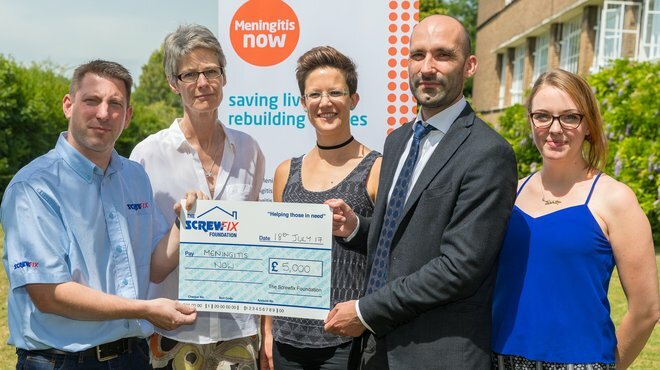 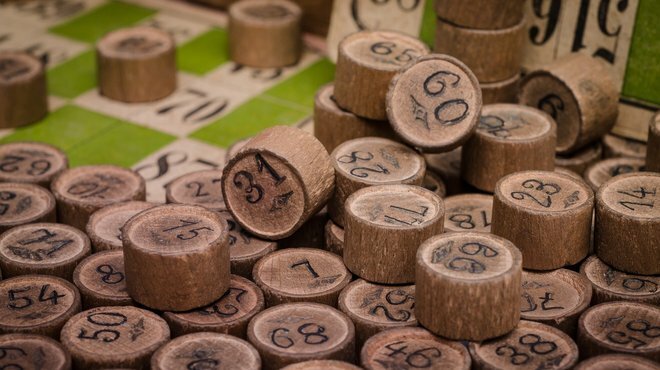 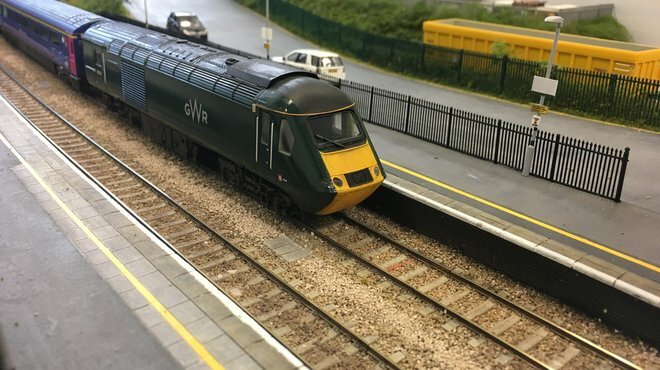 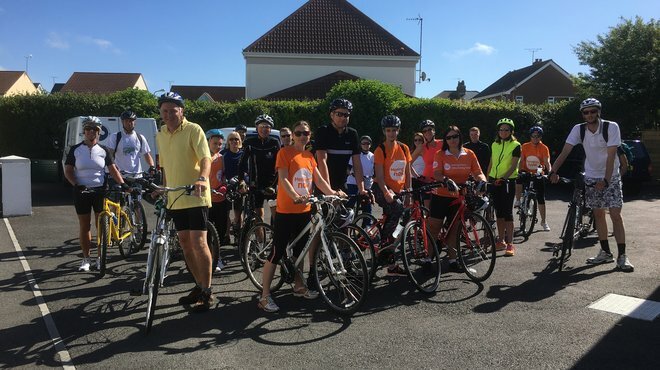 A South West company is on the right road to reaching its target of raising £100,000 to support our work and funding research into a vaccine to eradicate all strains of meningitis. 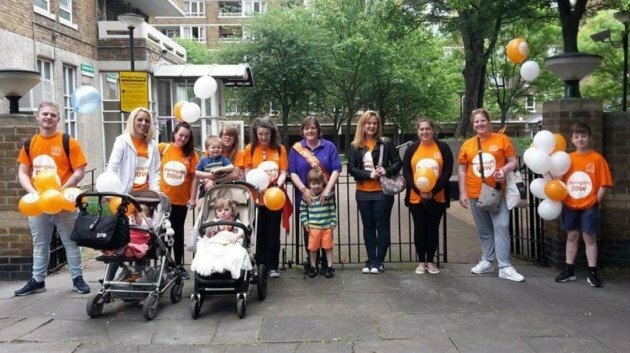 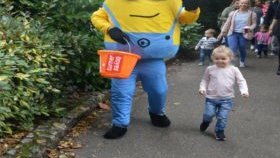 Corporate supporters Boyes Turner arranged a recent toddle waddle to raise vital funds for people affected by meningitis. 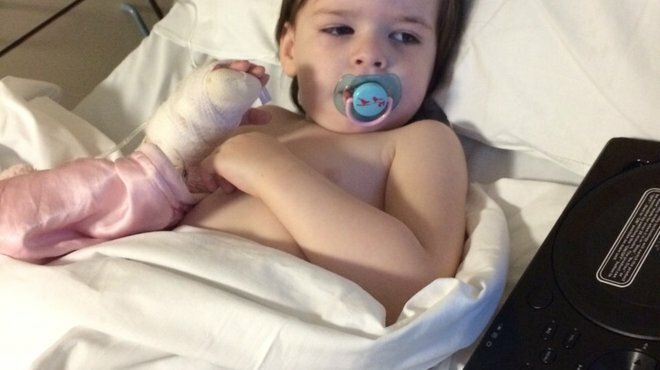 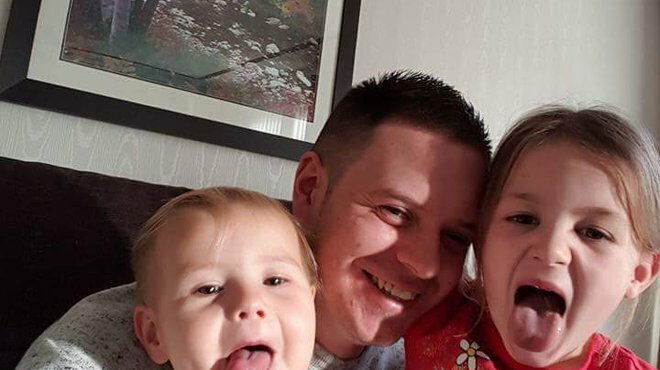 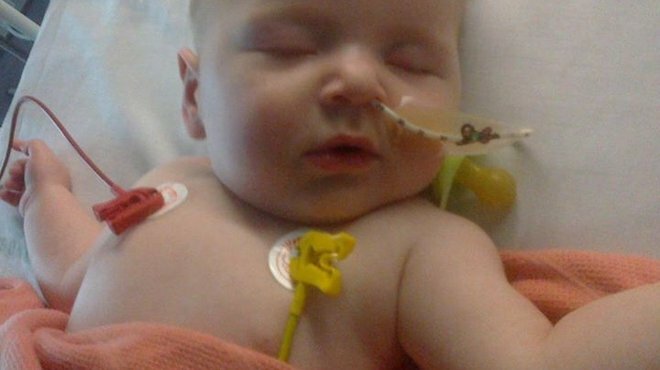 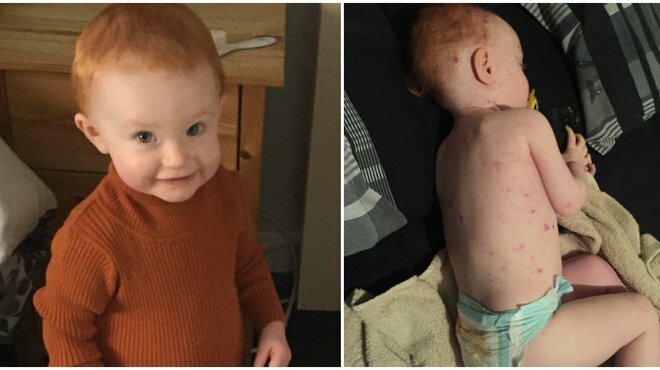 Liverpool father, Kevin Ryan’s son Leighton was struck down by bacterial meningitis and spent over a month in hospital battling the disease in 2013, before making a full recovery. 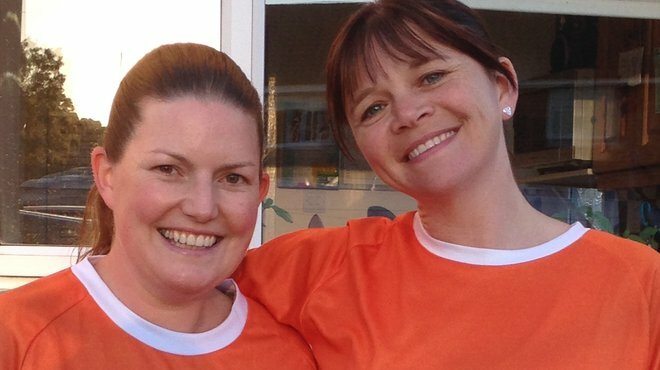 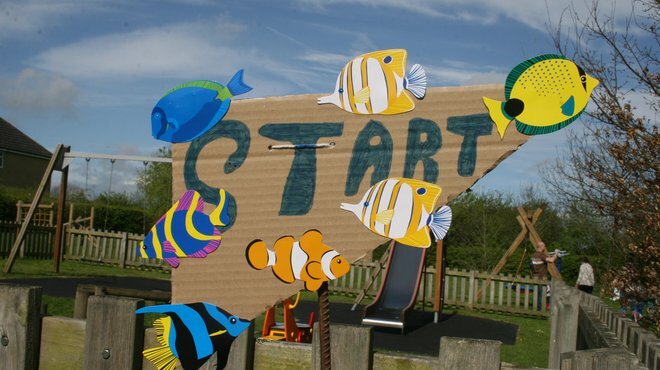 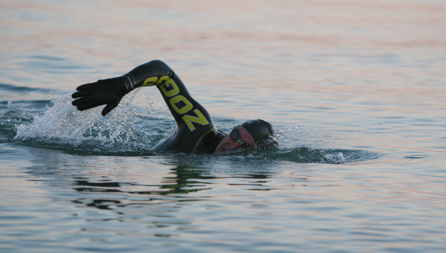 Corporate partners, Foot Anstey, ran their own relay from Cape Cornwall to Porthcurno to raise funds to support us. 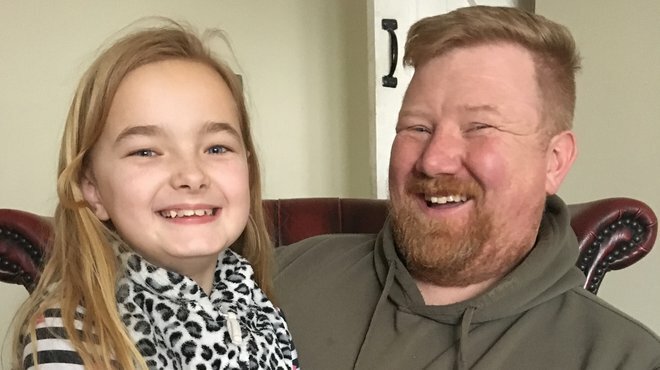 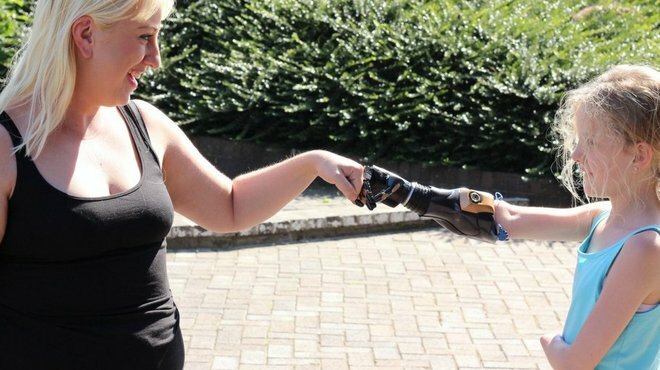 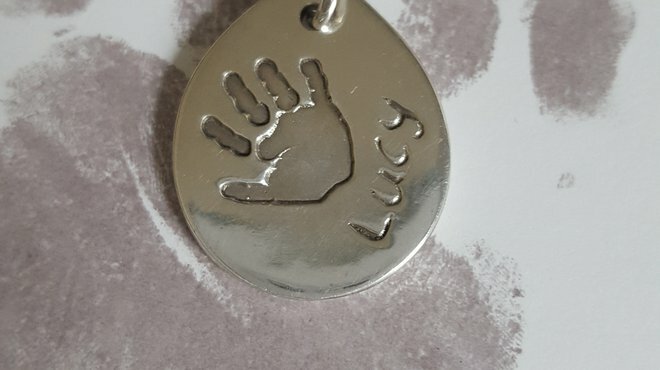 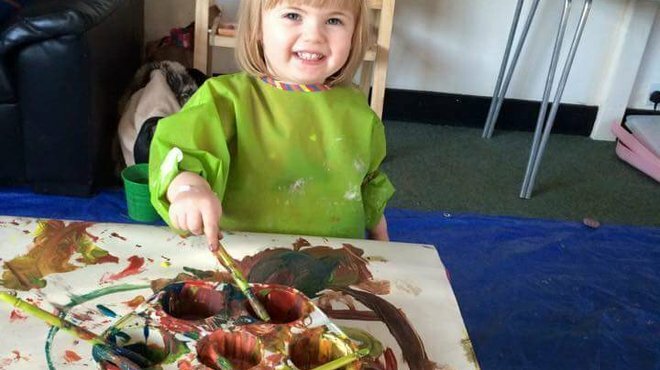 A young meningitis survivor is getting to grips with her new prosthetic hand, which is making a huge difference to how she feels about herself. 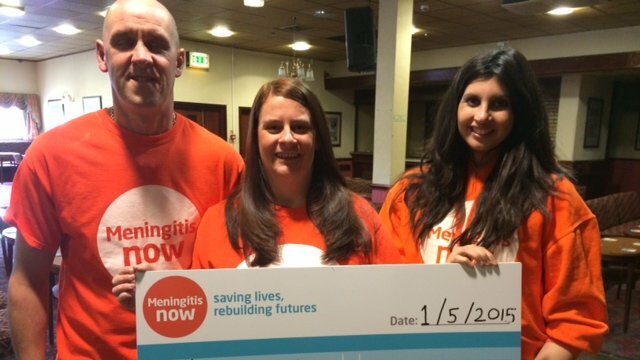 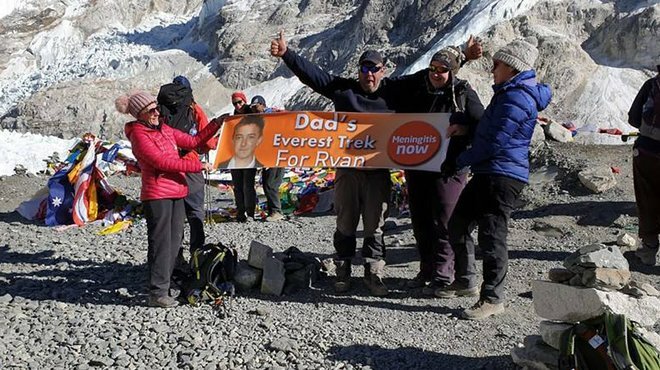 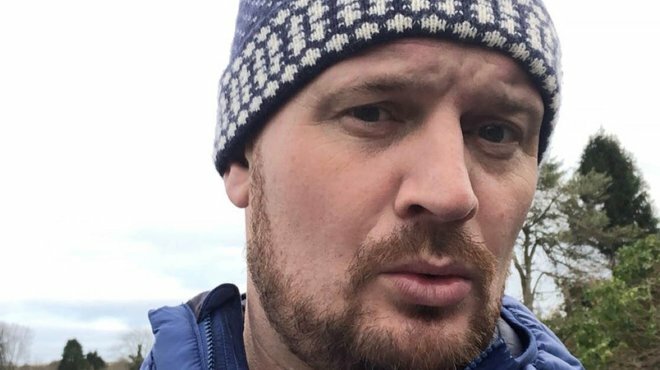 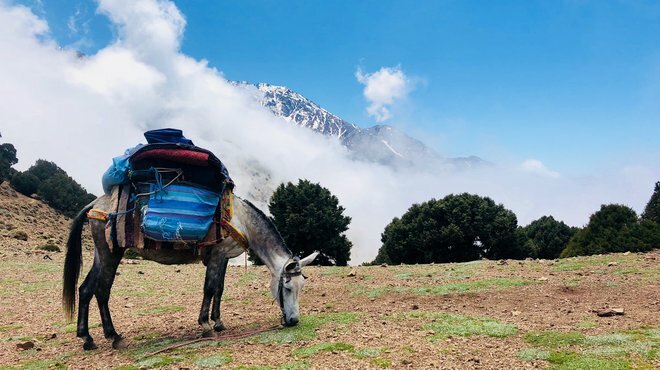 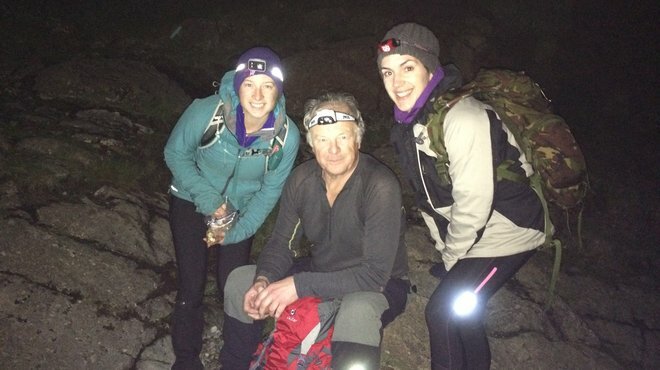 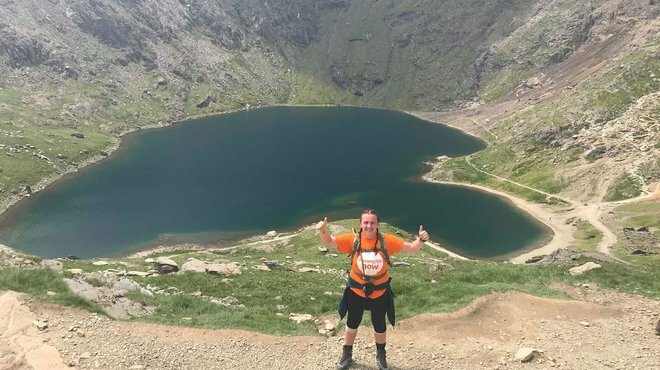 The father, wife and sister of a young man who died from meningitis in 2014 have completed the Three Peaks Challenge, raising an incredible £3,000 in his memory. 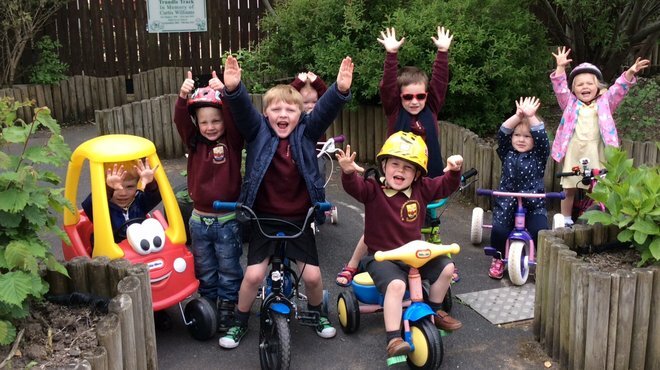 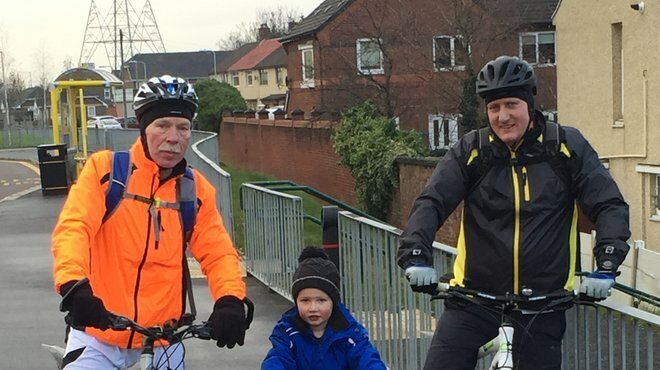 Cyril Holland cycled from Land's End to John O'Groats and his grandson and friends matched each mile with a lap of their playground to raise funds in memory of lost friends. 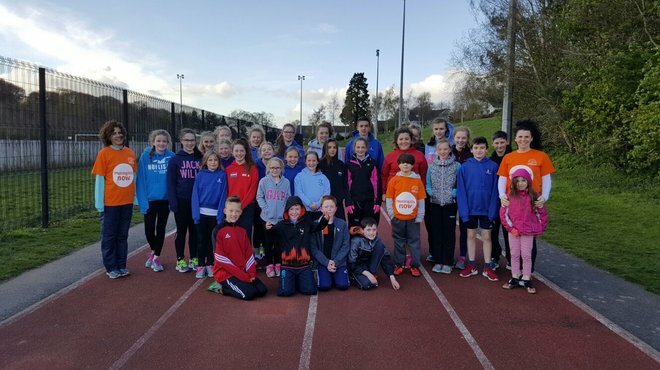 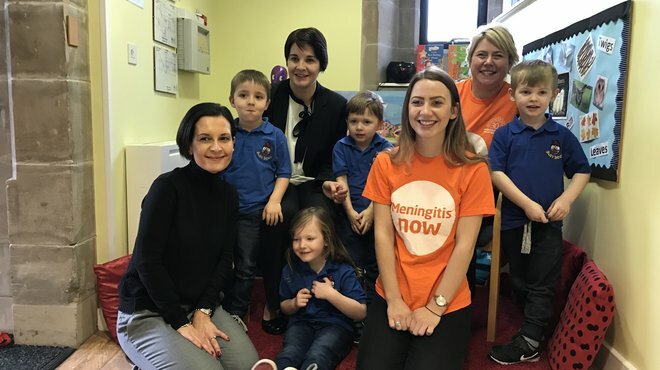 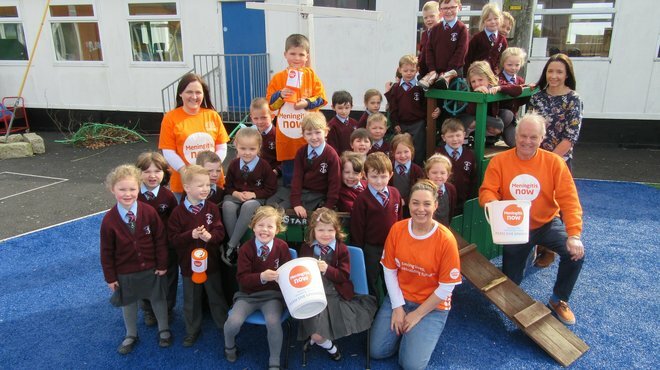 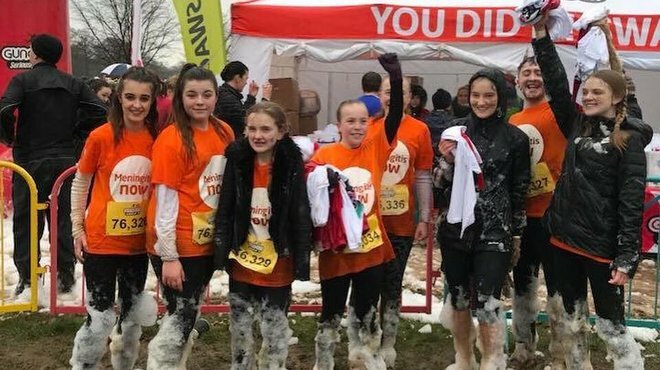 Children at Ballywalter Primary School, Newtownards, County Down, have raised funds to fight meningitis by taking part in a ‘Mile of Fun’ along Ballywalter beach. 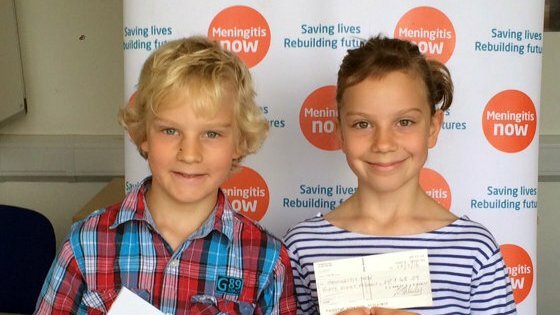 Seven year old Tianna, experienced meningococcal meningitis and septicaemia as a toddler. 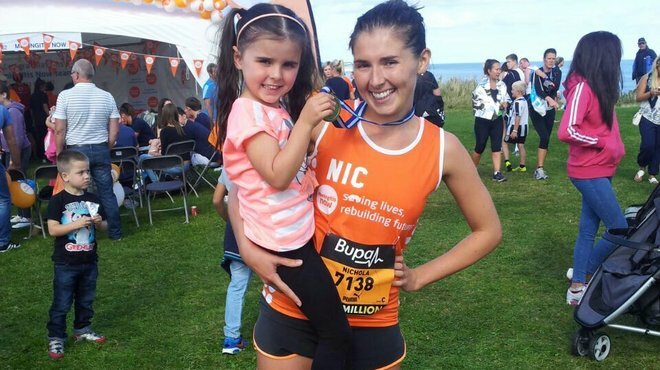 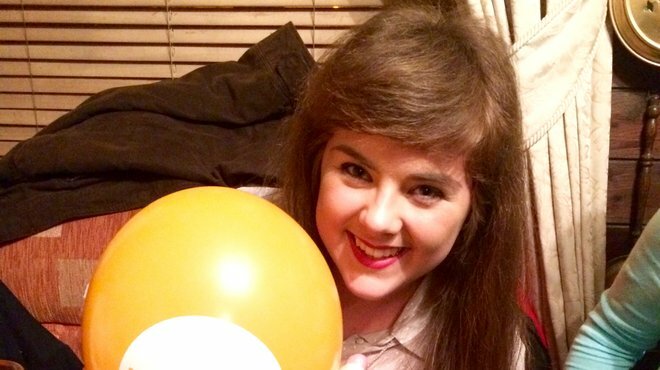 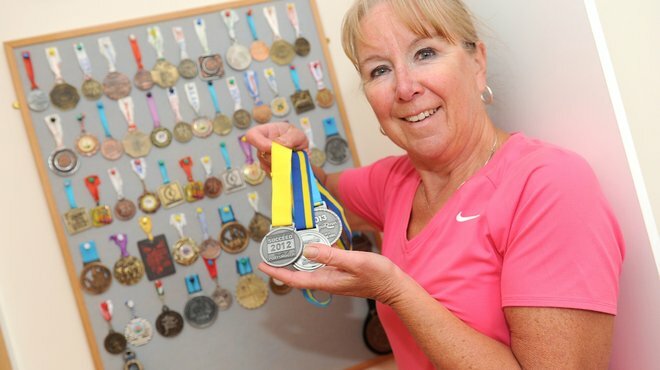 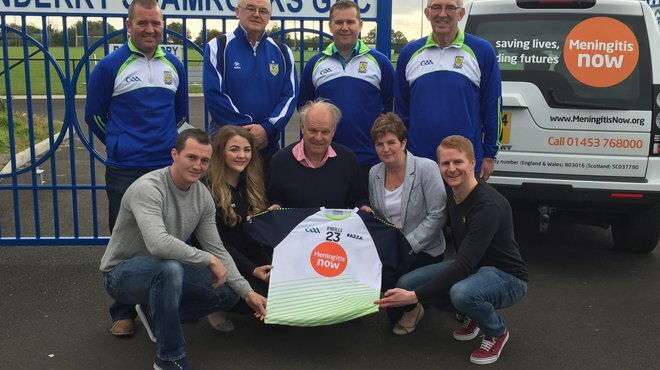 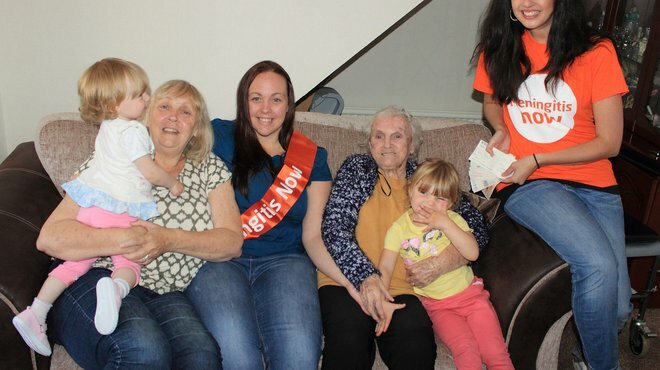 She recently took part in the Lisburn Fun Run, Northern Ireland to help fight the disease through fundraising. 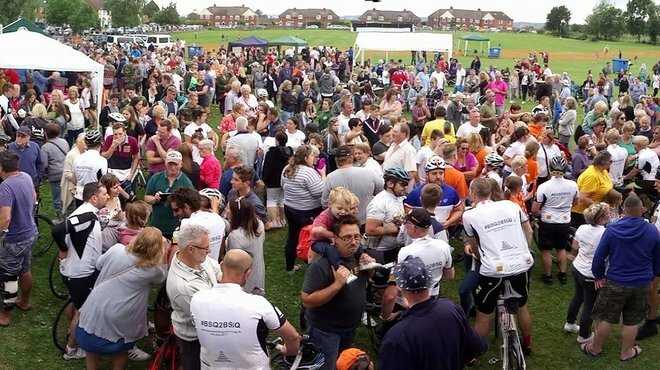 A fundraising day in Kent, raised an incredible amount in memory of young Faye Burdett, who tragically lost her life to meningitis. 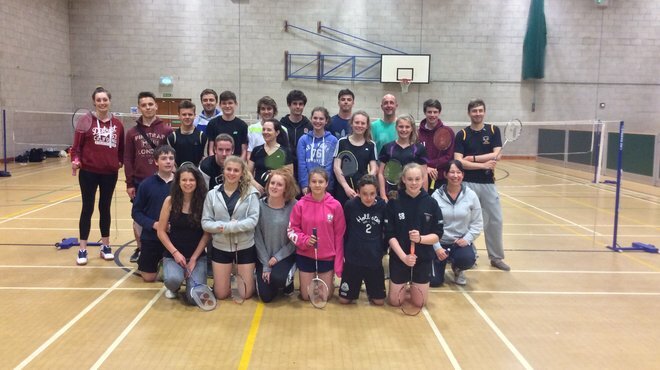 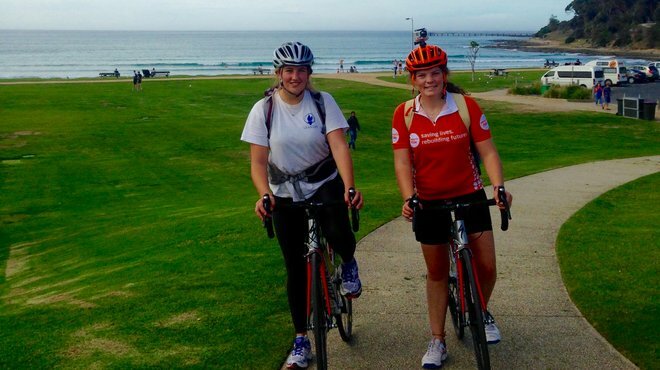 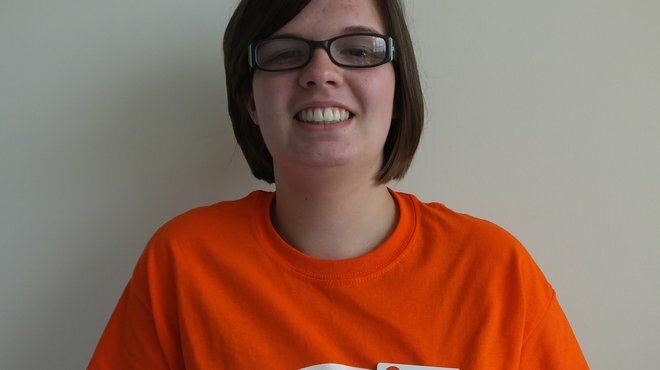 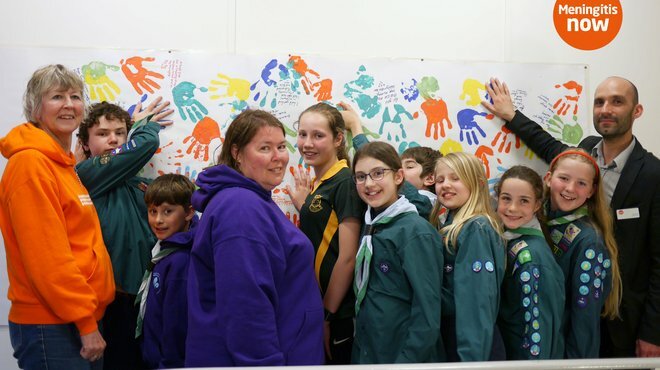 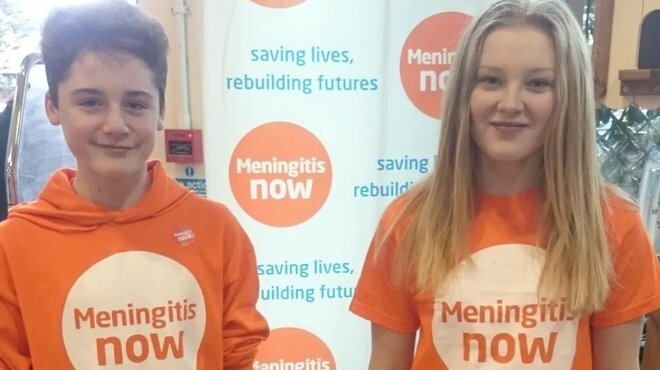 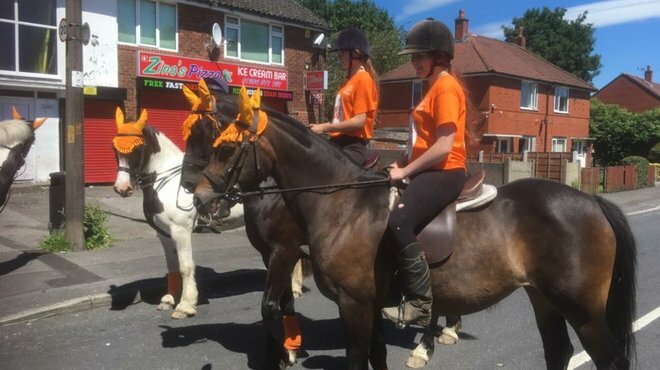 Three young volunteers have been helping to raise funds and awareness of meningitis. 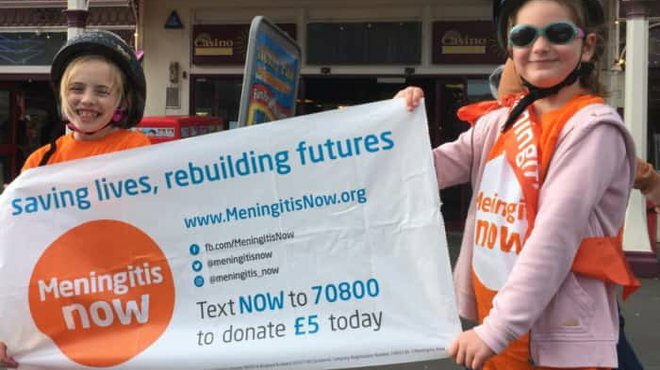 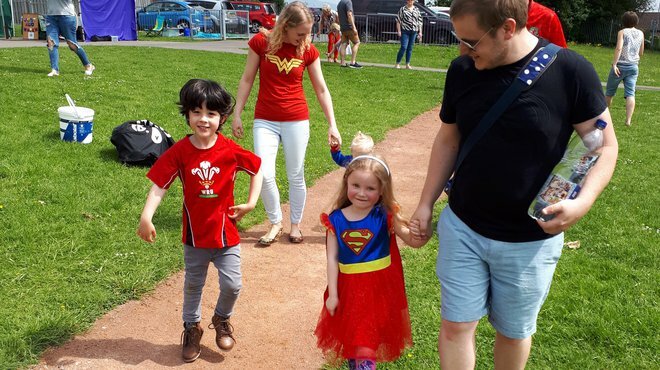 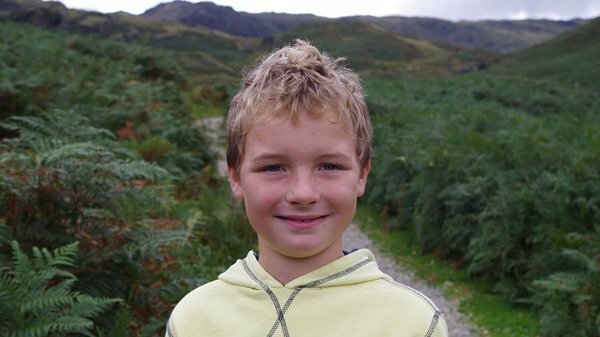 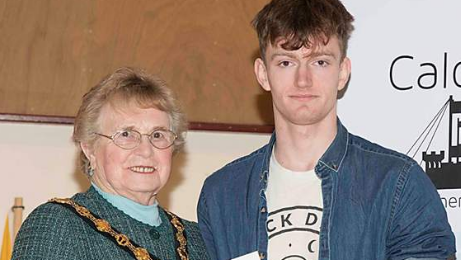 A young meningitis survivor has taken on a walk from his home to the hospitals that treated him to raise awareness of the disease and funds to help fight it. 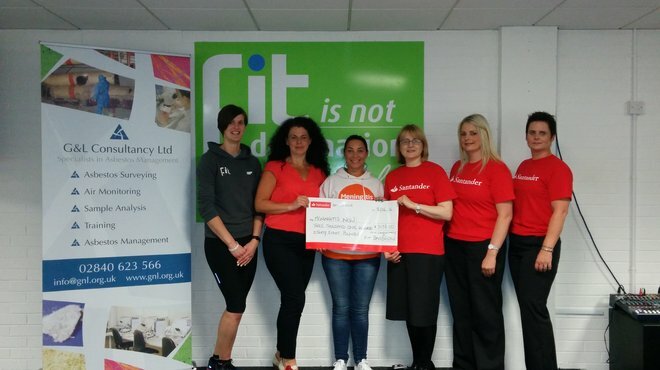 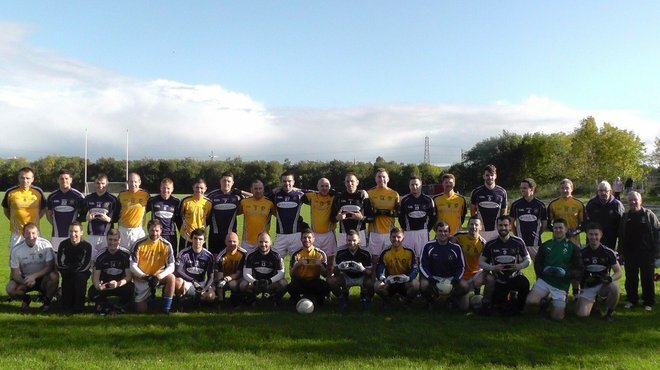 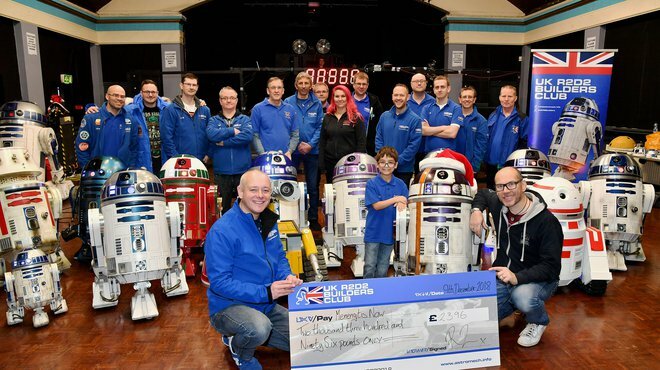 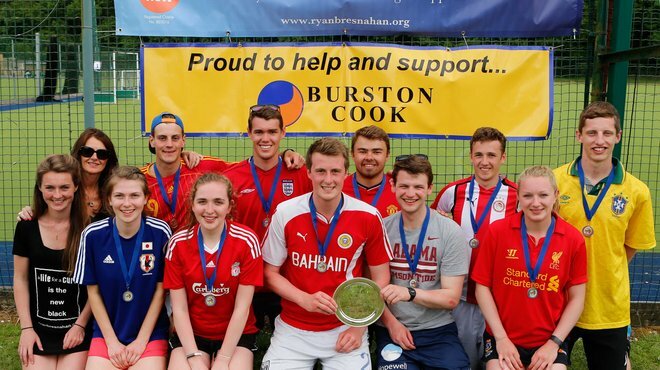 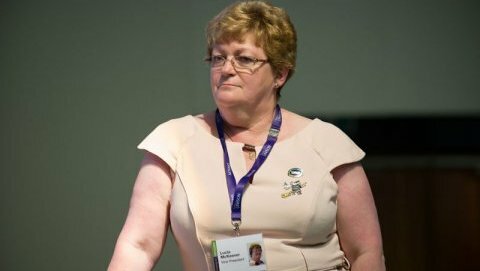 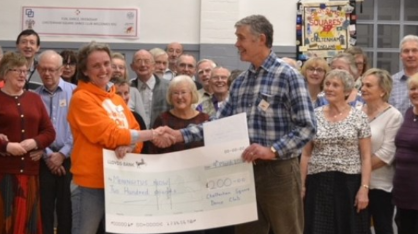 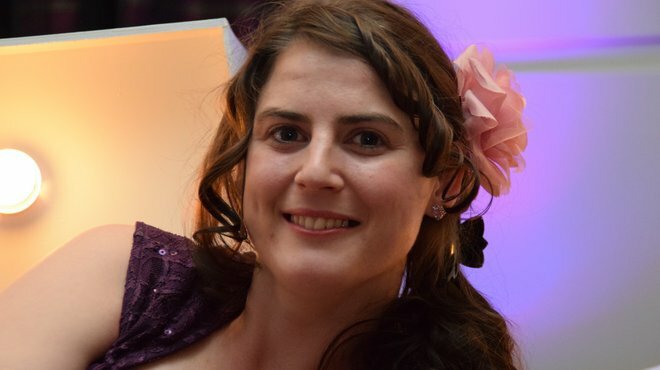 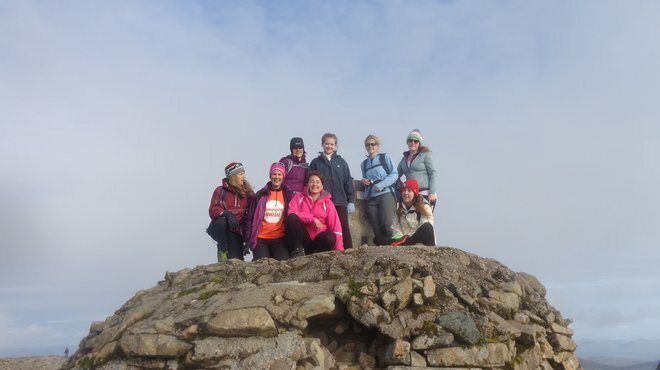 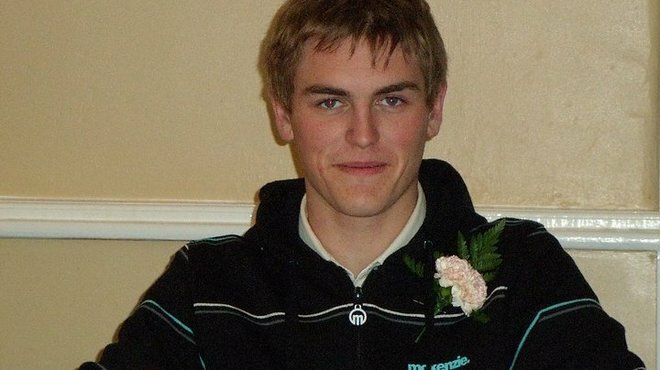 Lockheed Martin staff have raised £600 in memory of their friend and colleague. 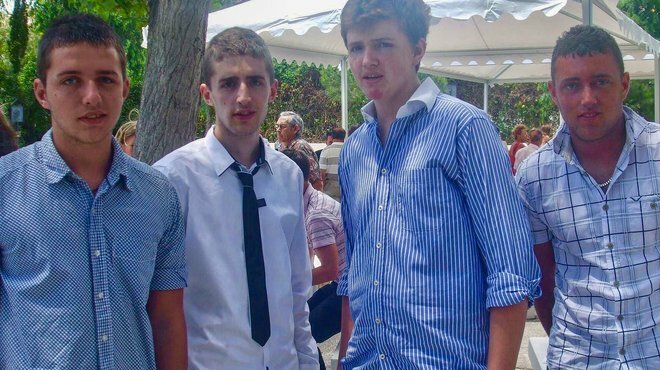 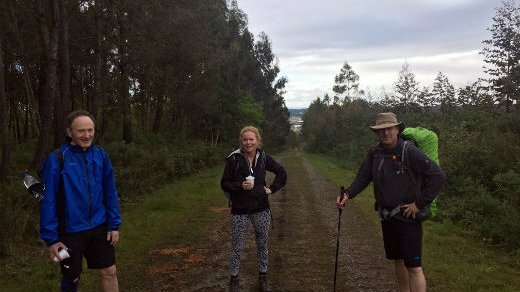 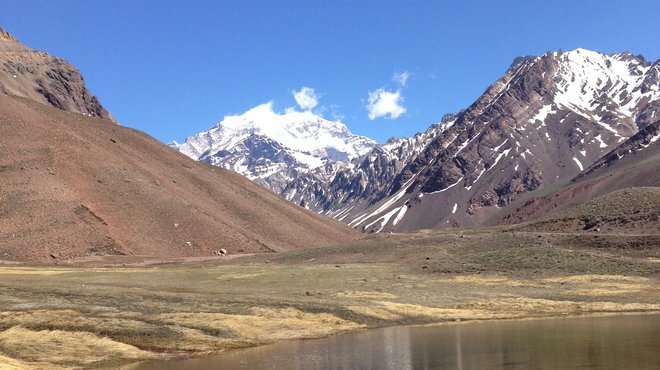 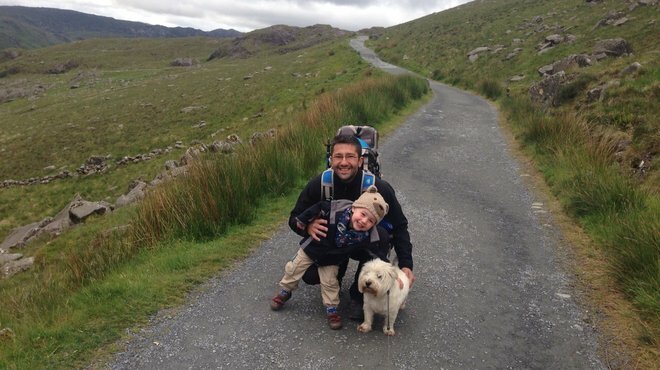 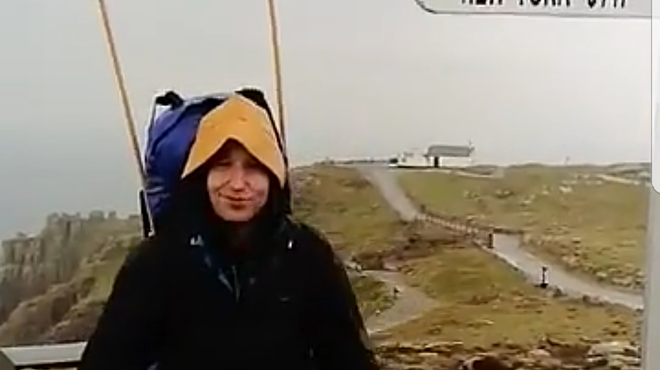 Three friends hiked the Camino Ingles to raise funds in memory of Harry Williams. 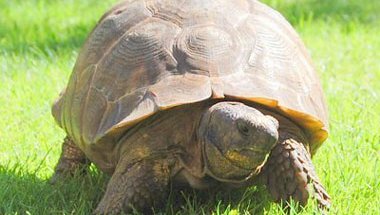 Emmanuelle, resident tortoise at Oxford’s Regent’s Park College, turned 113 on Saturday and celebrated with a garden party in the college grounds. 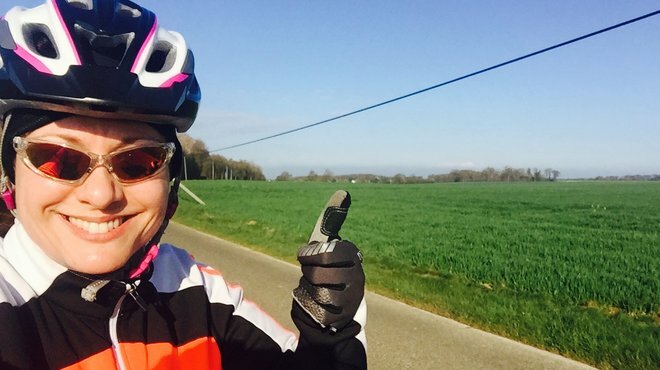 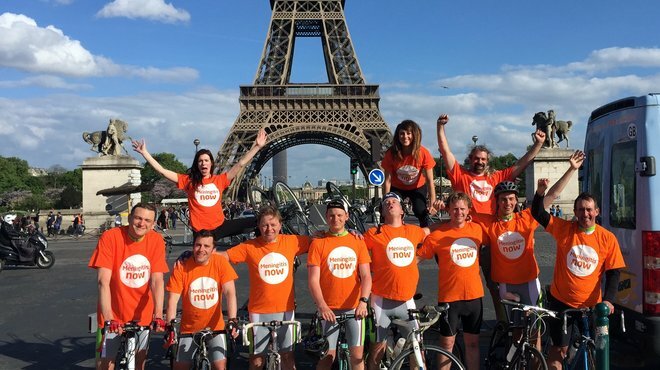 Cycling from London to Paris – ME! 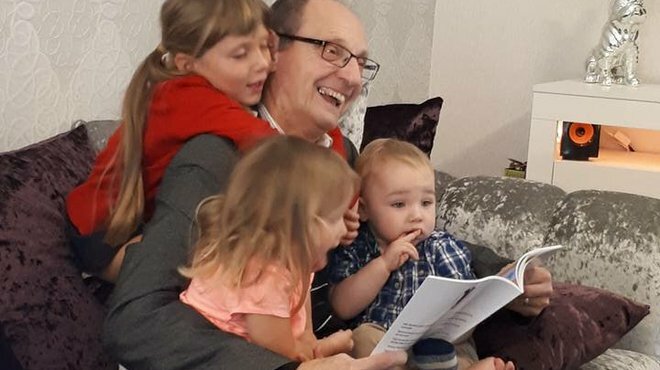 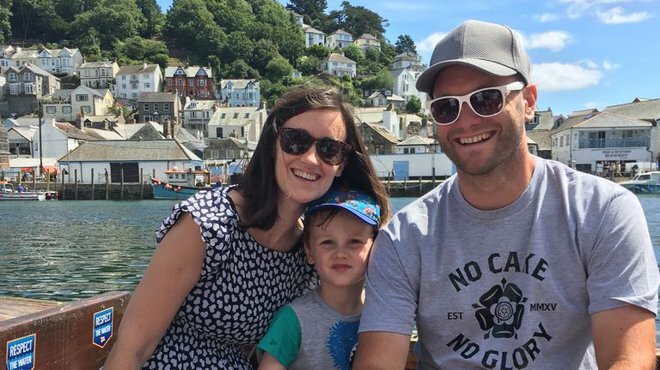 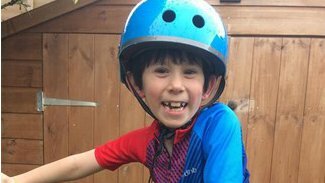 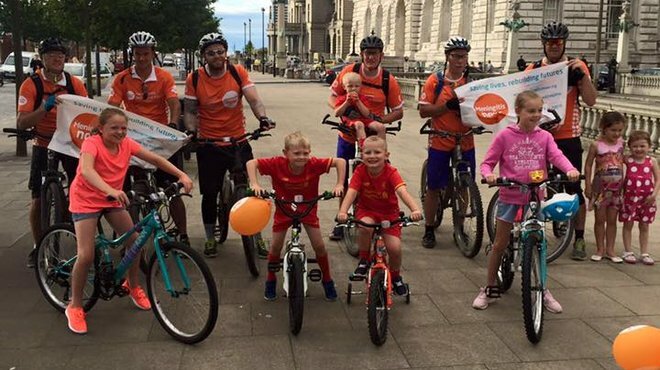 A family is saying thank you for their son’s recovery from meningitis by cycling over 250 miles along the Liverpool to Leeds Canal and back in 36 hours. 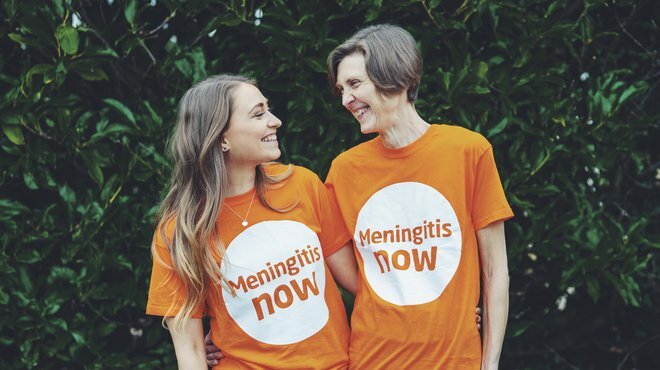 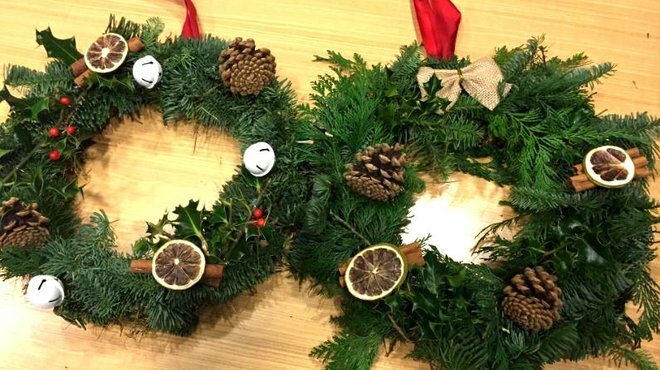 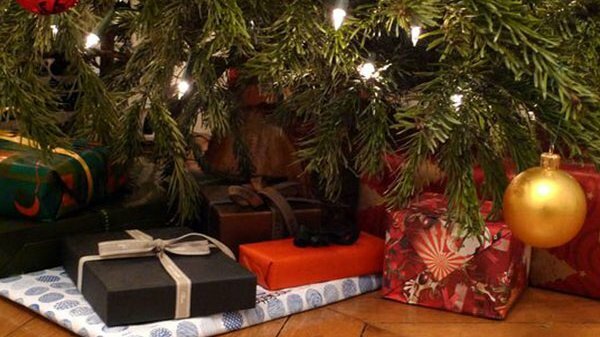 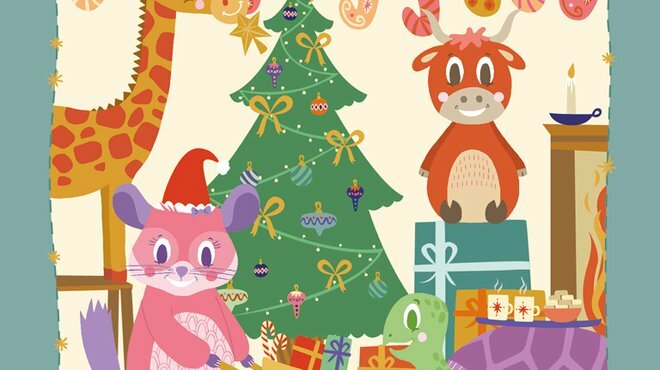 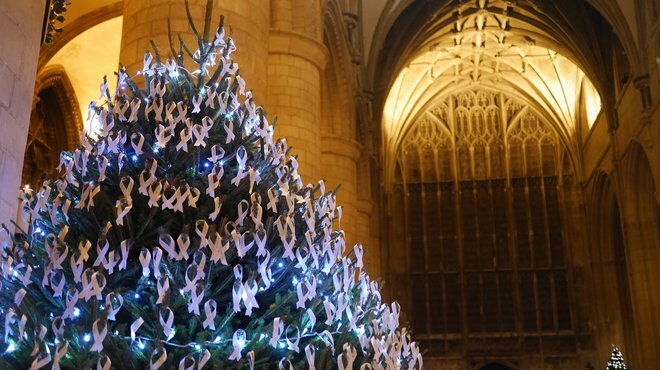 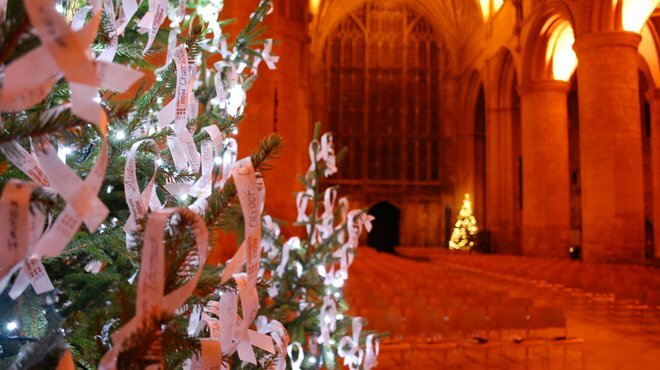 Before heading off on your holidays with family and friends to celebrate the festive season, please take a moment to remember those for which Christmas is a painful reminder of the devastating changes meningitis has inflicted on their lives. 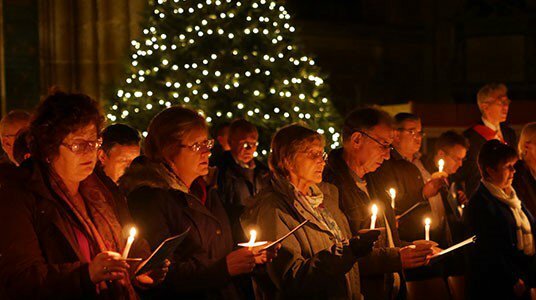 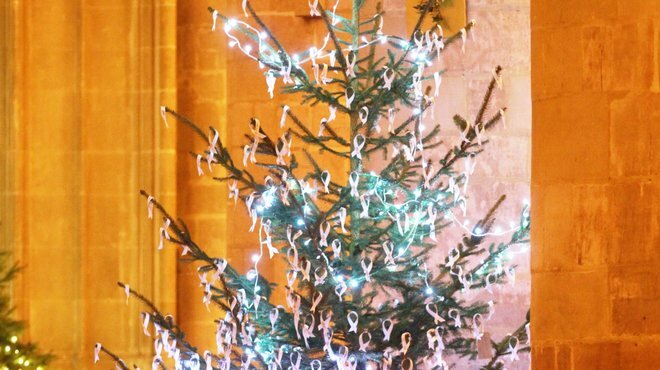 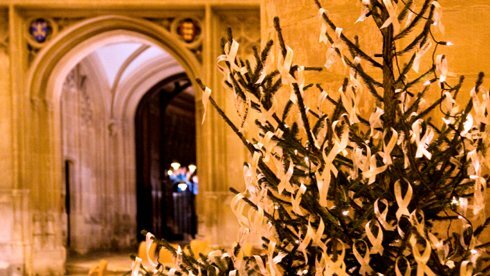 Christmas is coming, and so are our winter wonderland Christmas Celebration Concerts at Llandaff Cathedral, Cardiff and Gloucester Cathedral. 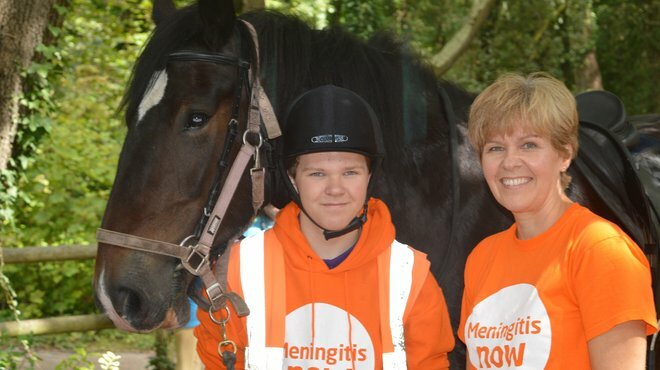 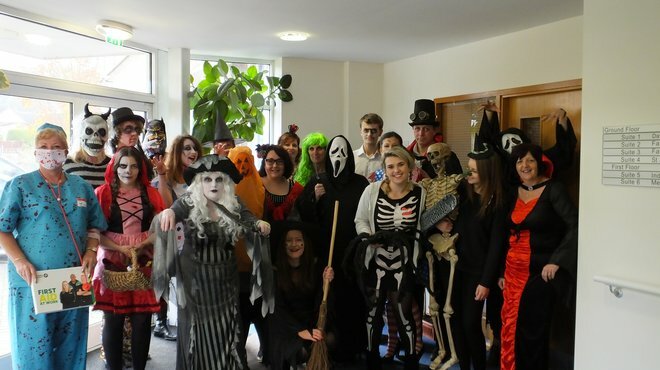 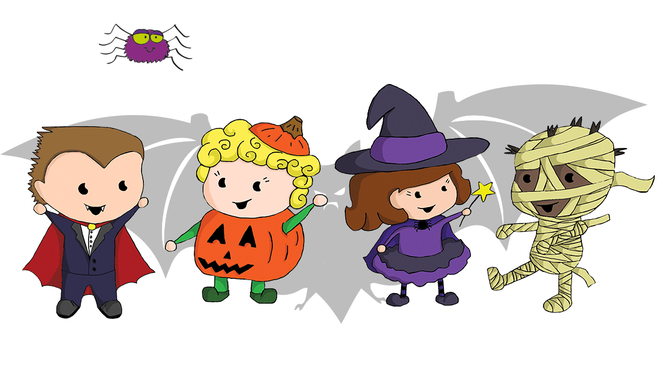 Help us to ‘fright’ meningitis this Halloween with a host of spook-tacular fundraising events. 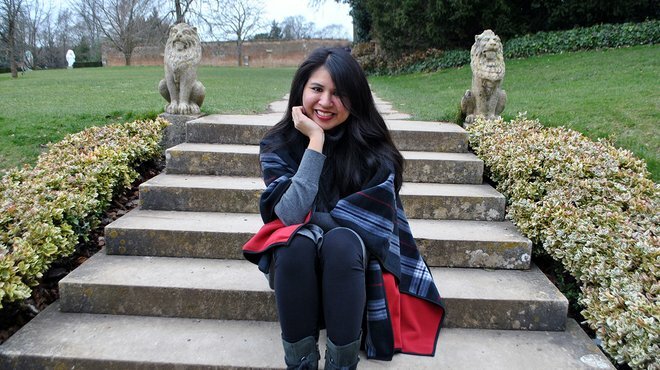 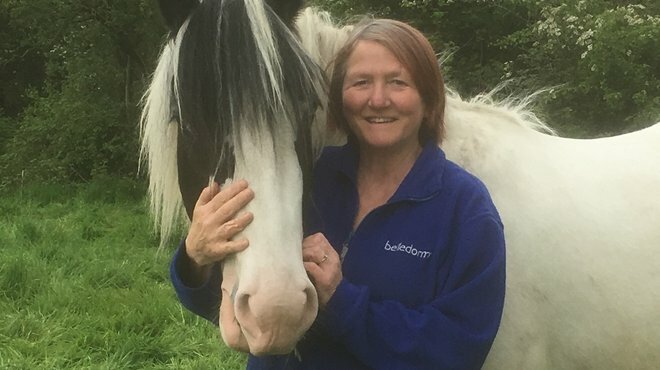 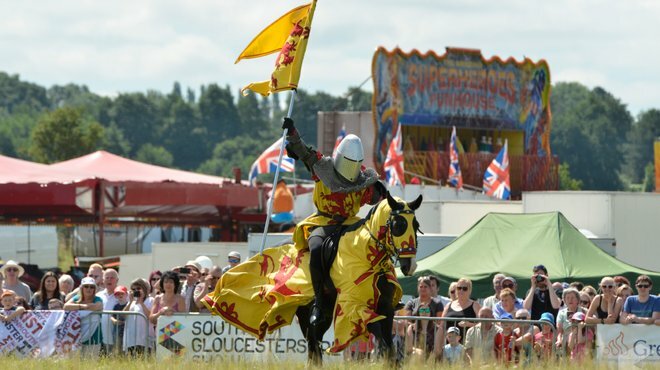 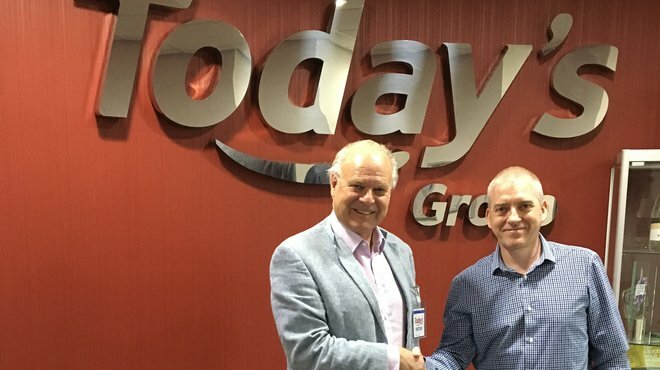 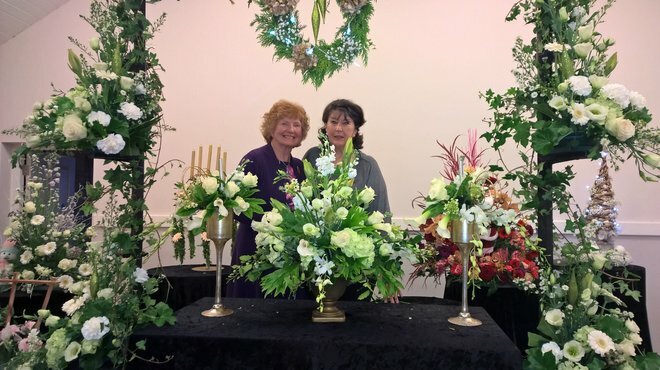 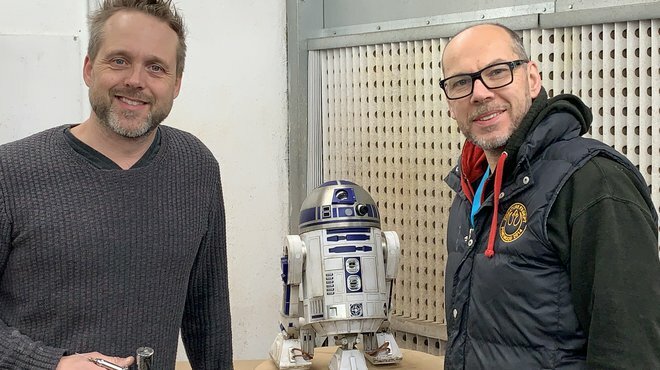 A Gloucestershire-based company is rolling out the red carpet and hosting right royal revelries to defeat a deadly disease. 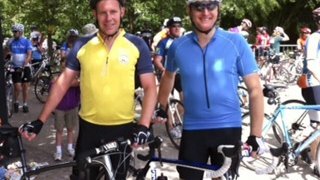 Two Guildford men are taking on a ‘daunting but exciting’ 1,000 mile charity challenge for us to cycle across Britain in just nine days. 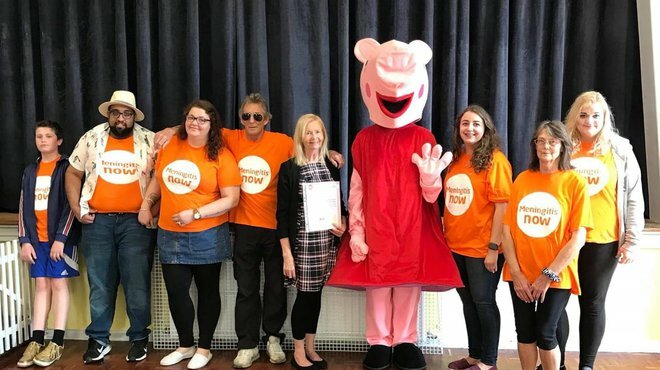 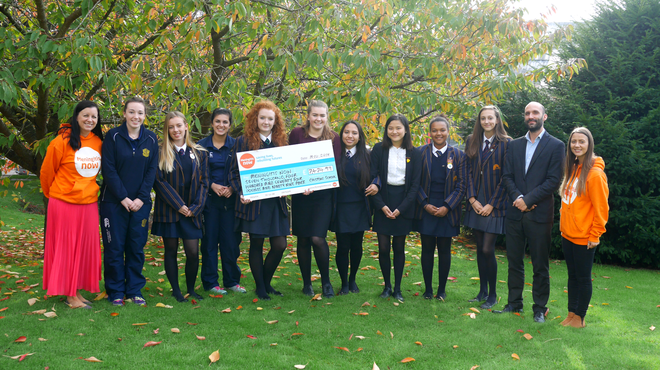 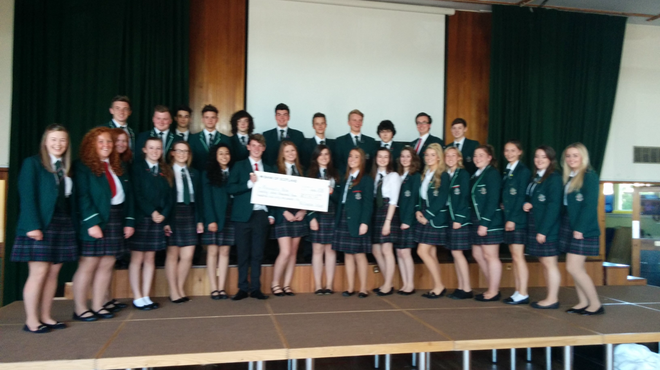 When Debbie McKinnon, our Regional Support Officer in Scotland, popped along to Wellington School to pick up a cheque she was unprepared for the amazing effort the sixth year had made. 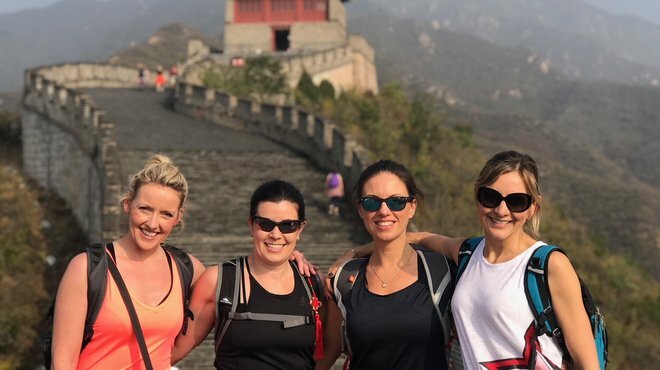 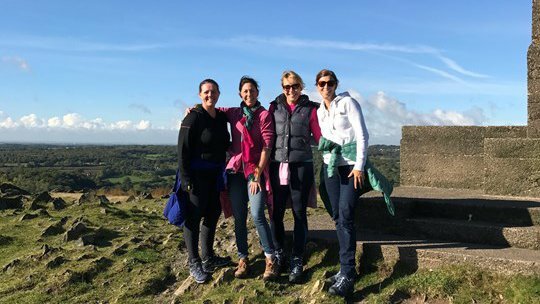 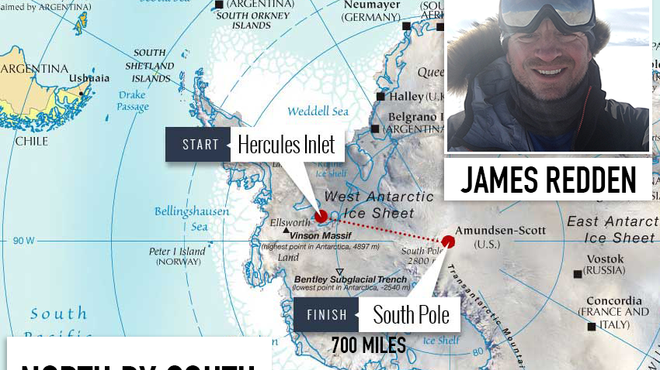 This week, a team of four from Foot Anstey LLP, Plymouth, climbed the equivalent of the tallest building on every continent. 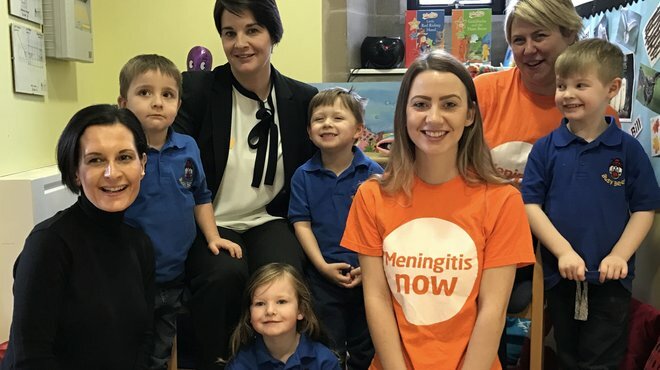 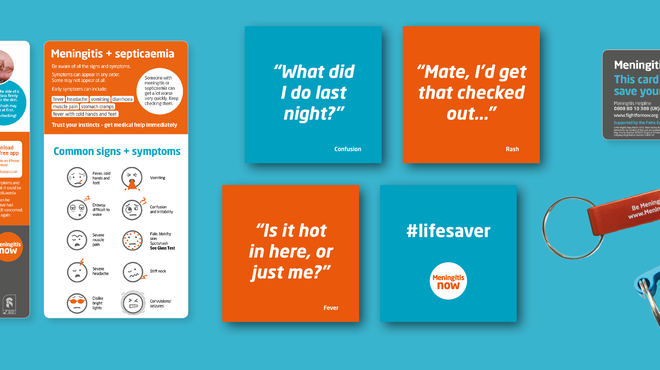 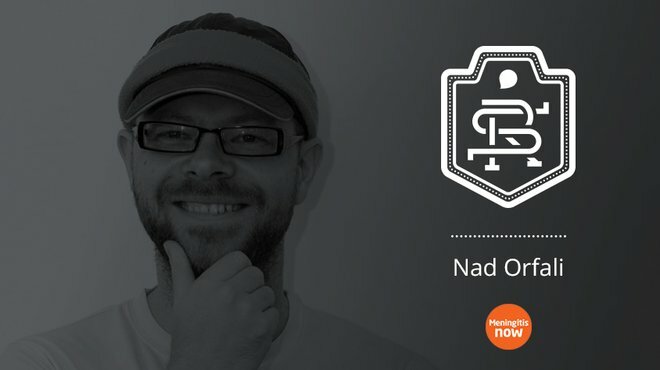 Digital specialists Sequence inspired by their lead interaction developer, Nadhim Orfali, himself affected by meningitis in childhood, are currently full steam ahead fundraising for Meningitis Now.